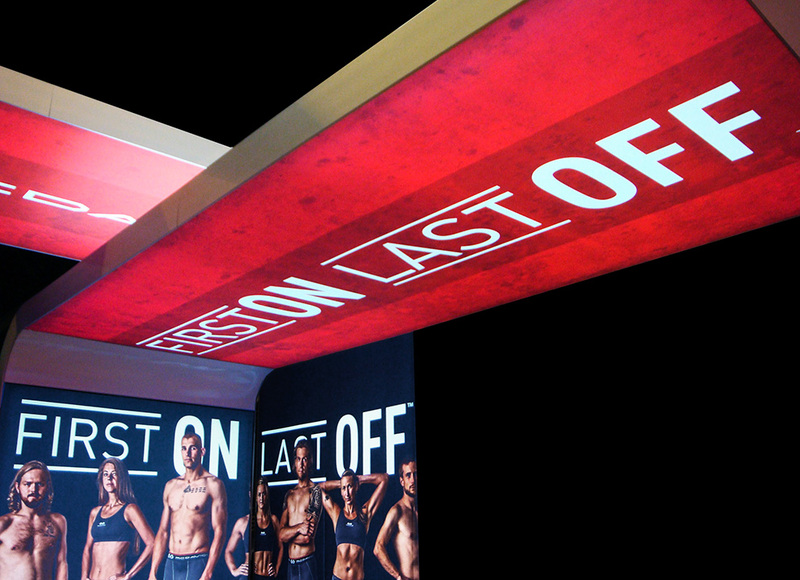 Large hanging sign draws attention throughout the showroom. 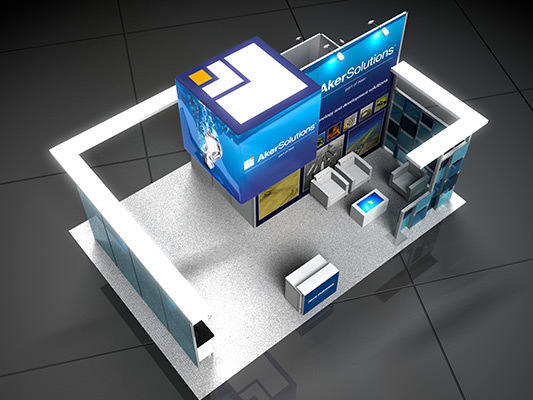 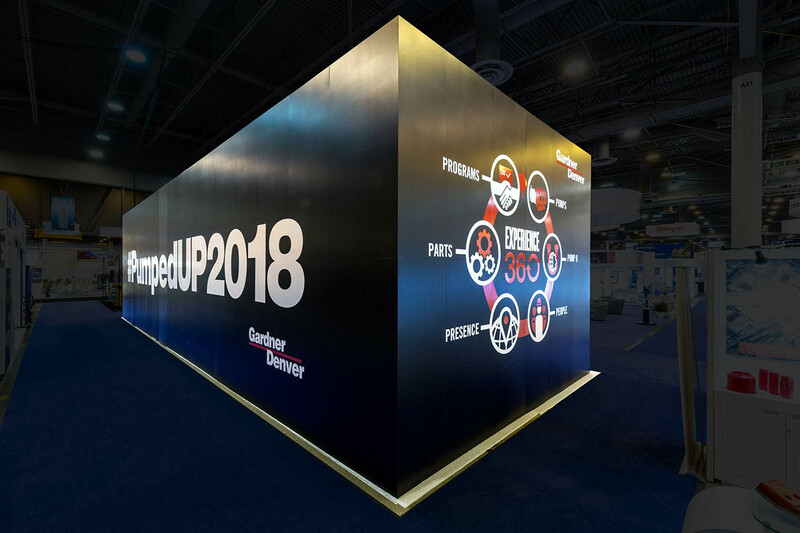 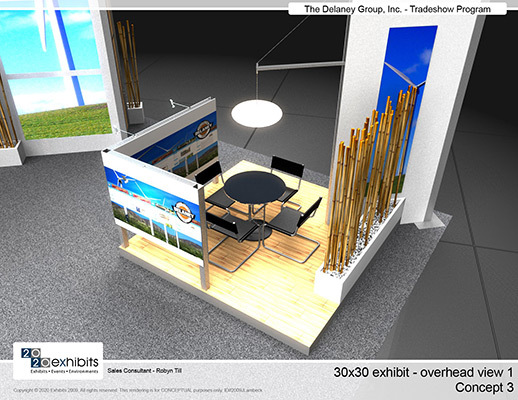 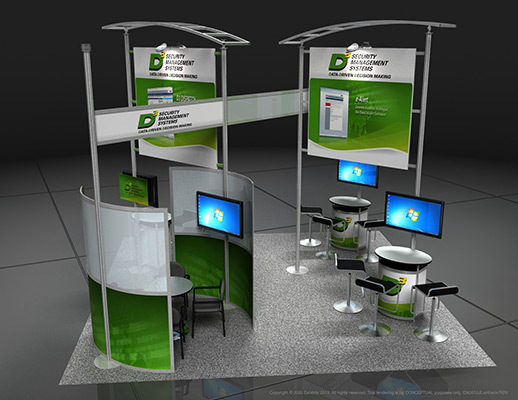 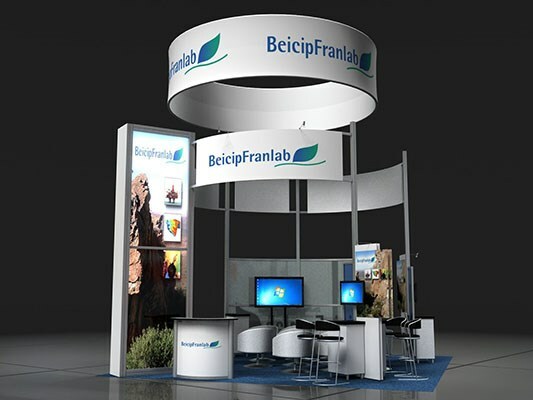 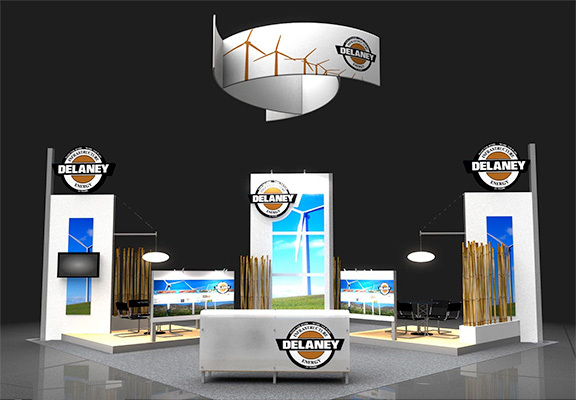 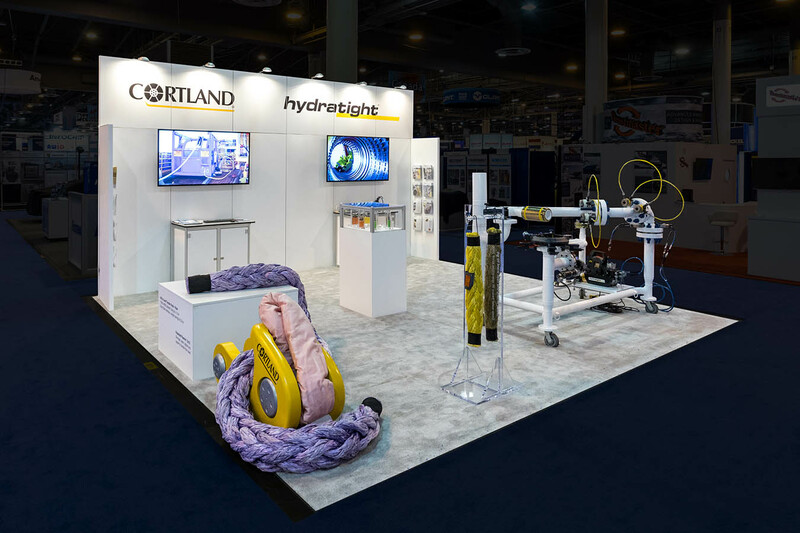 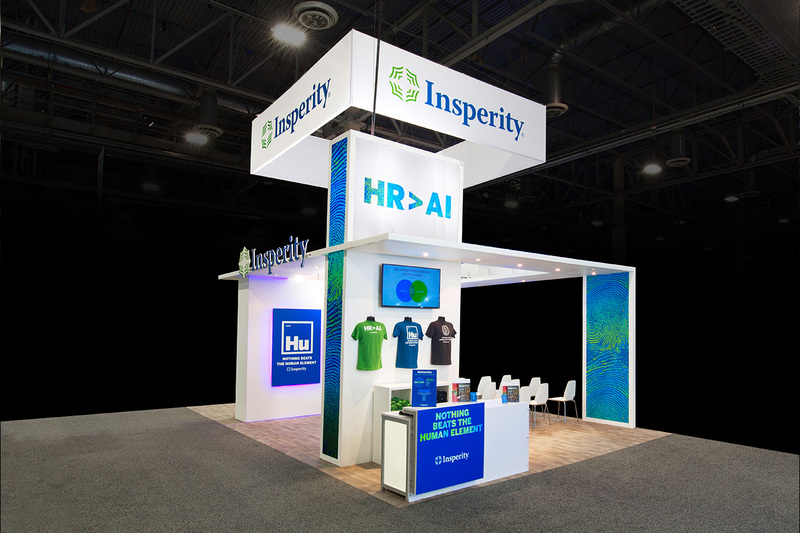 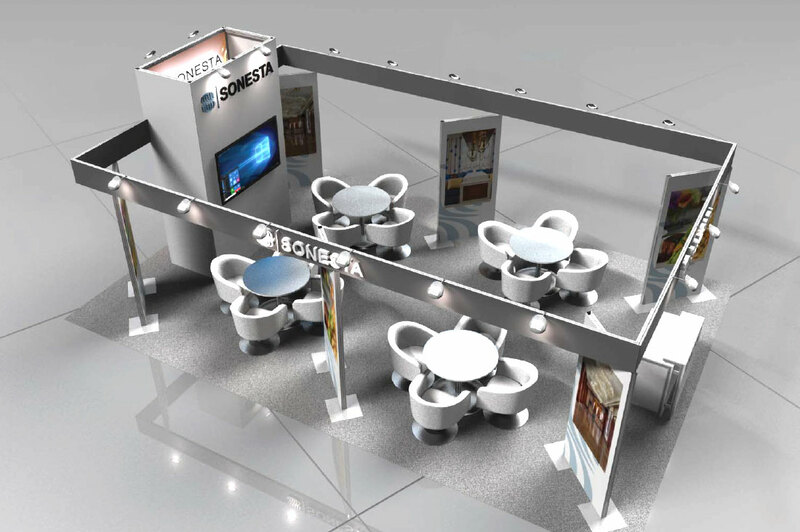 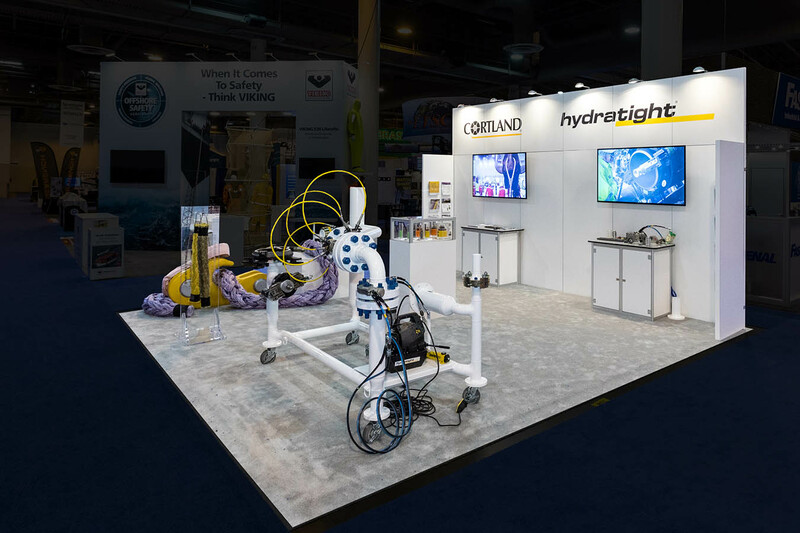 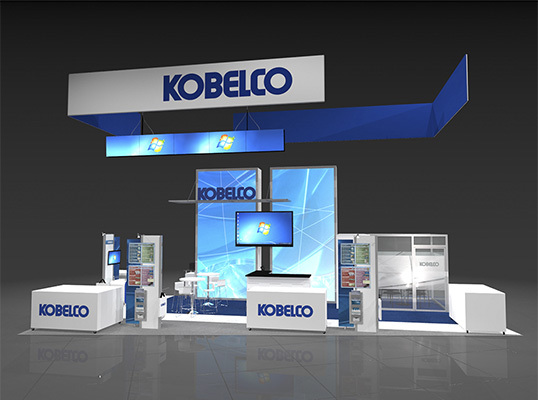 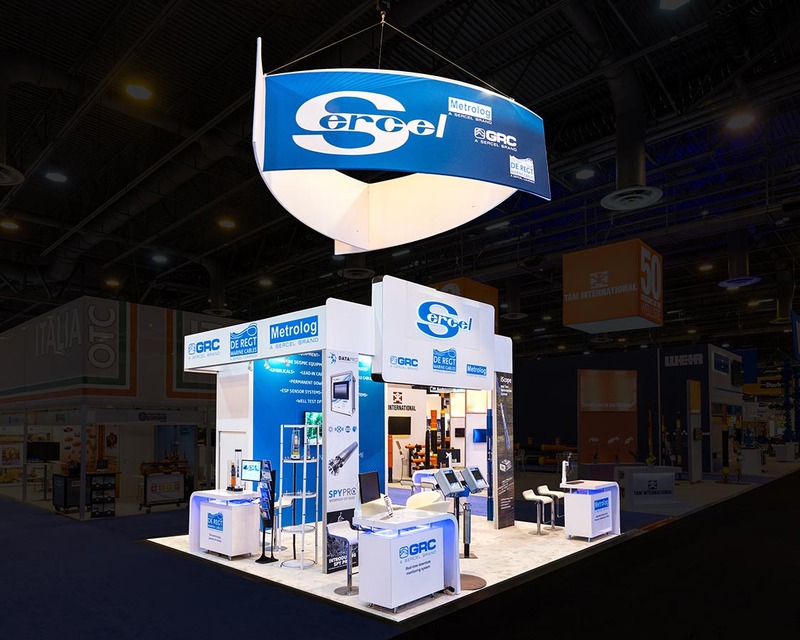 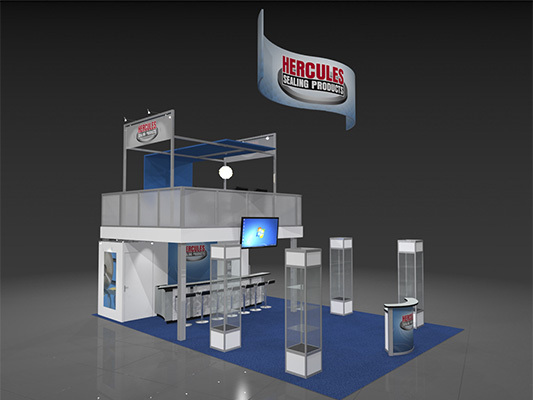 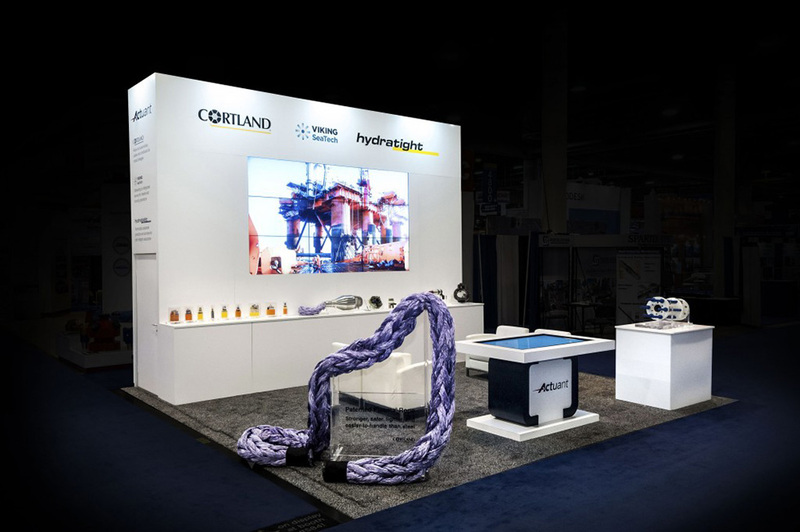 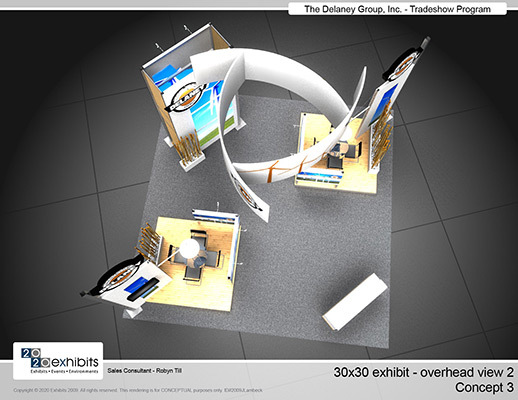 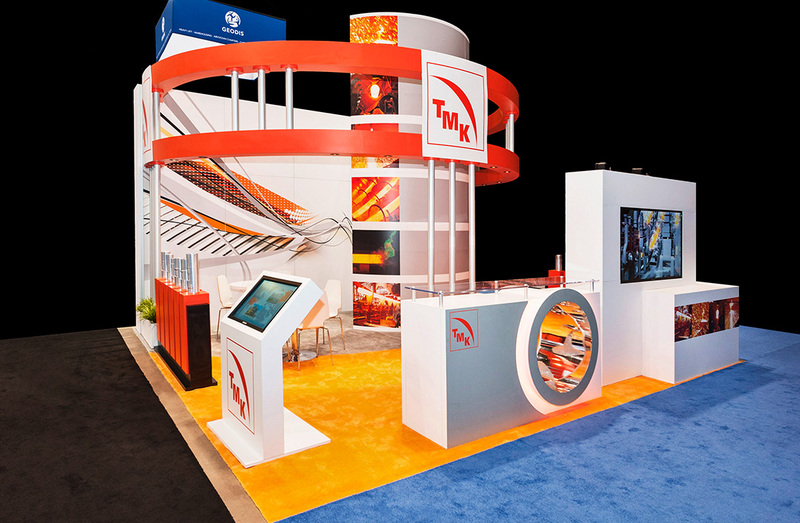 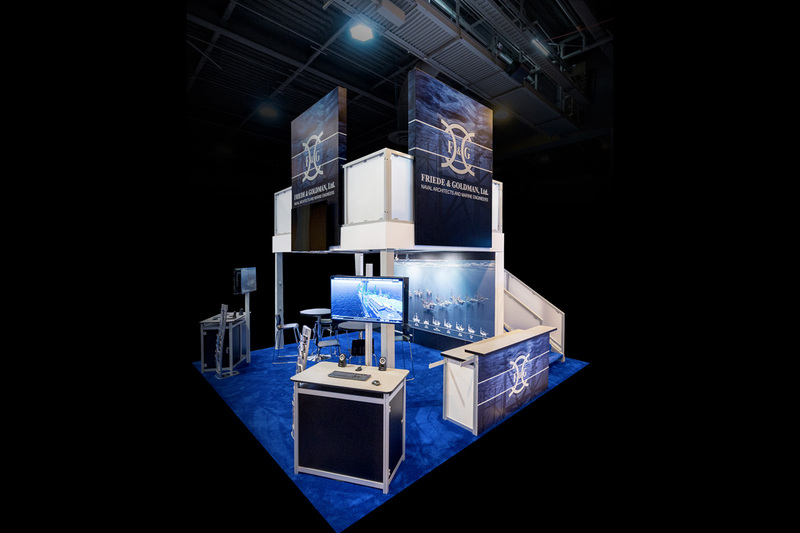 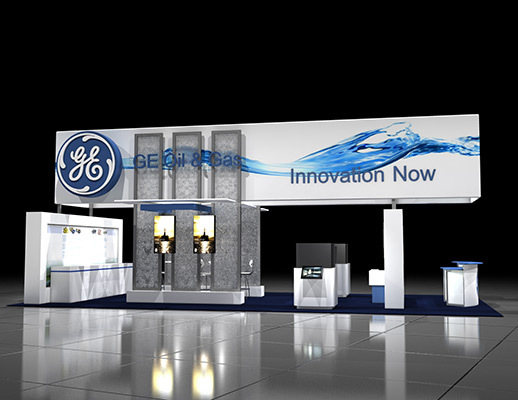 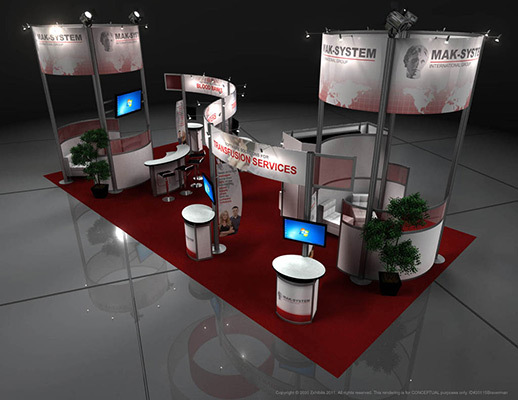 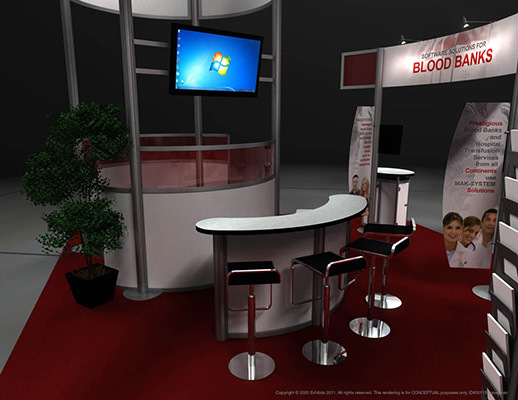 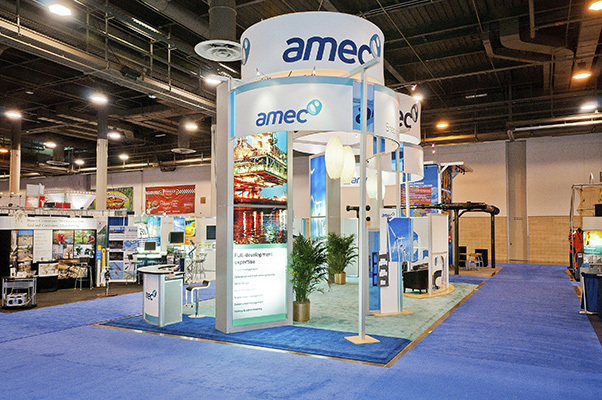 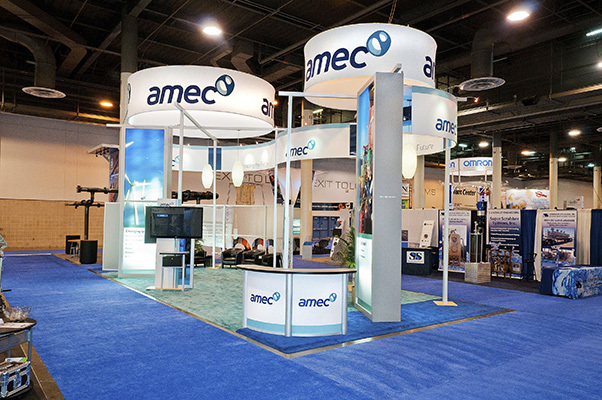 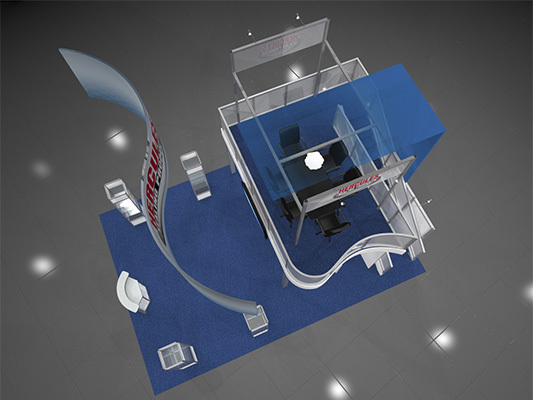 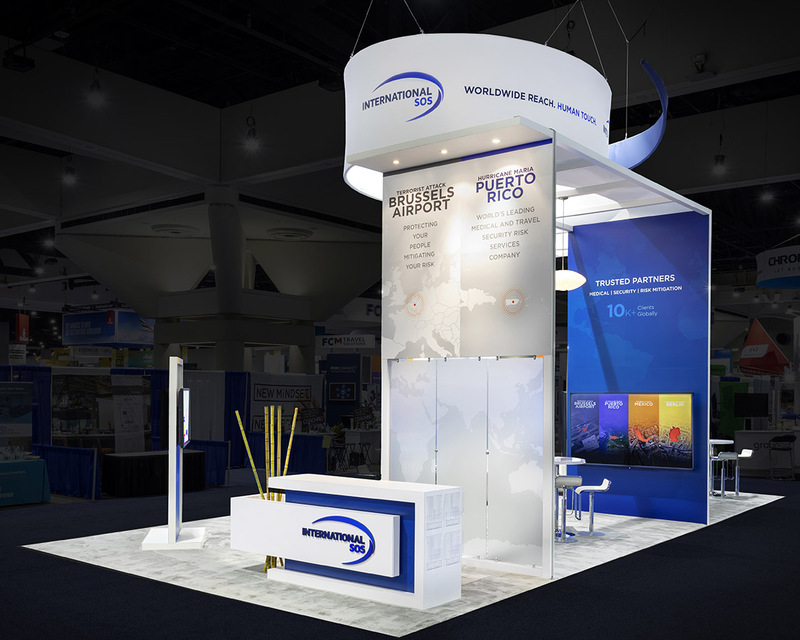 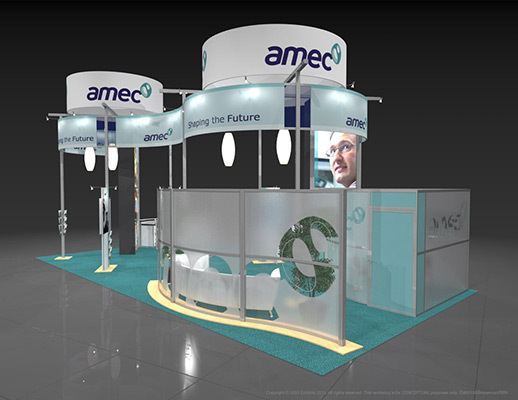 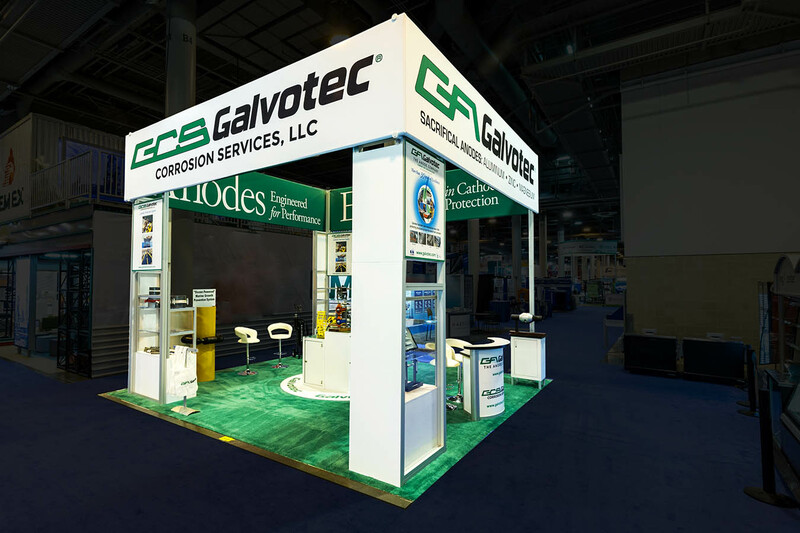 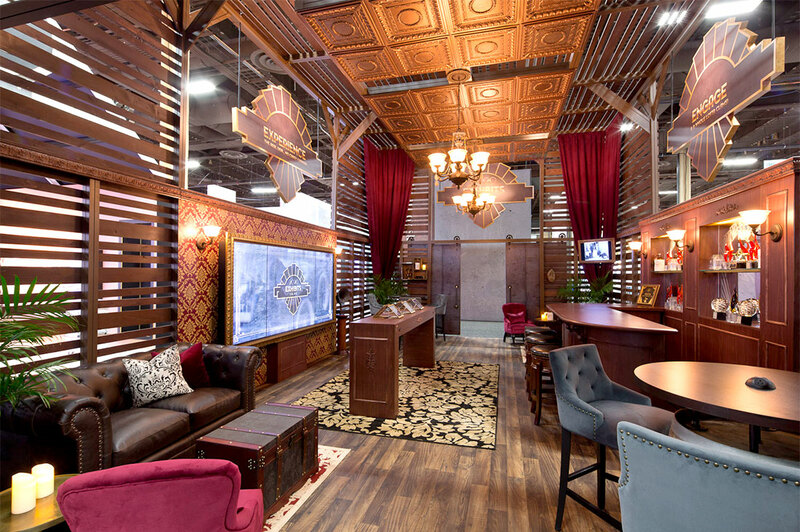 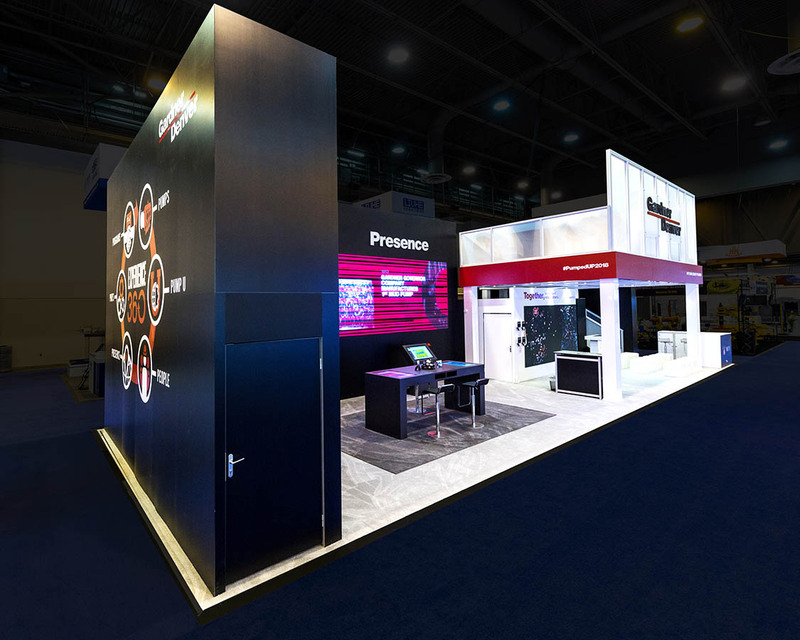 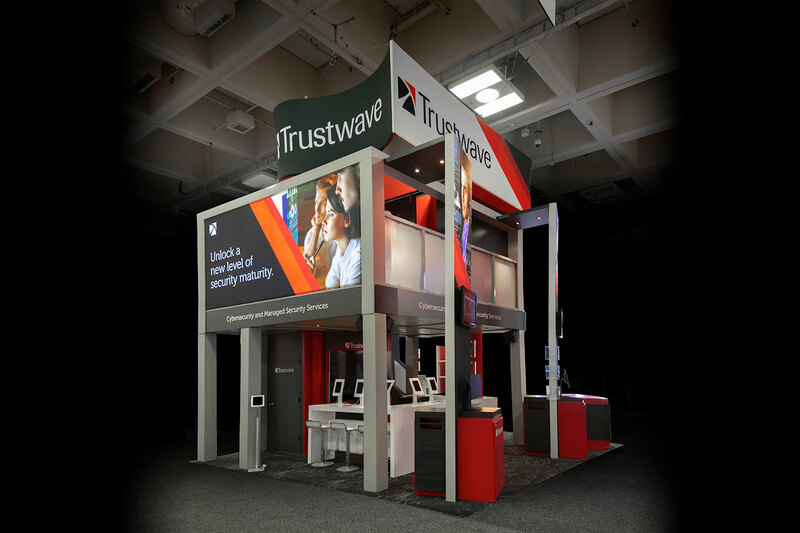 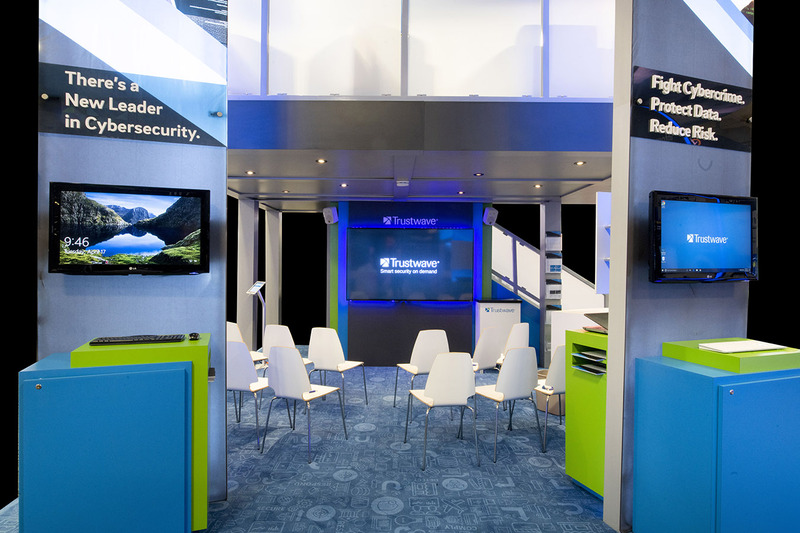 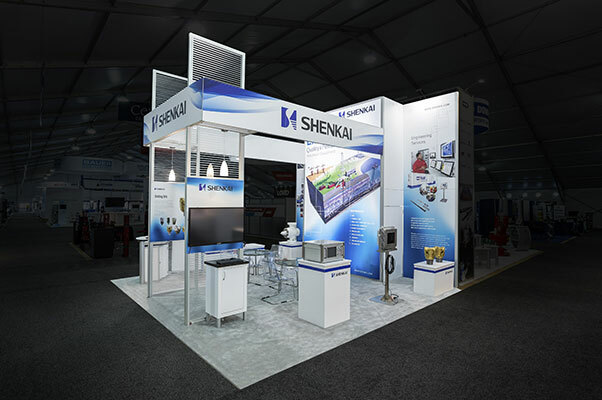 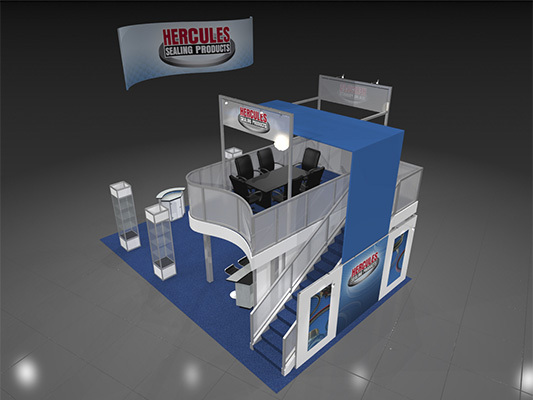 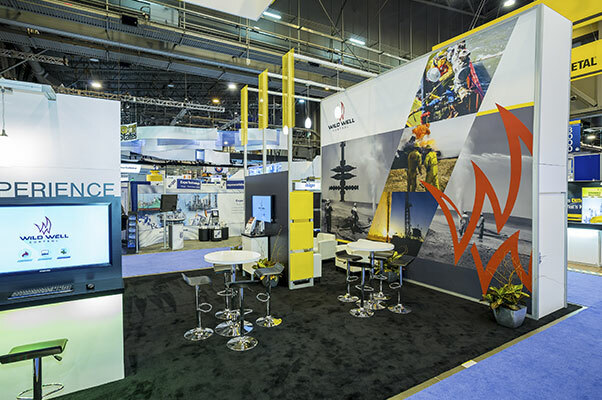 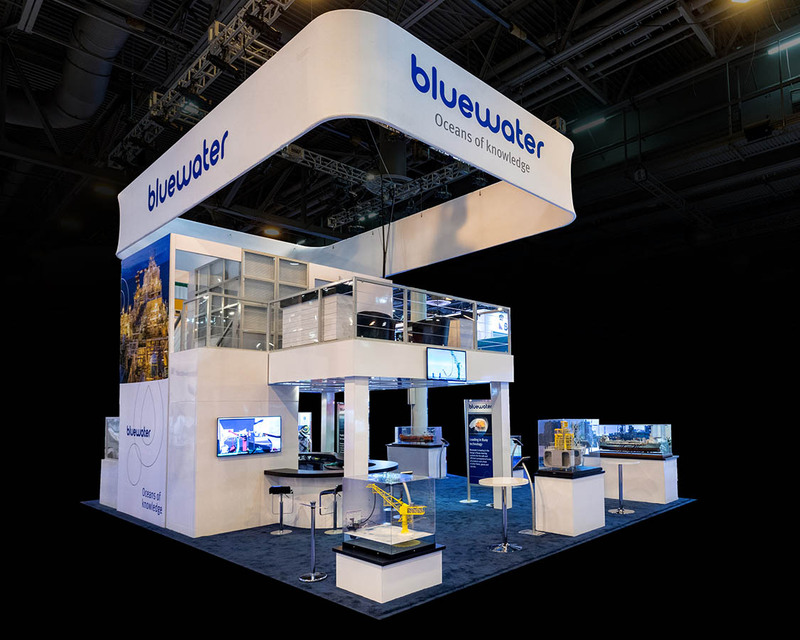 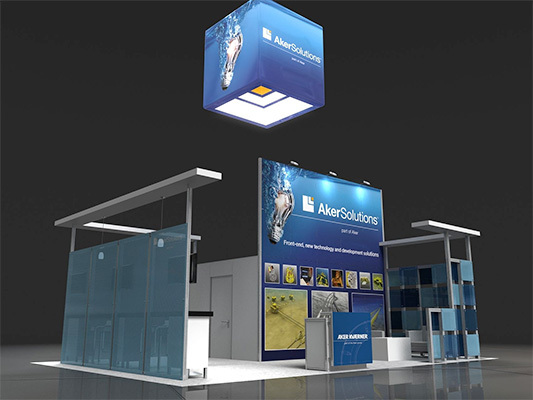 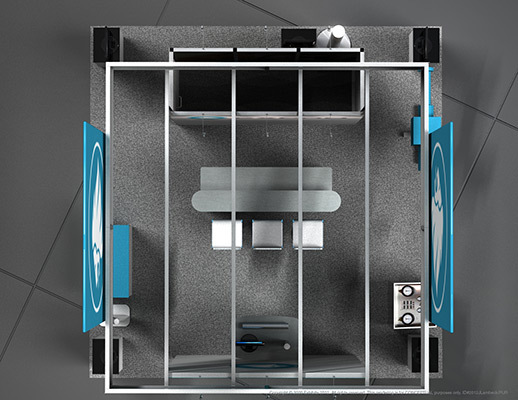 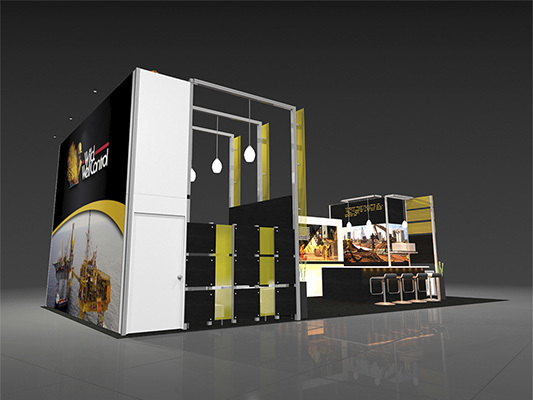 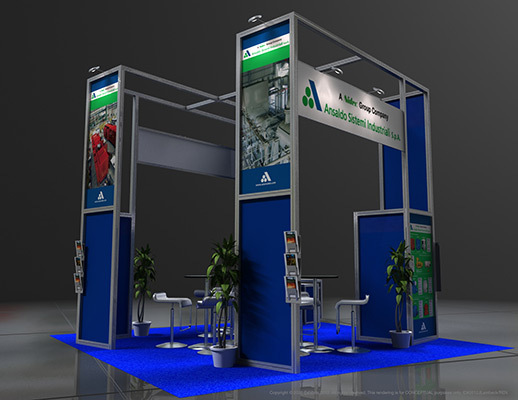 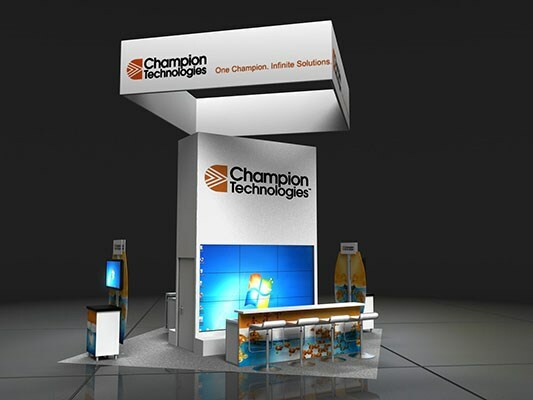 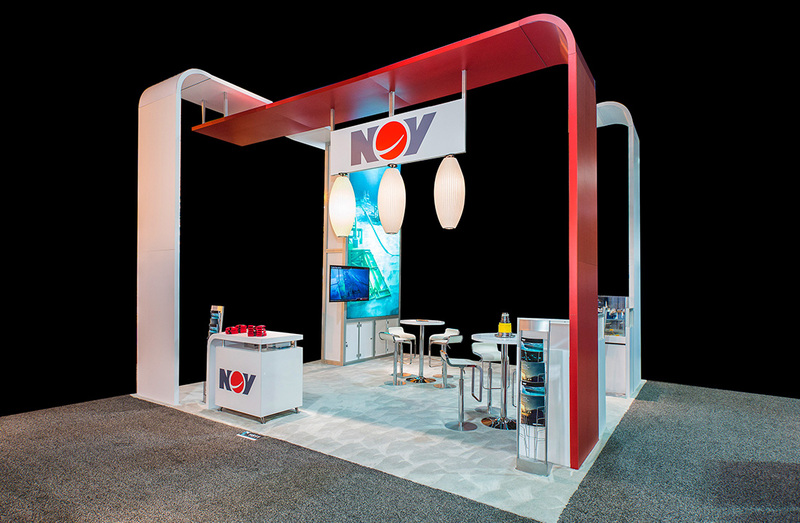 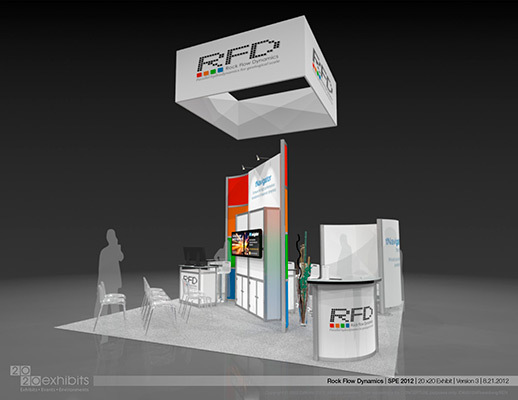 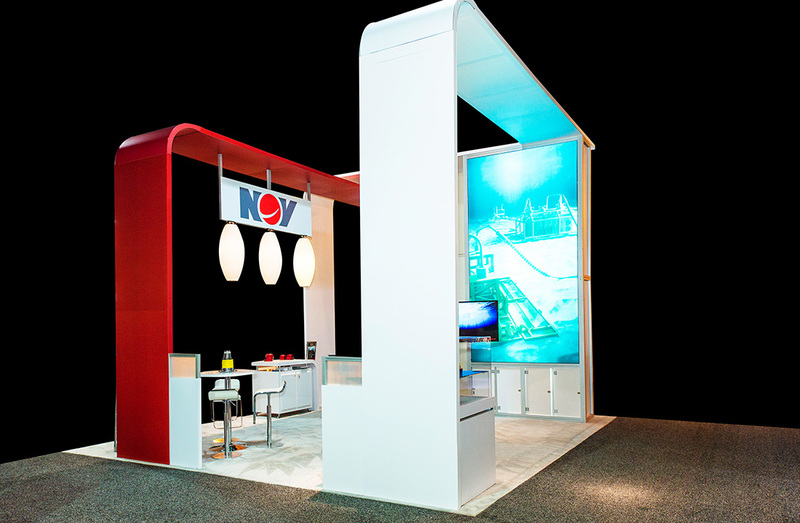 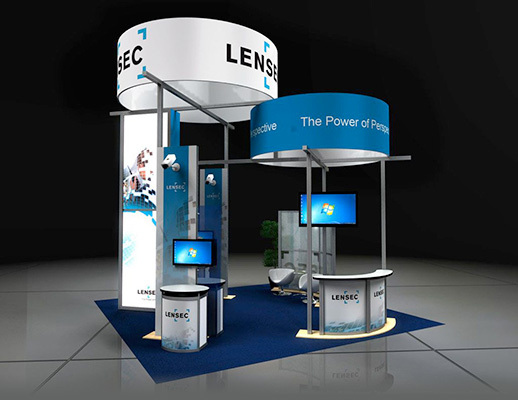 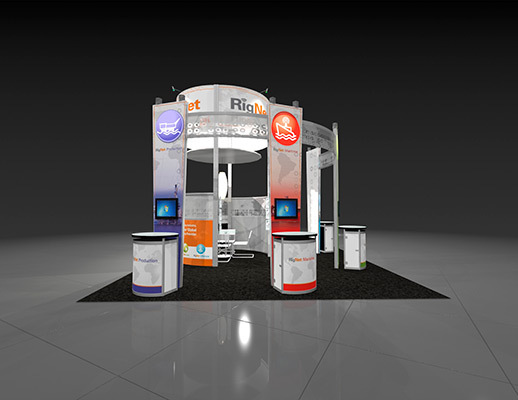 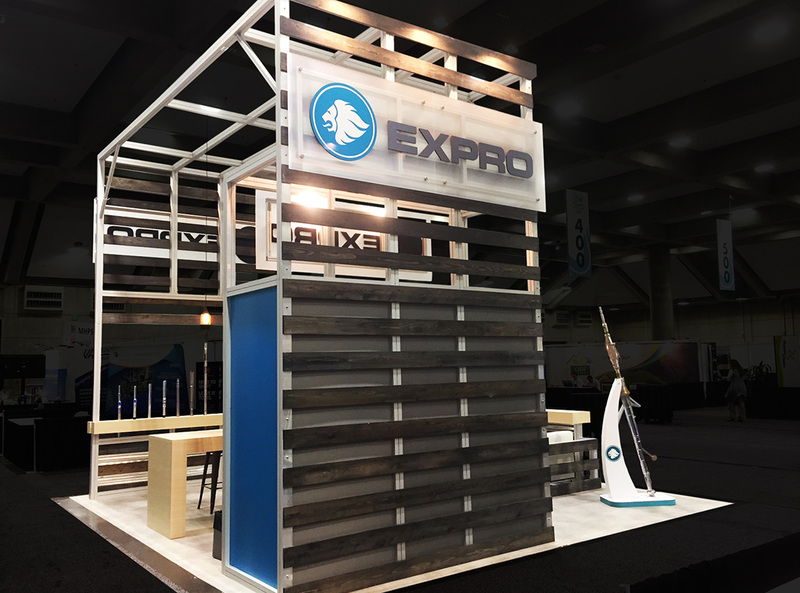 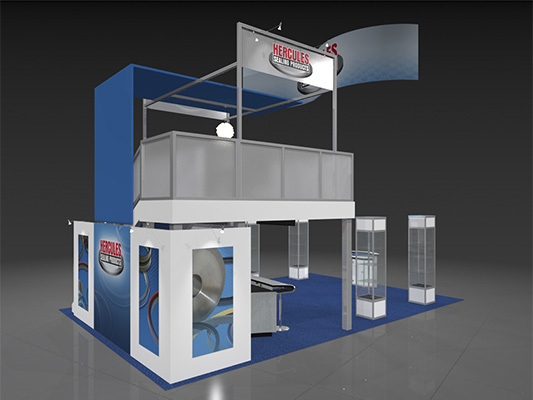 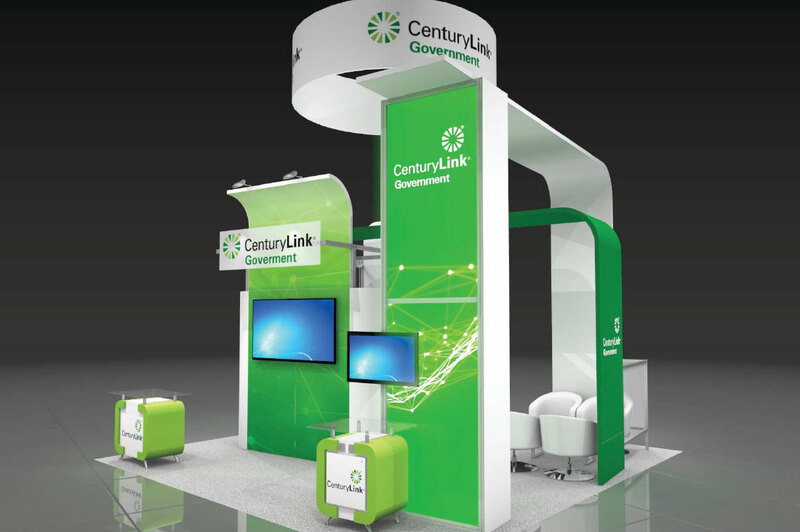 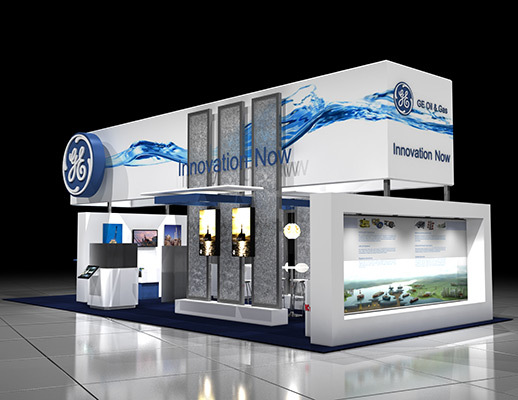 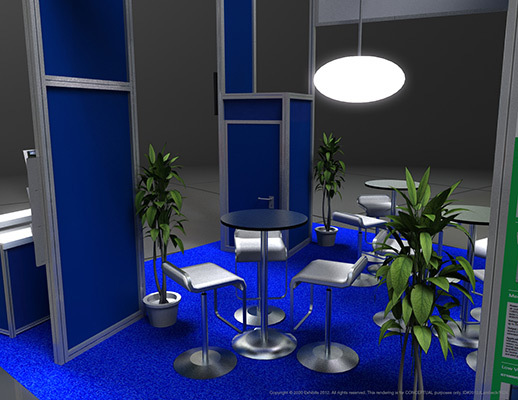 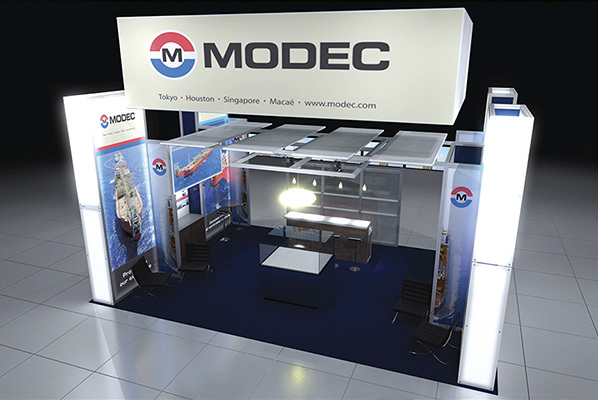 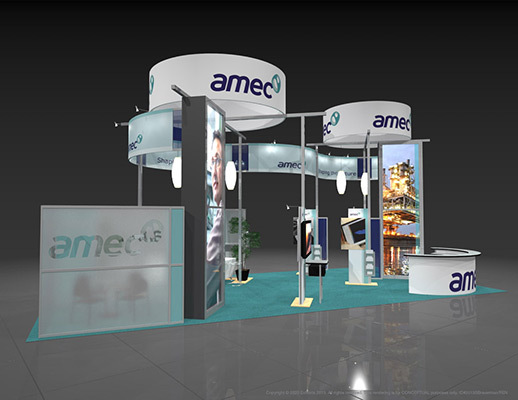 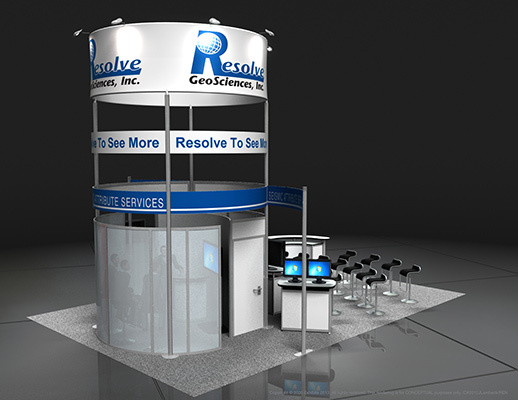 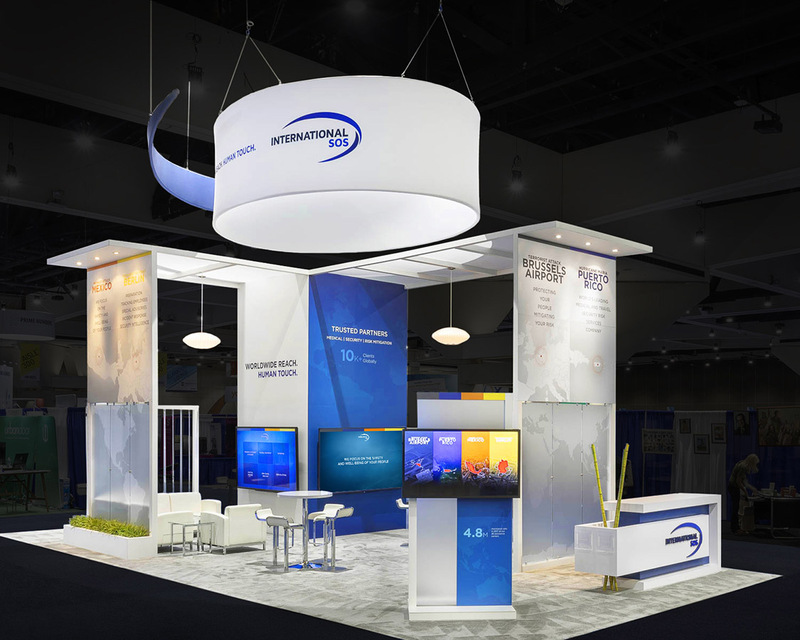 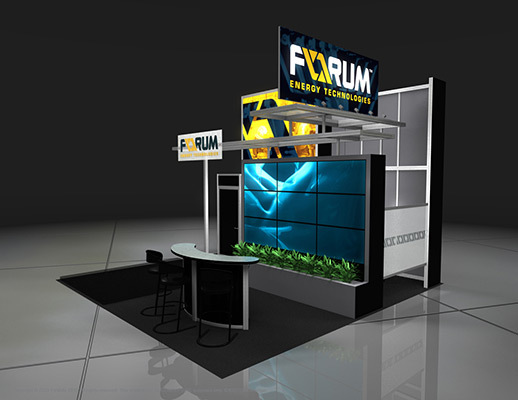 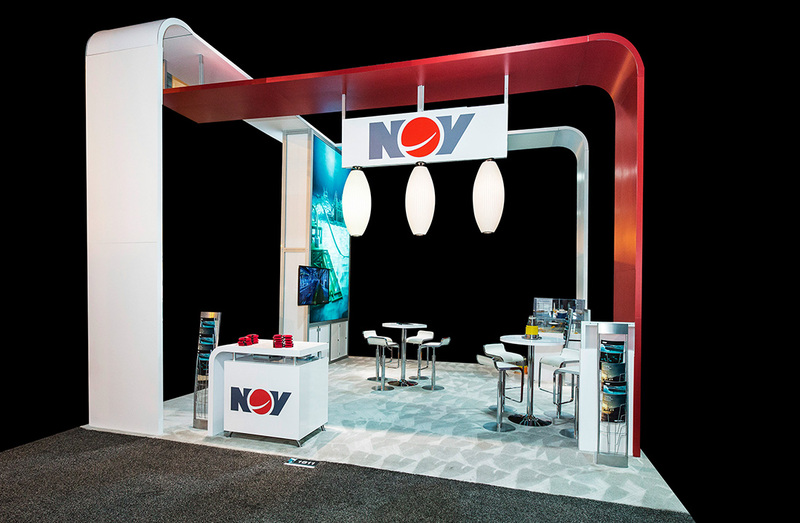 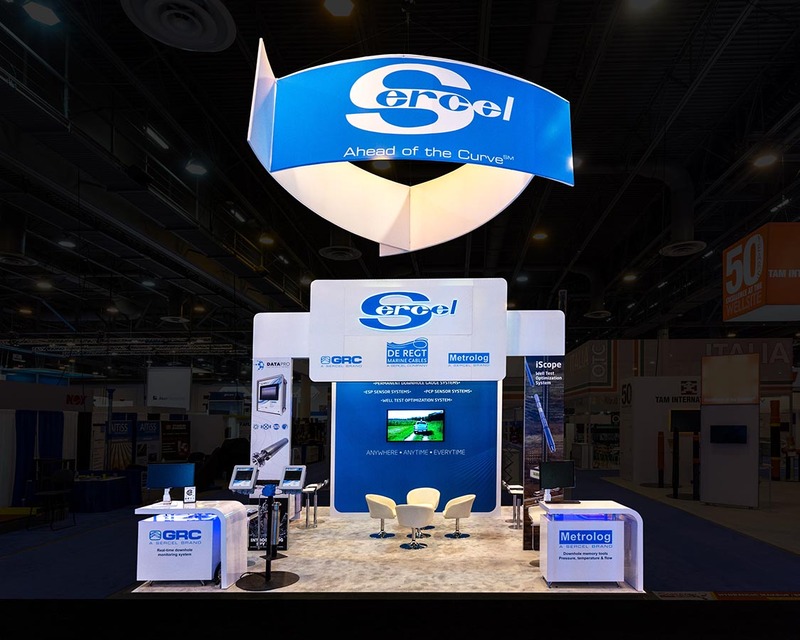 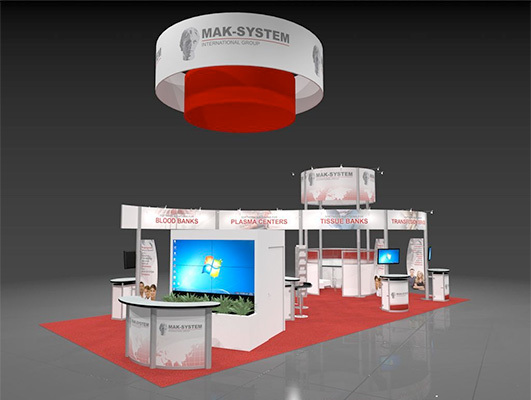 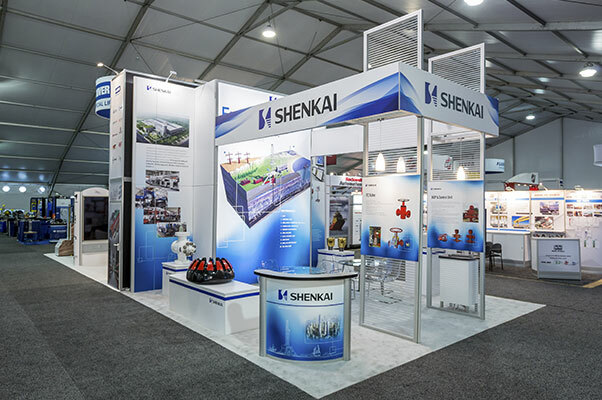 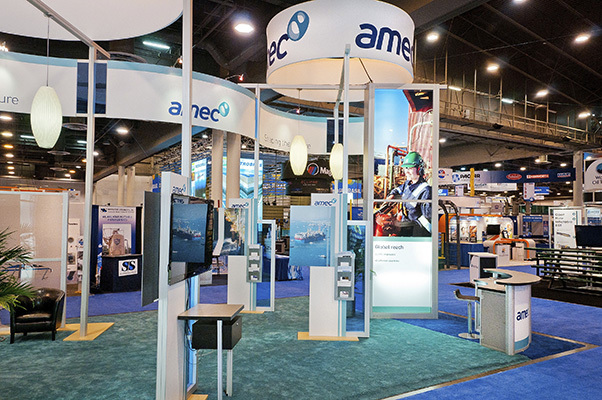 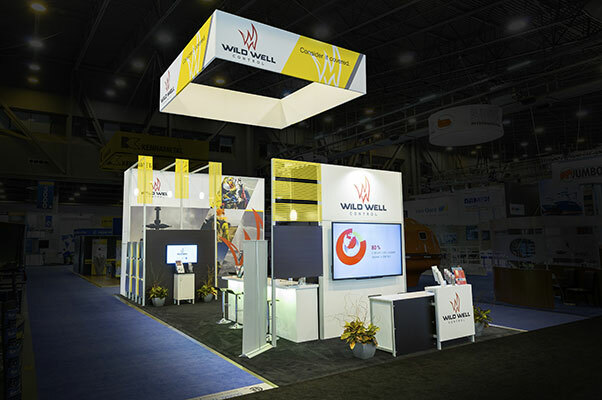 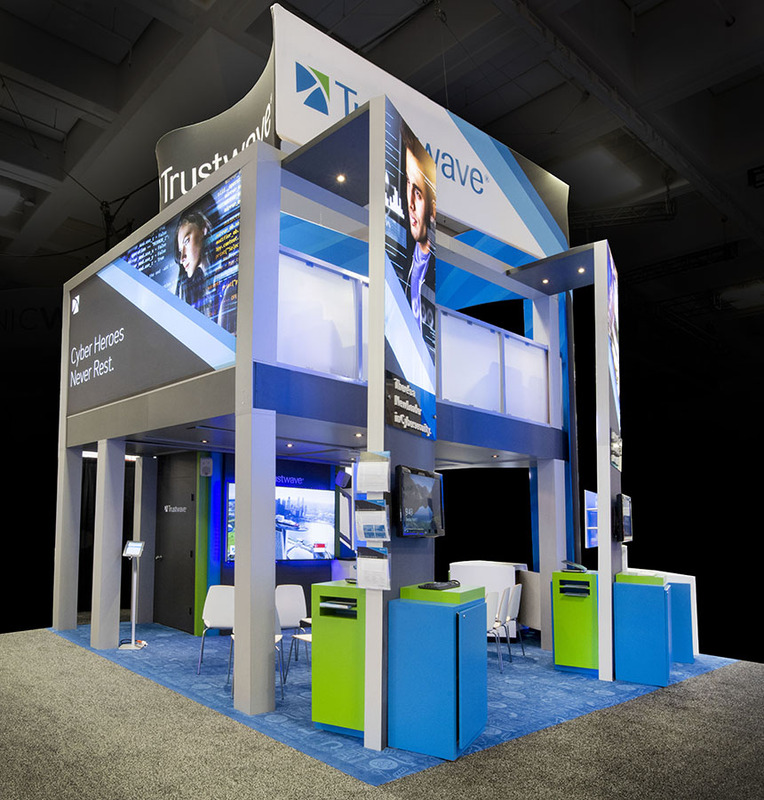 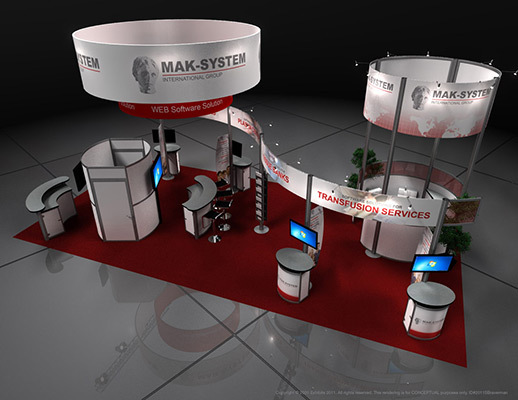 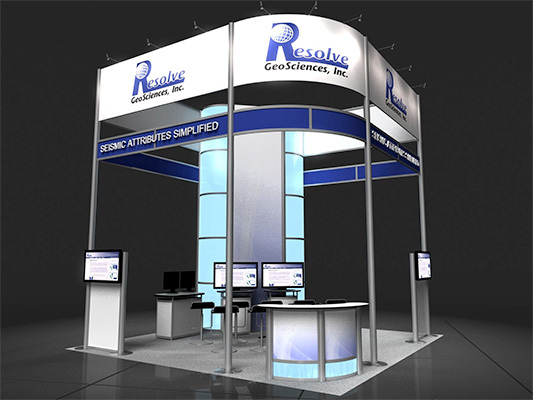 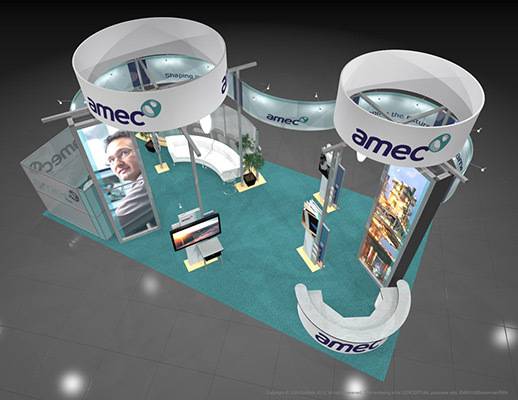 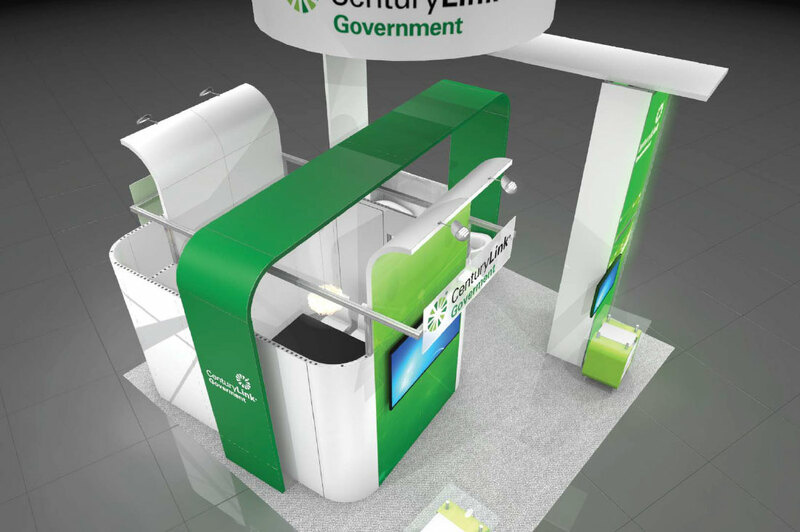 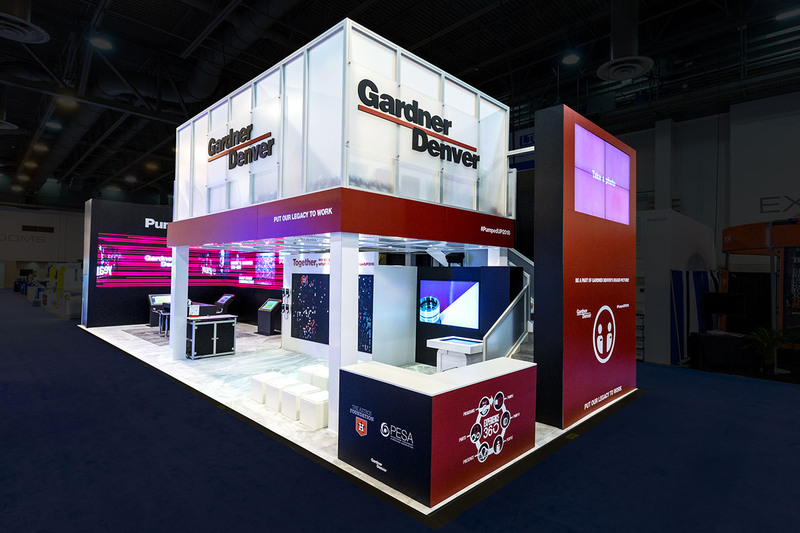 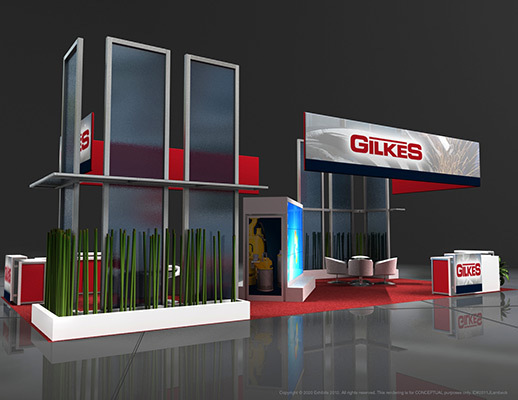 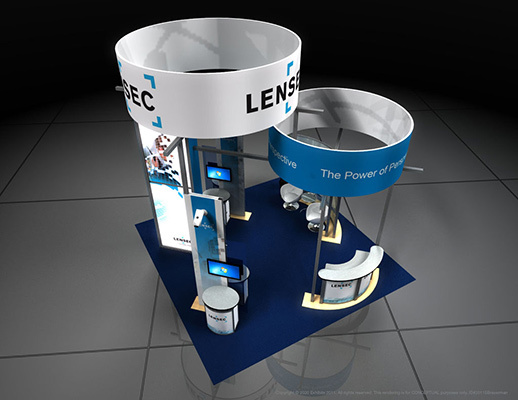 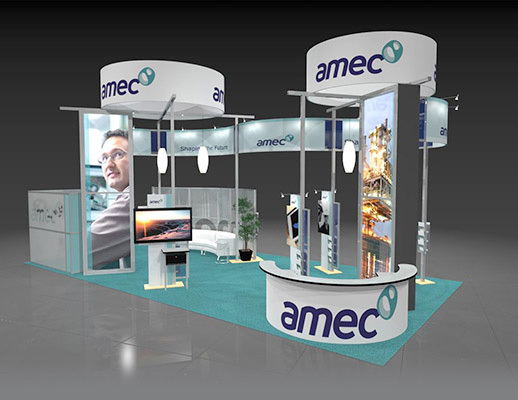 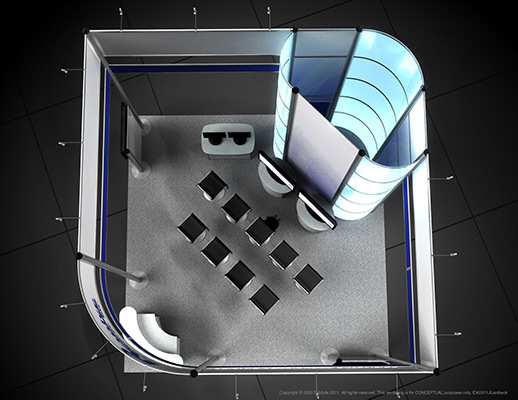 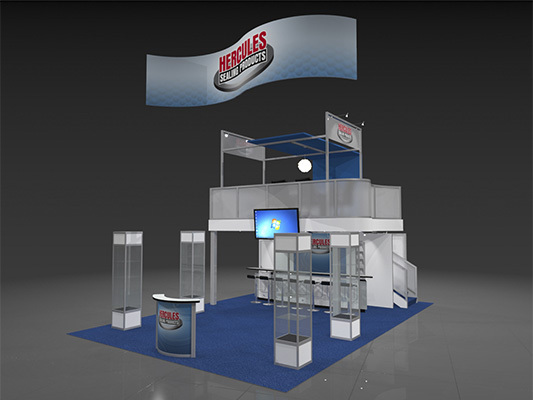 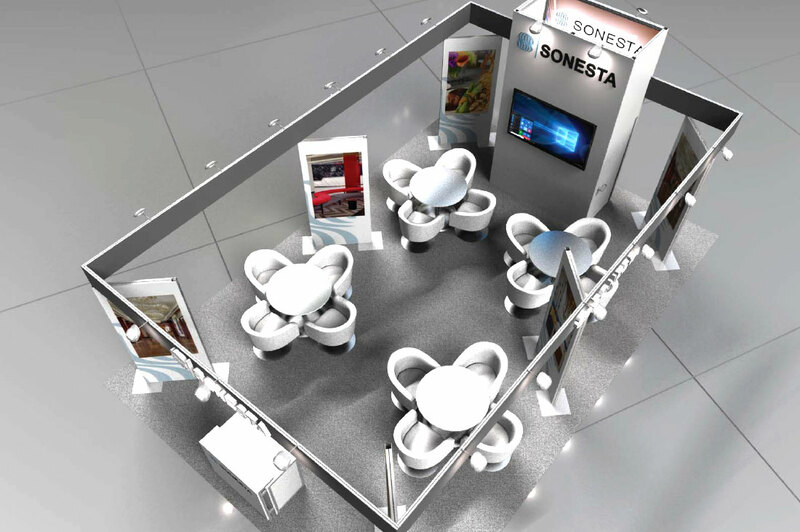 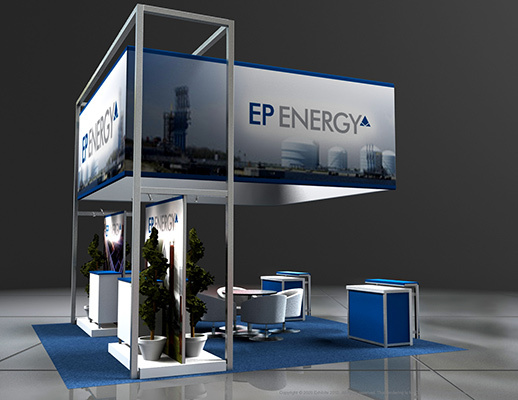 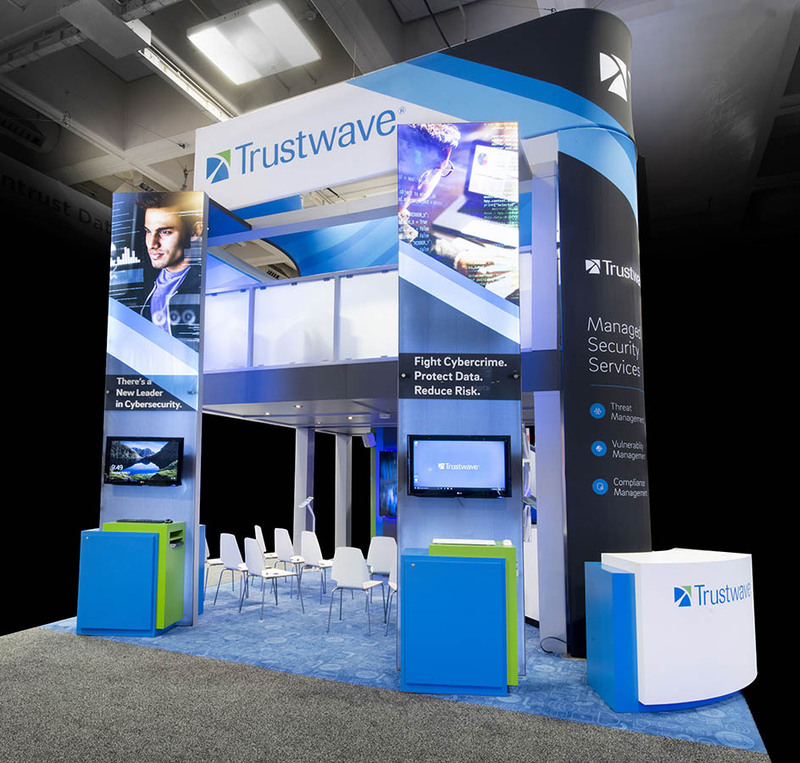 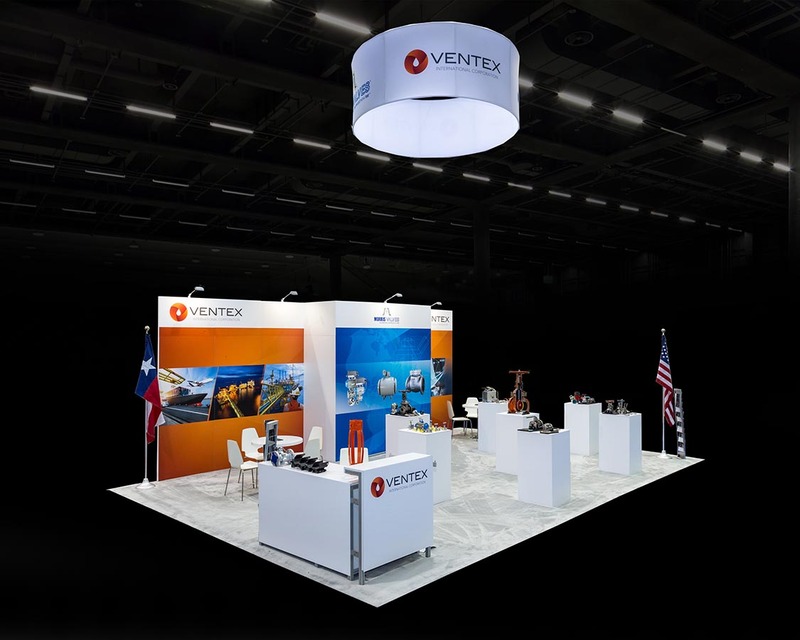 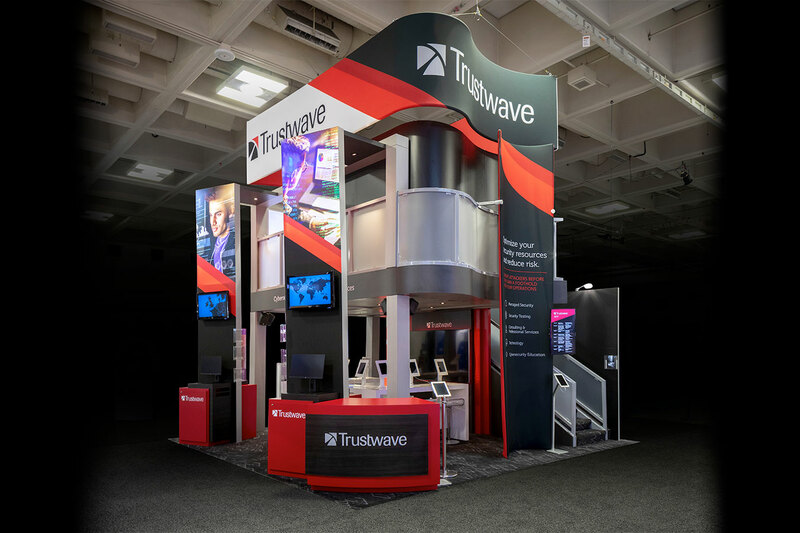 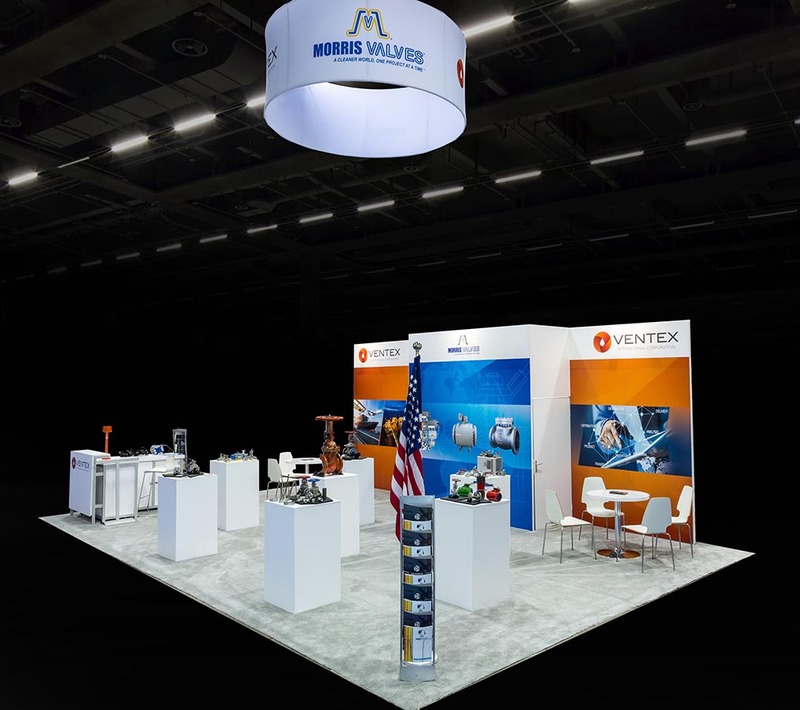 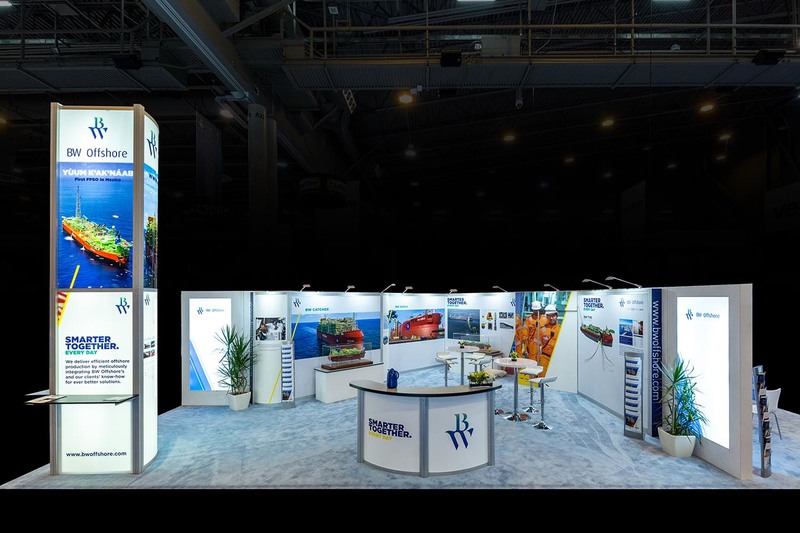 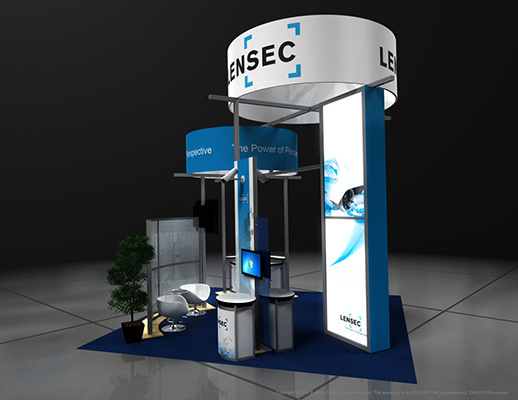 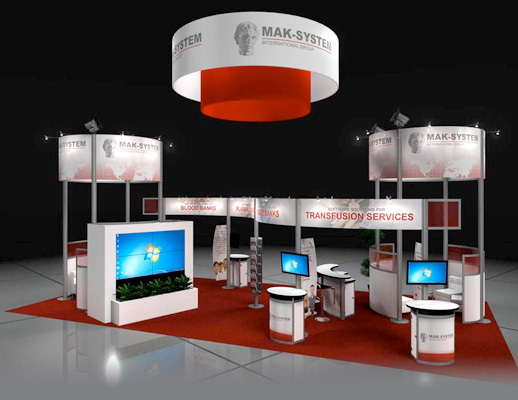 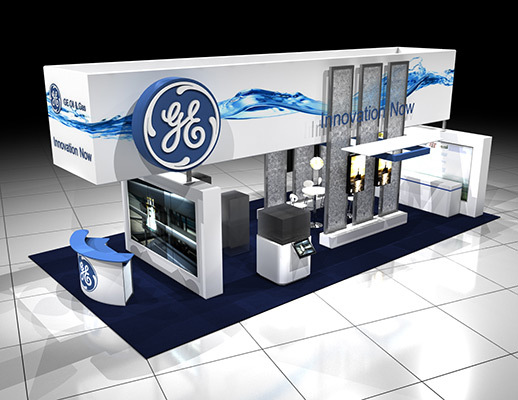 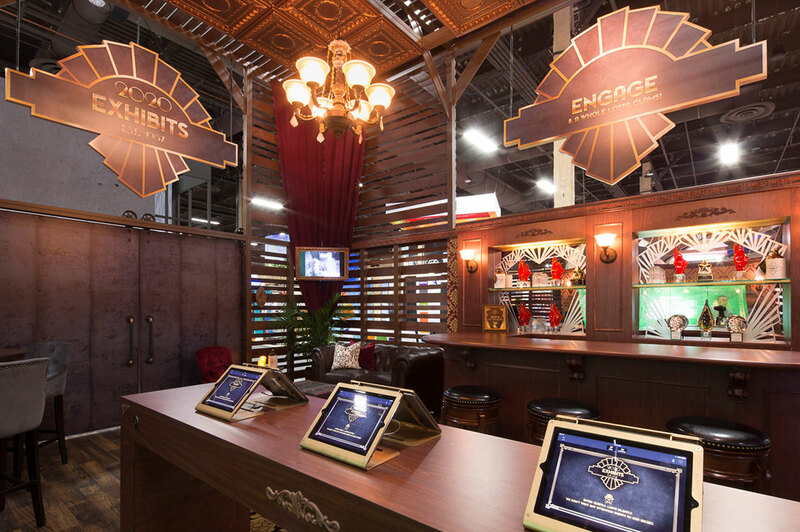 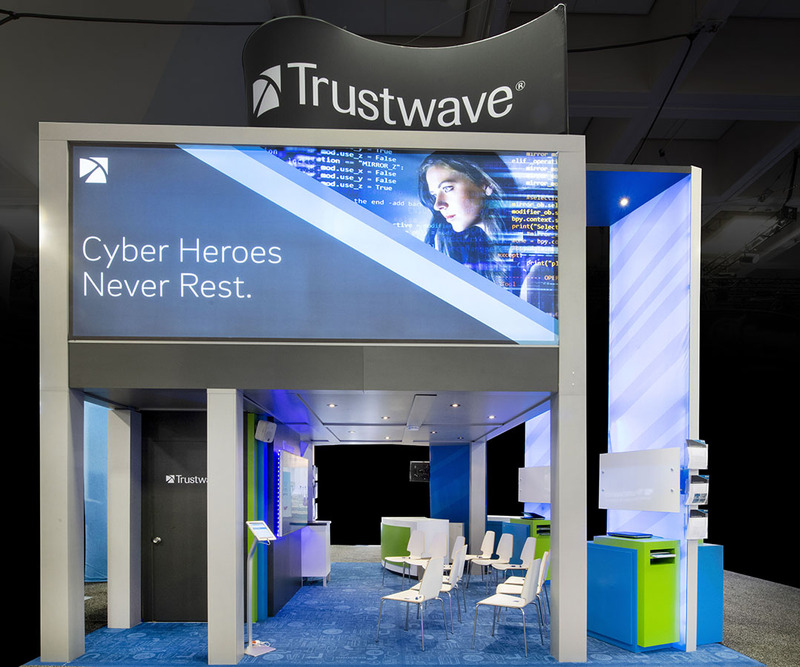 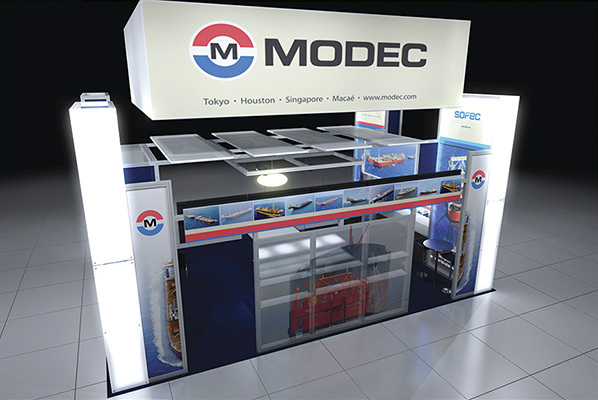 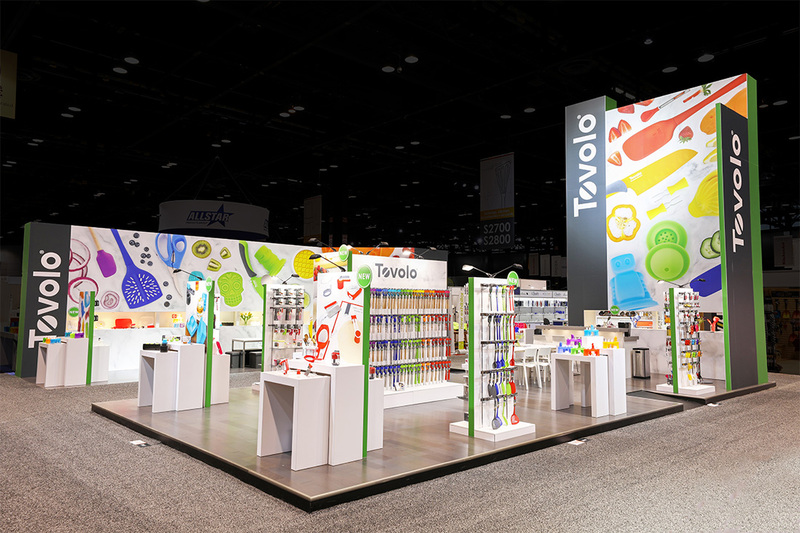 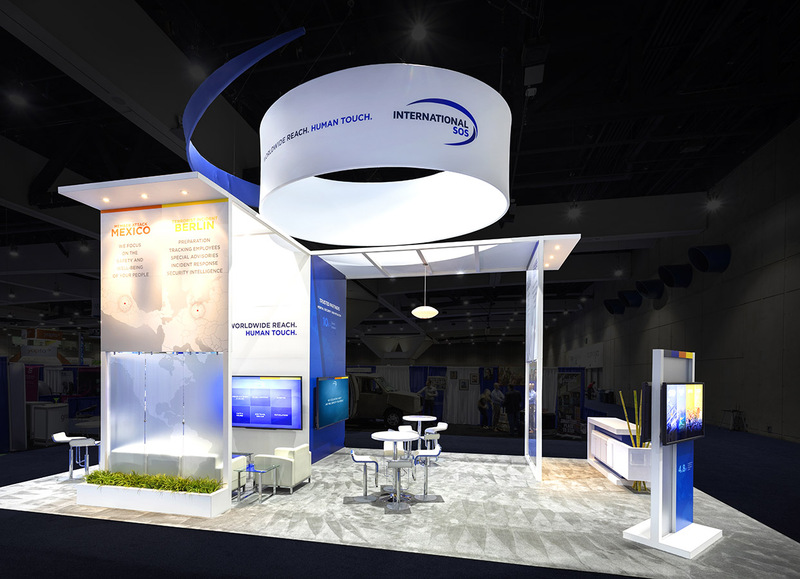 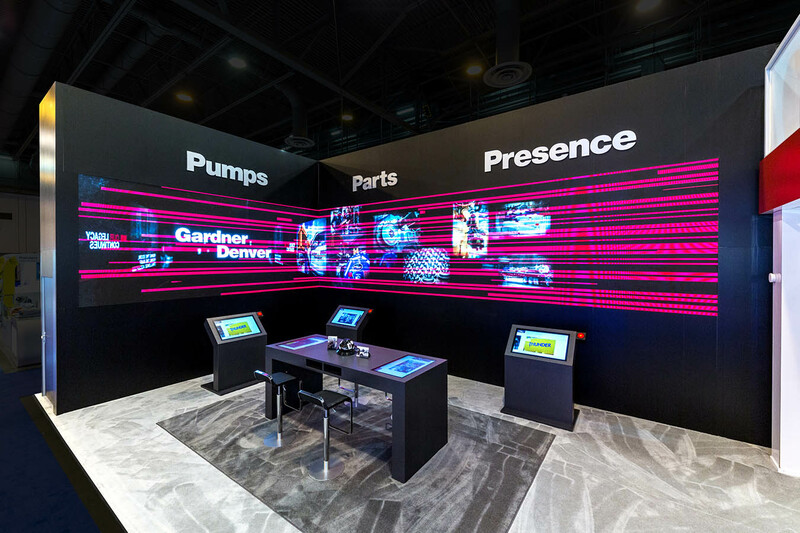 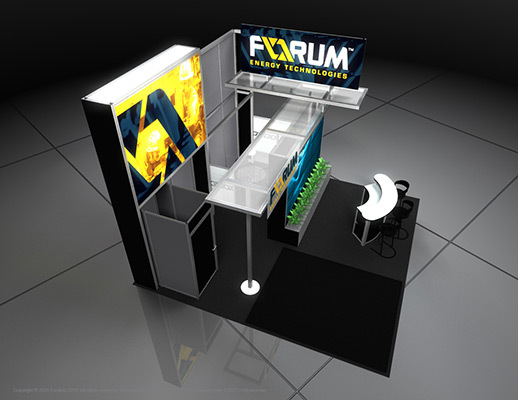 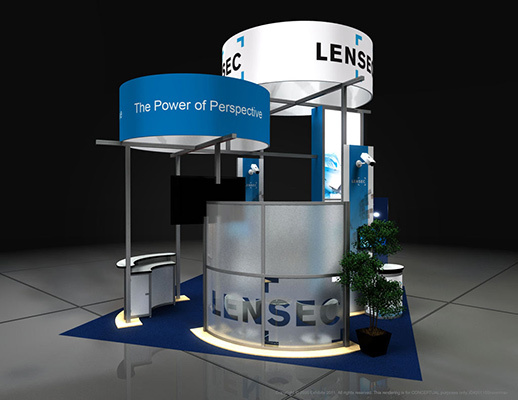 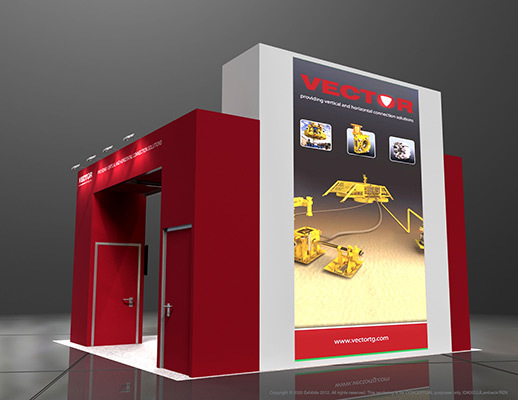 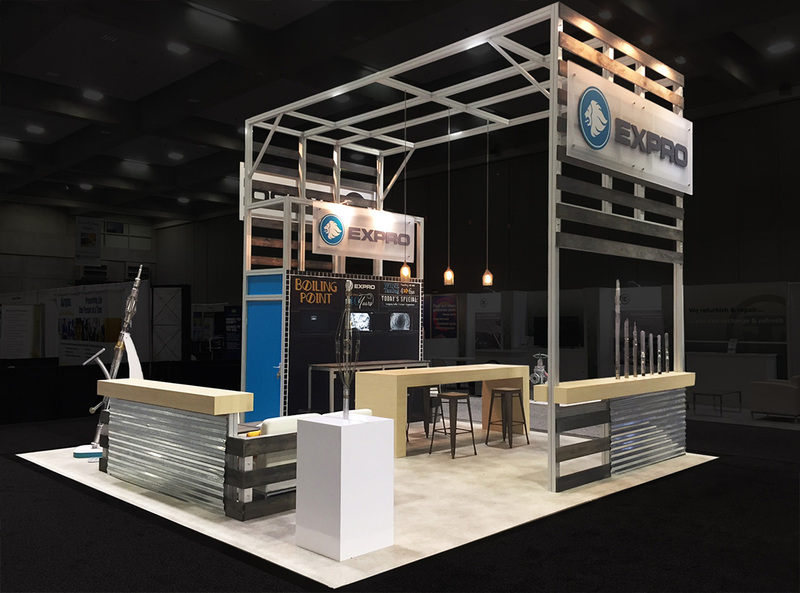 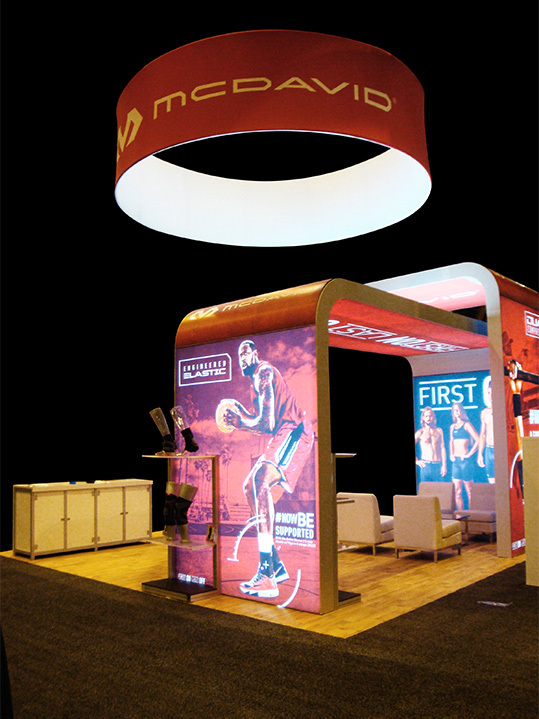 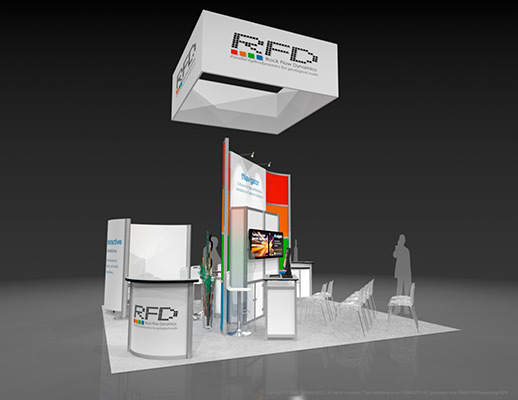 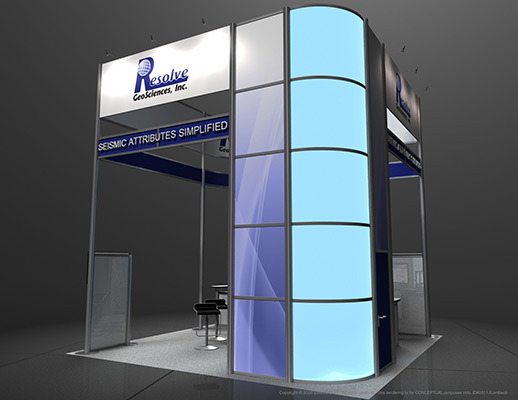 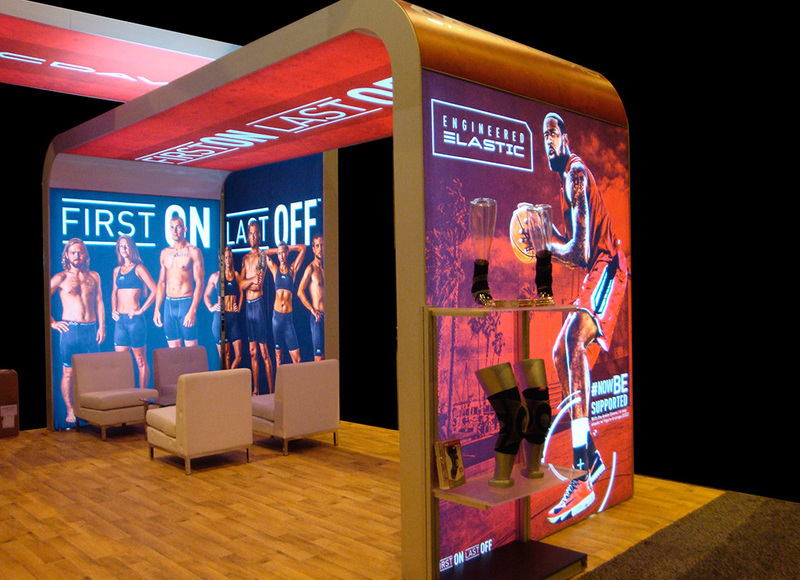 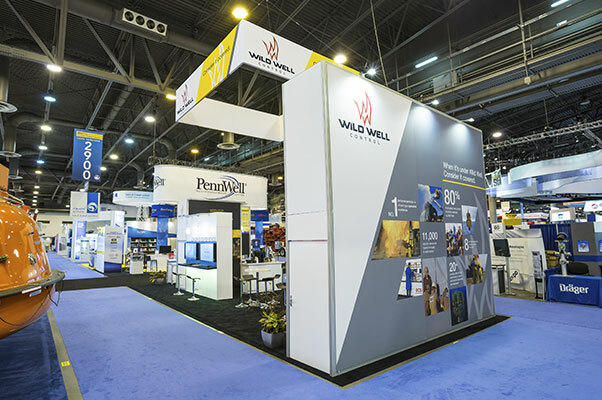 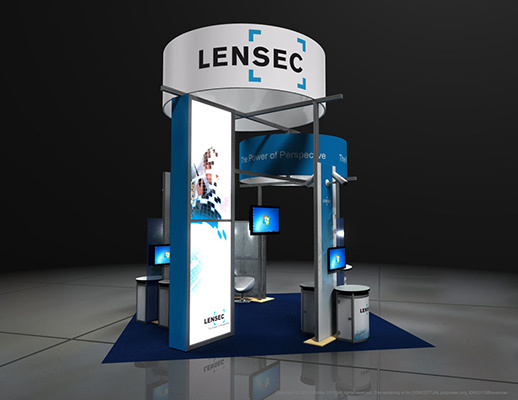 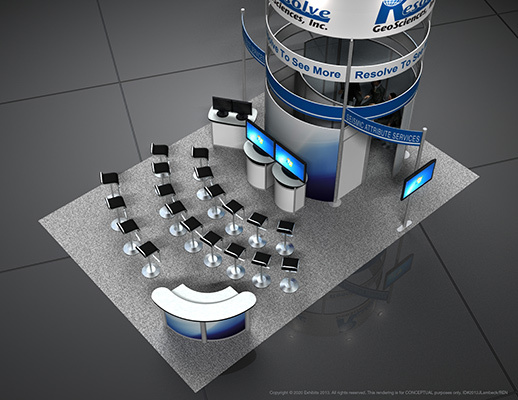 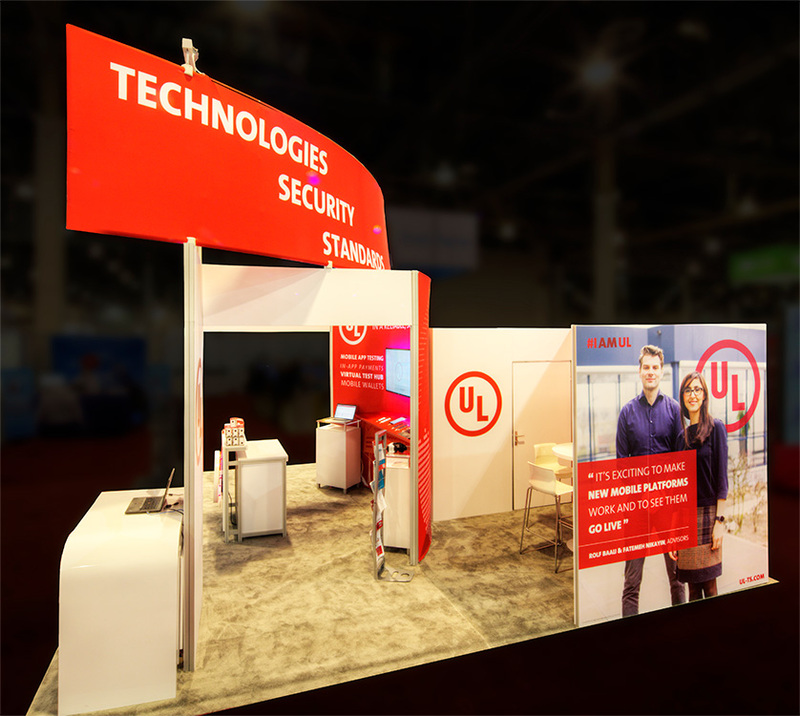 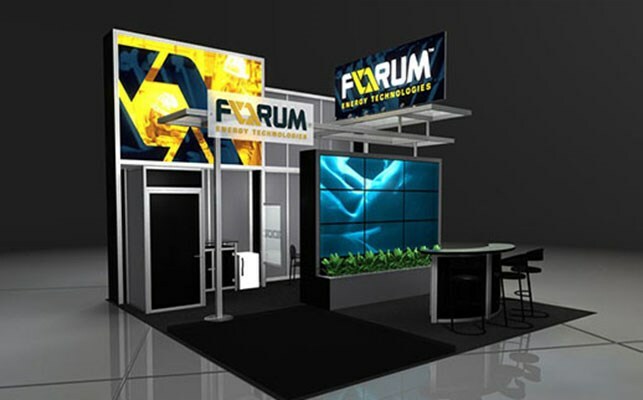 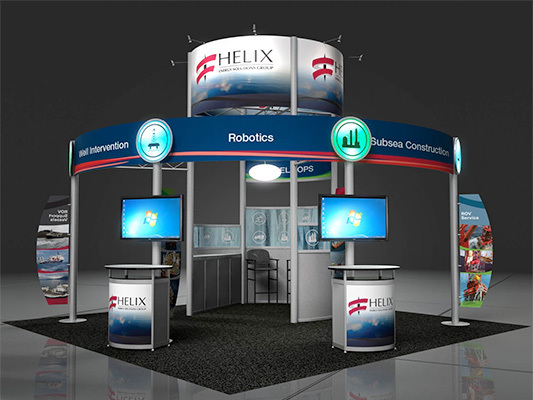 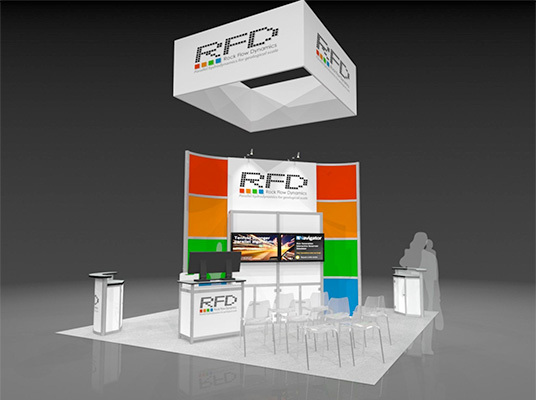 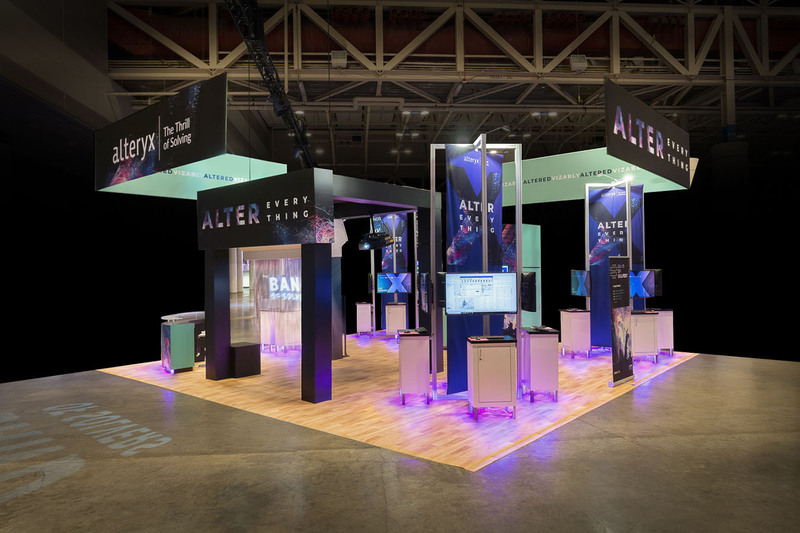 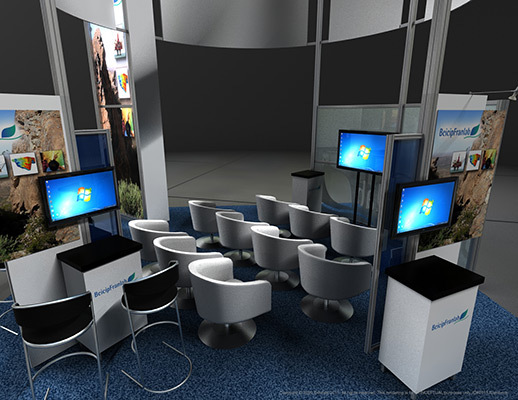 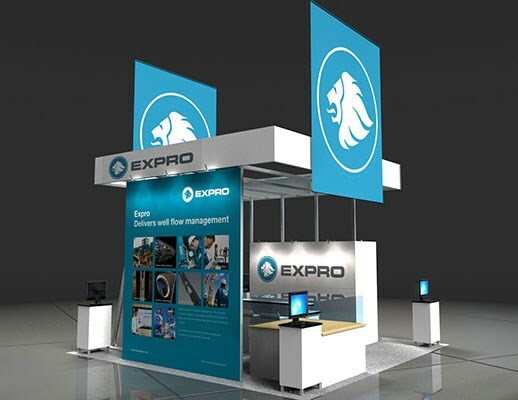 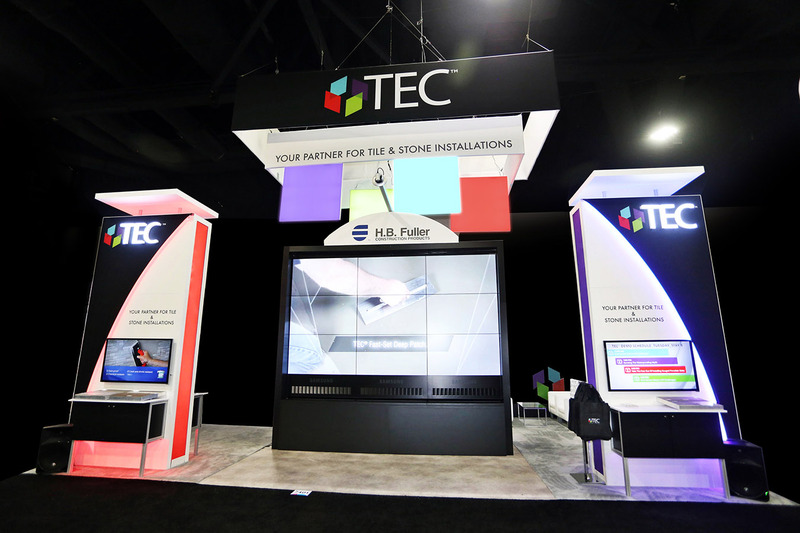 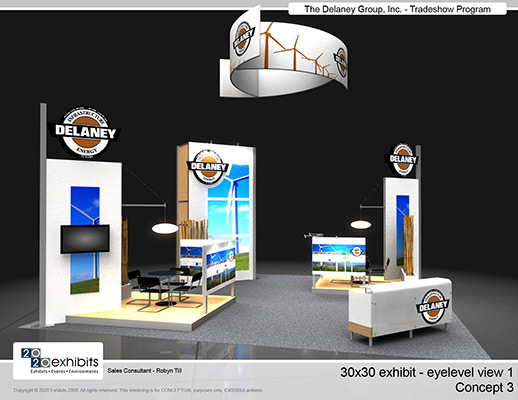 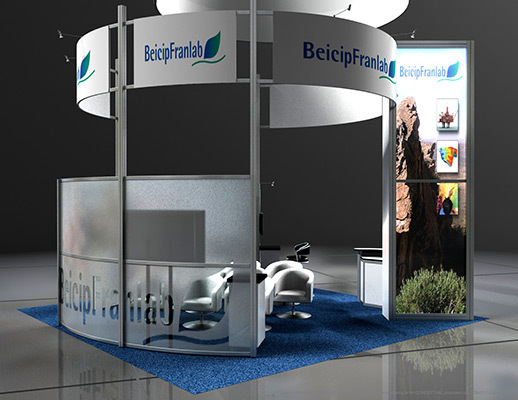 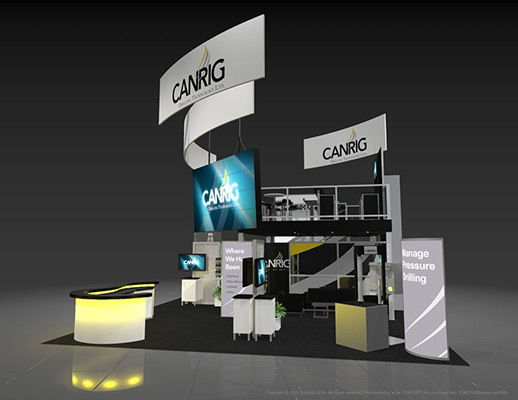 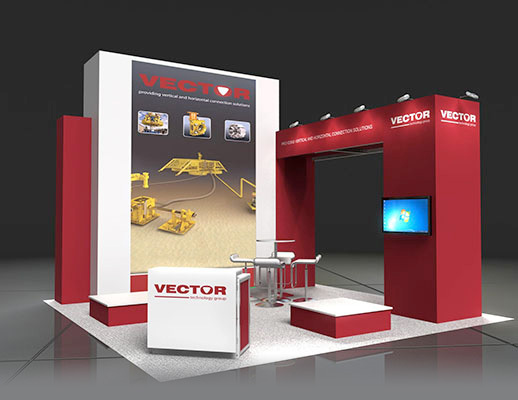 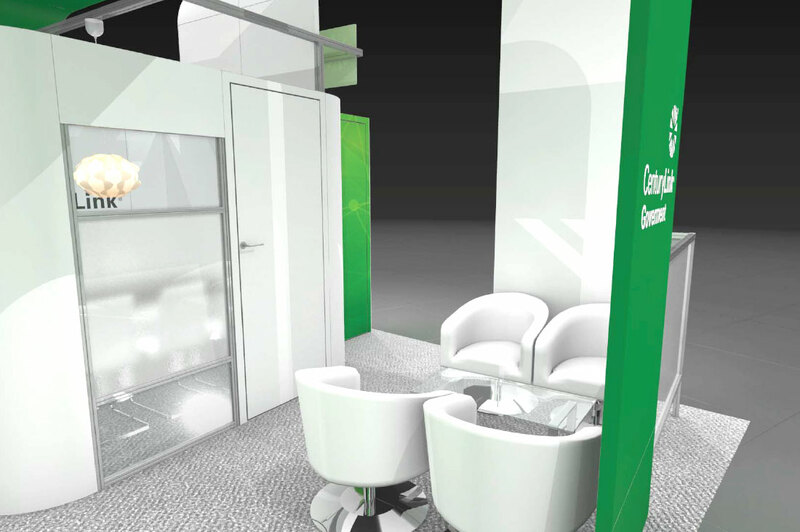 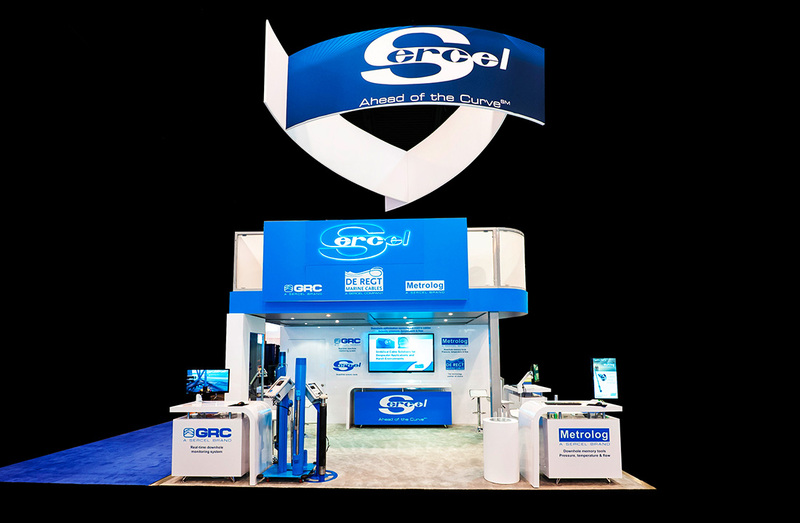 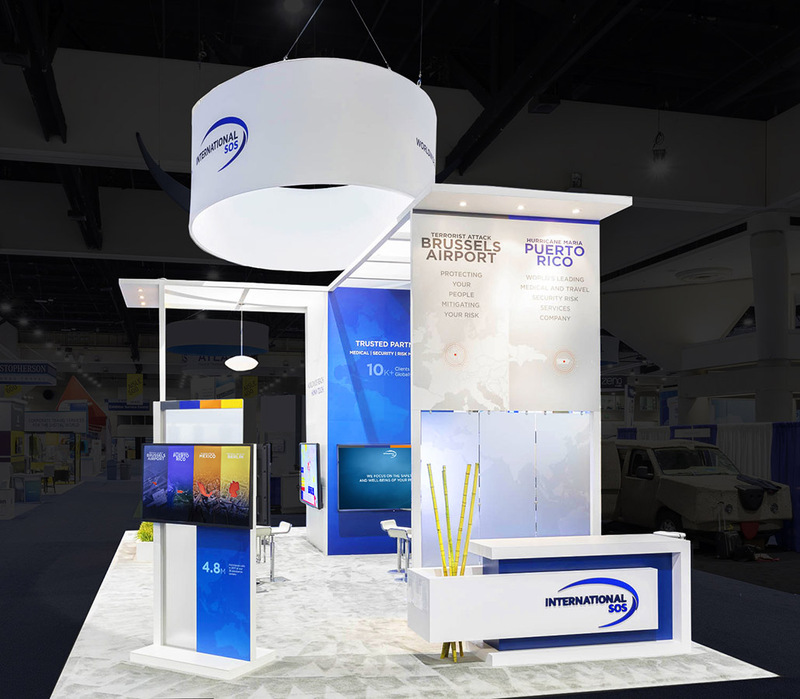 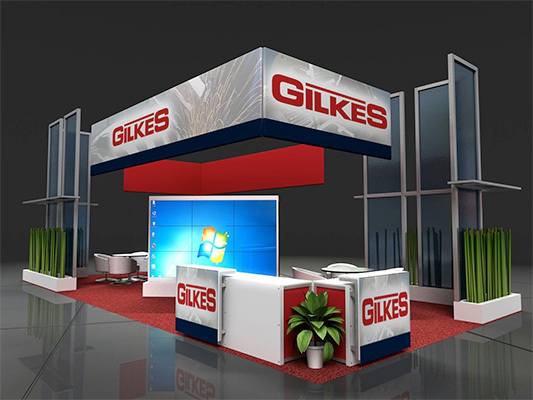 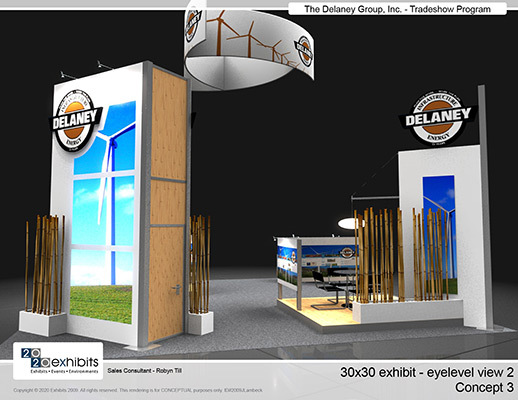 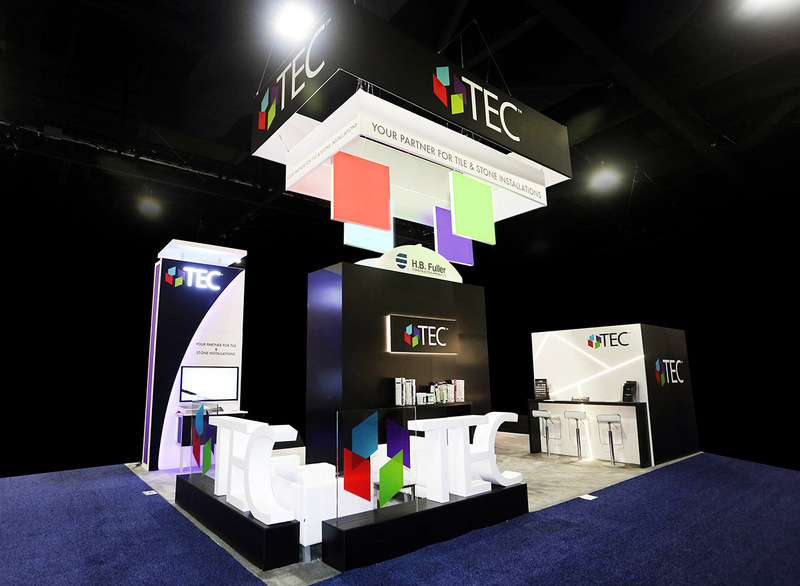 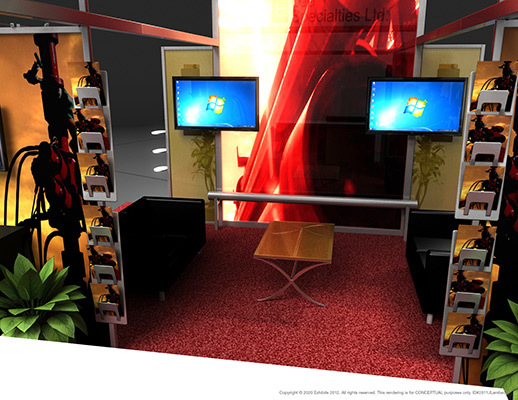 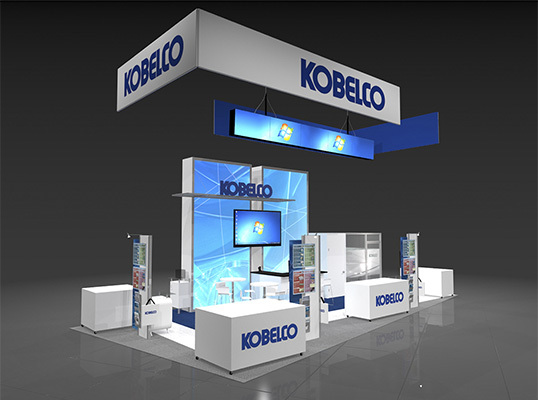 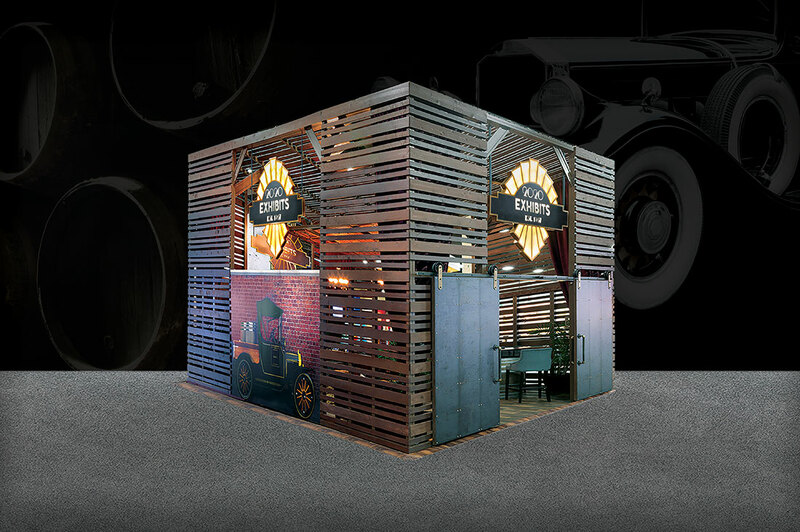 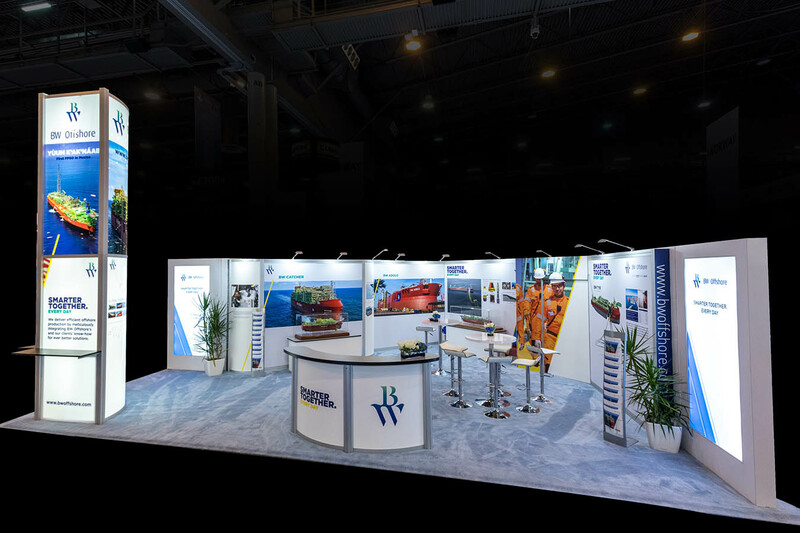 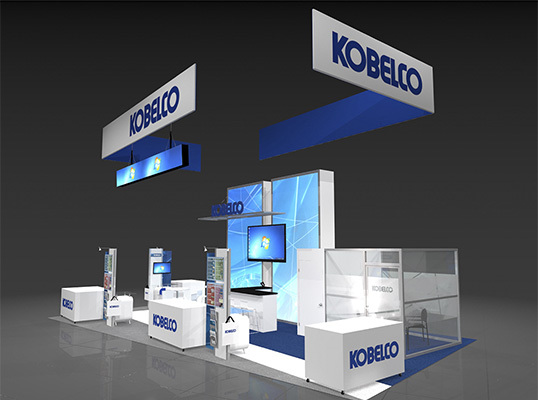 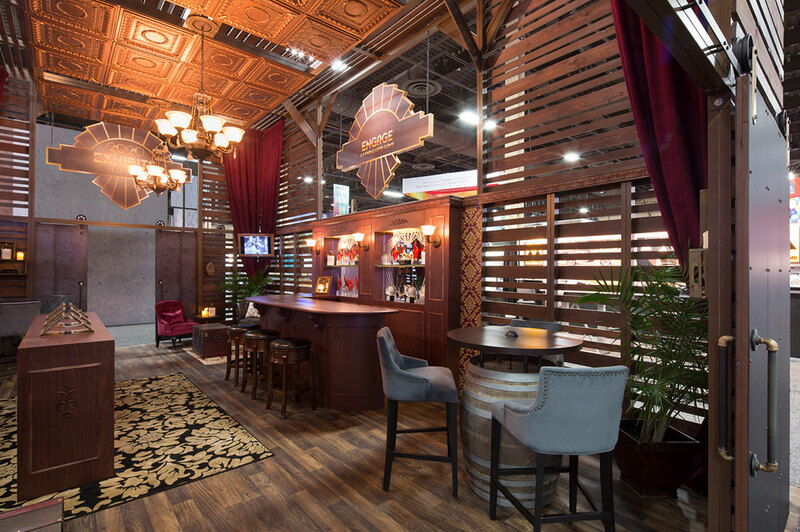 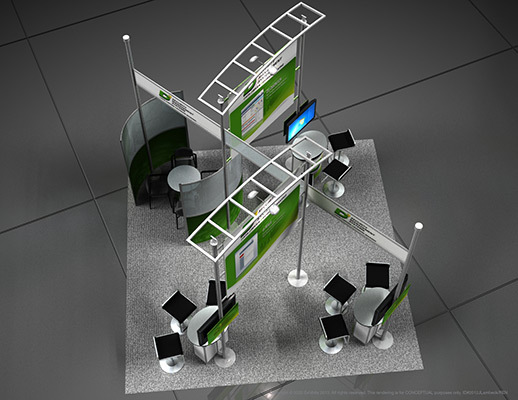 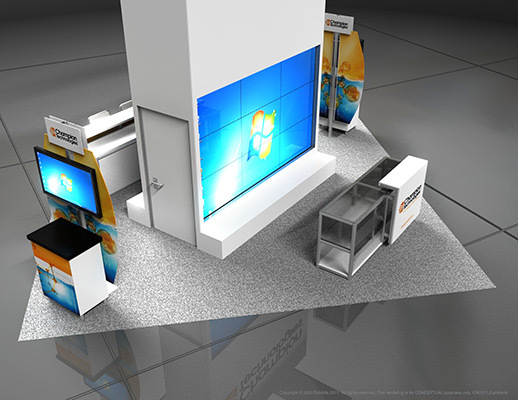 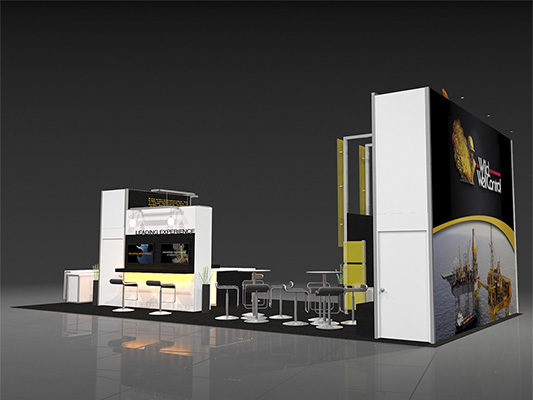 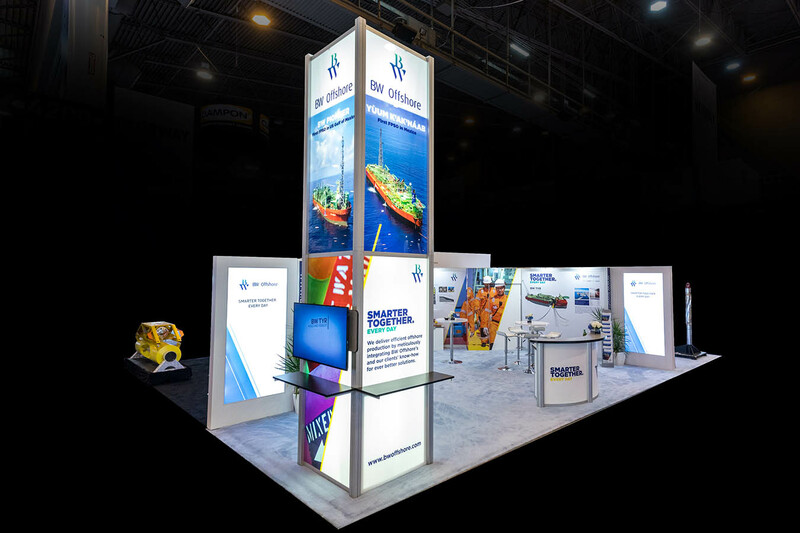 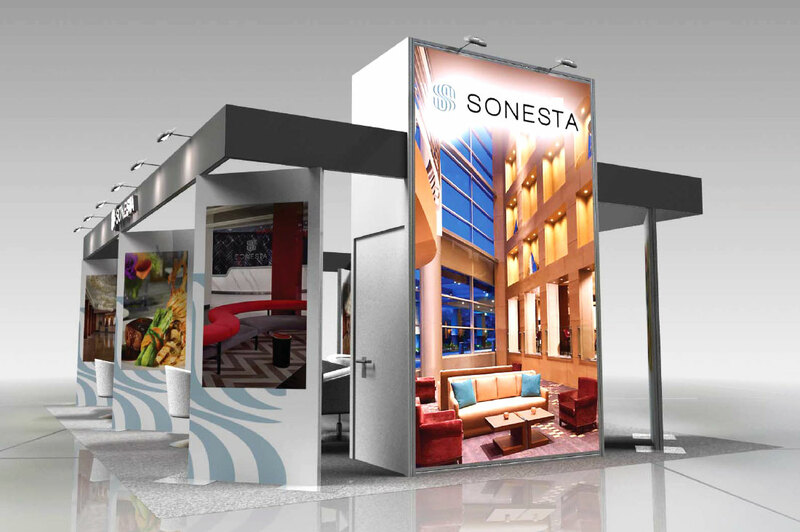 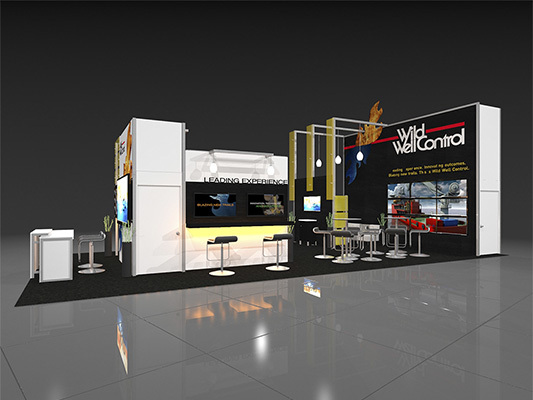 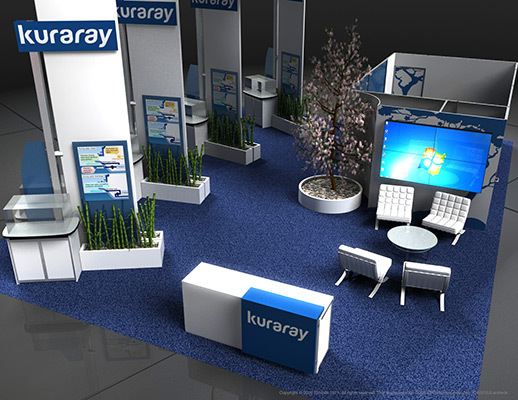 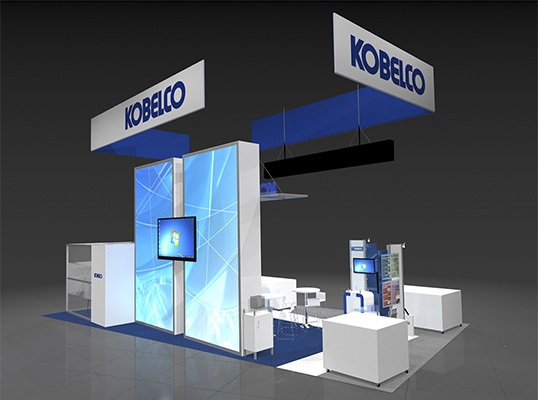 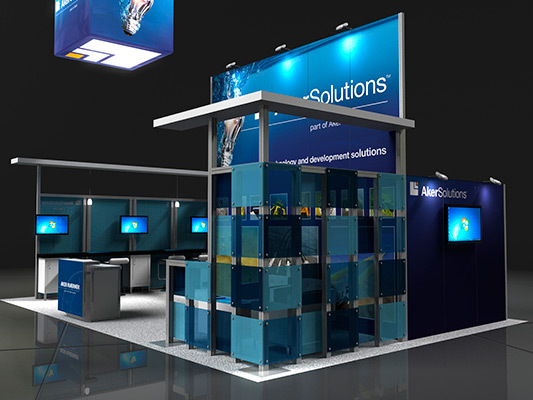 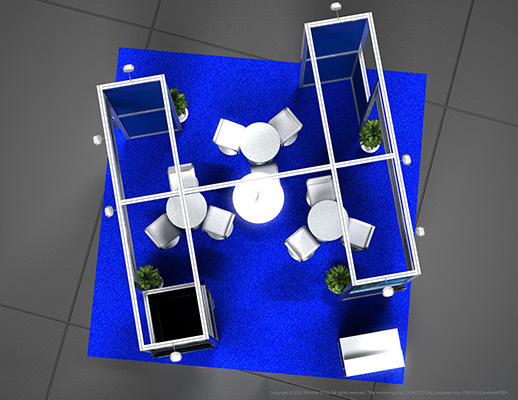 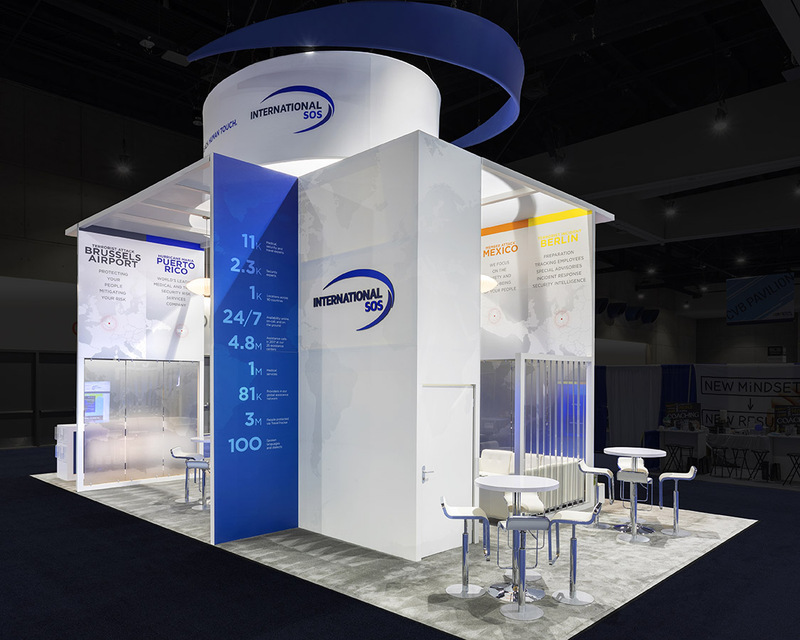 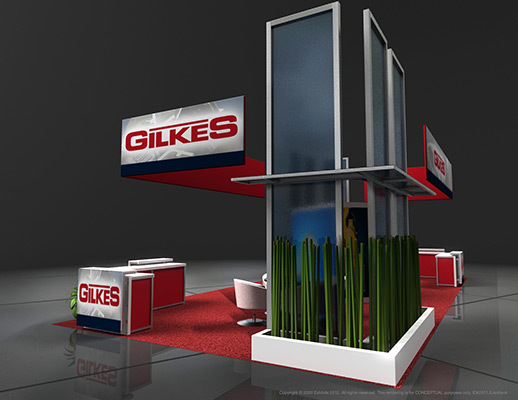 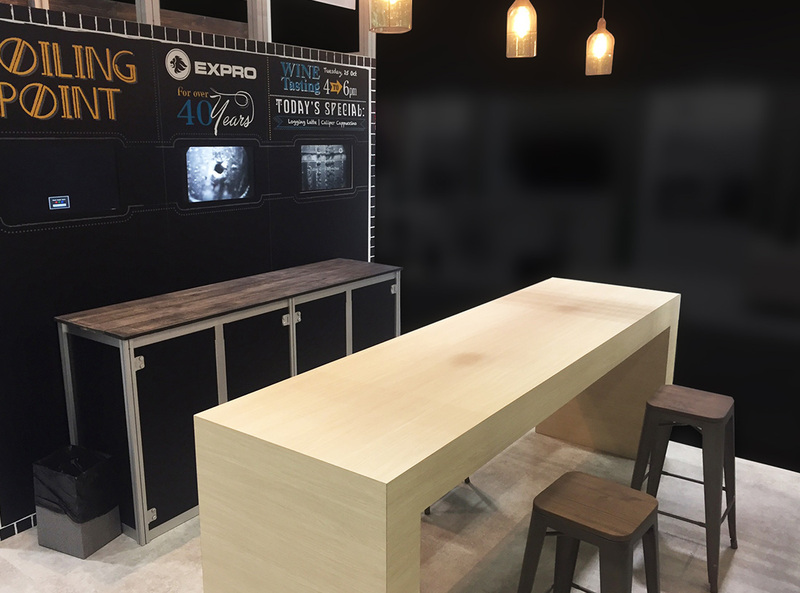 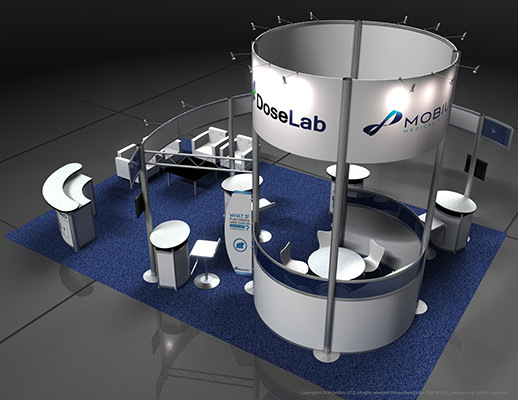 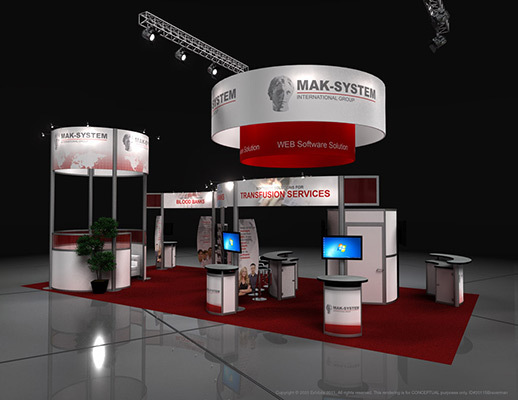 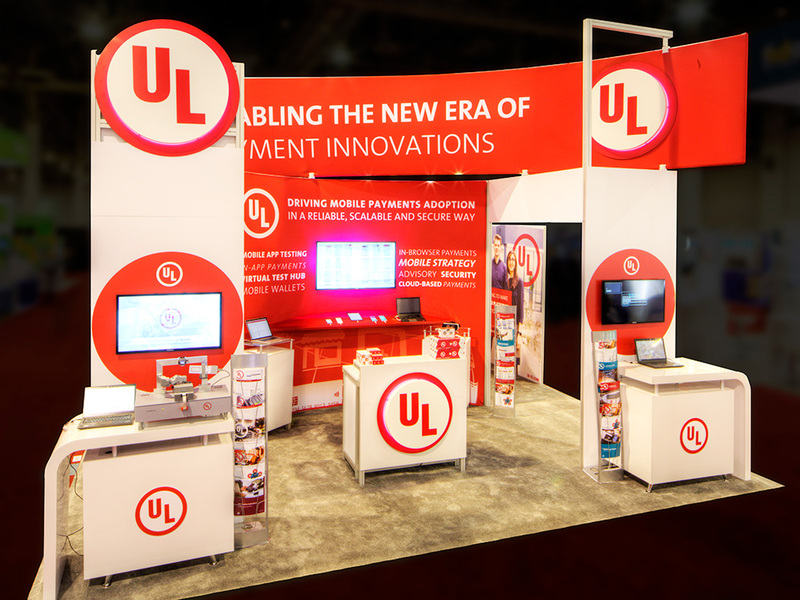 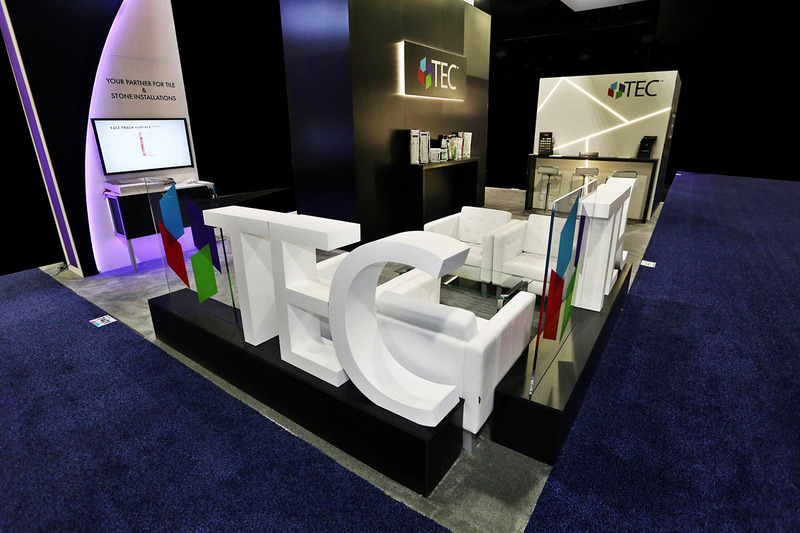 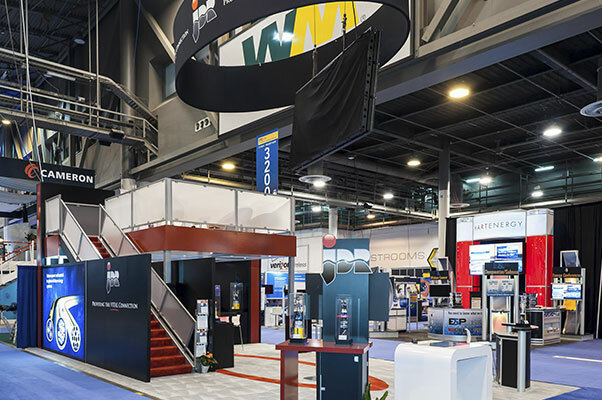 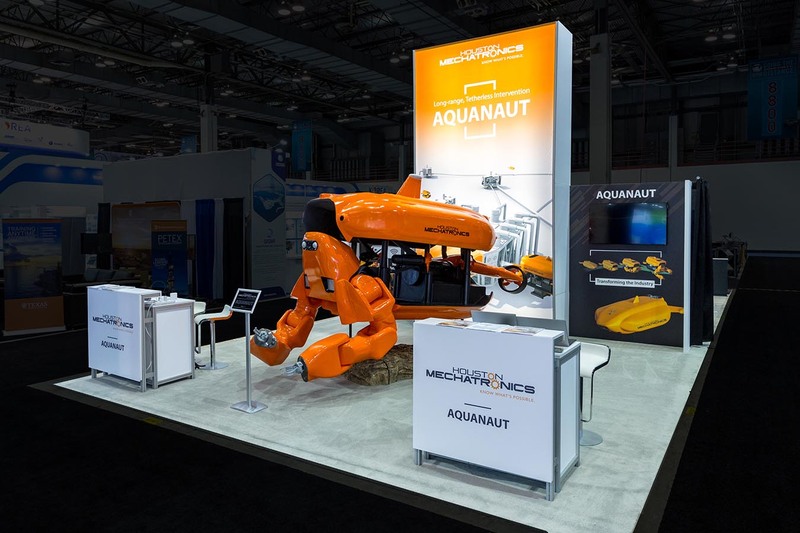 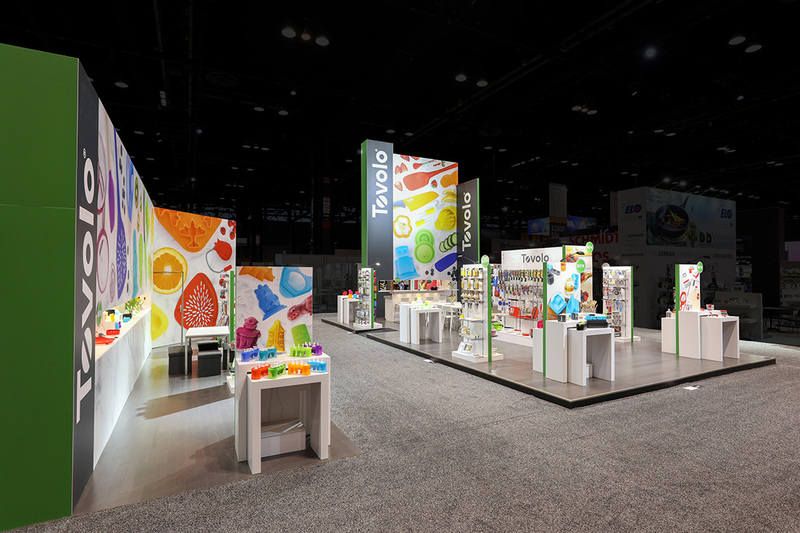 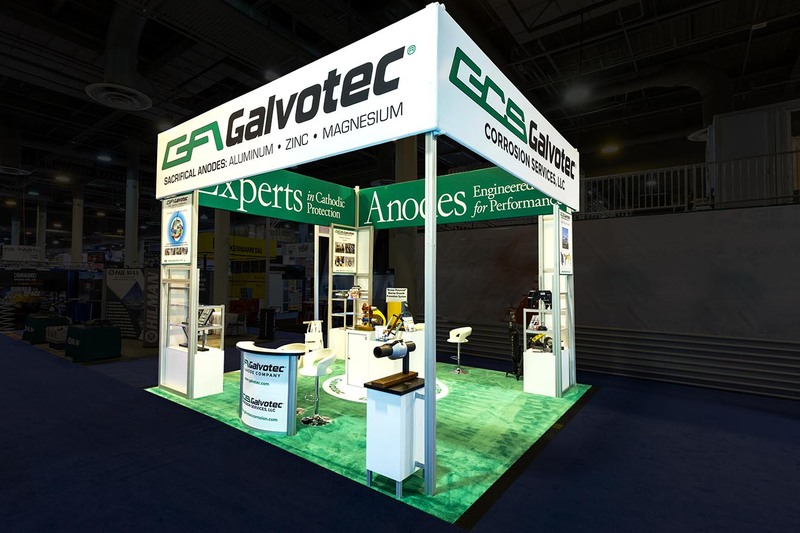 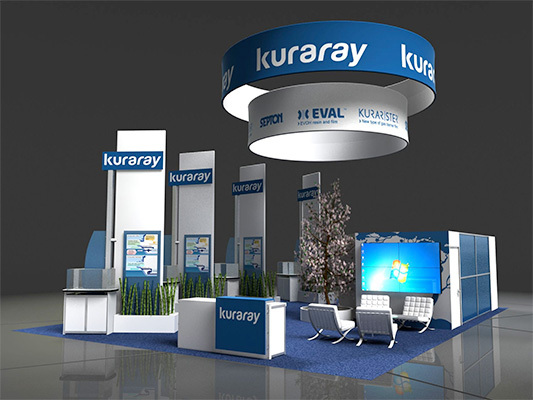 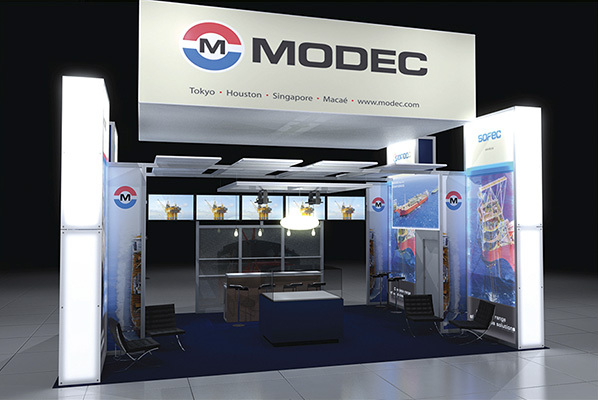 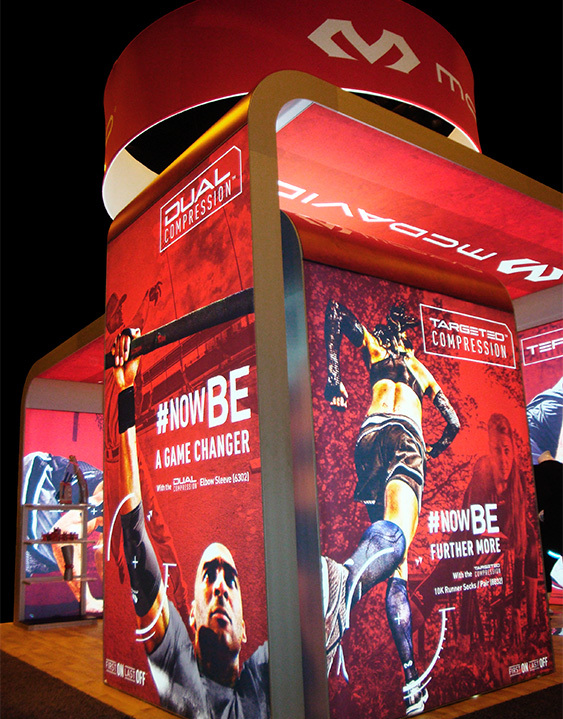 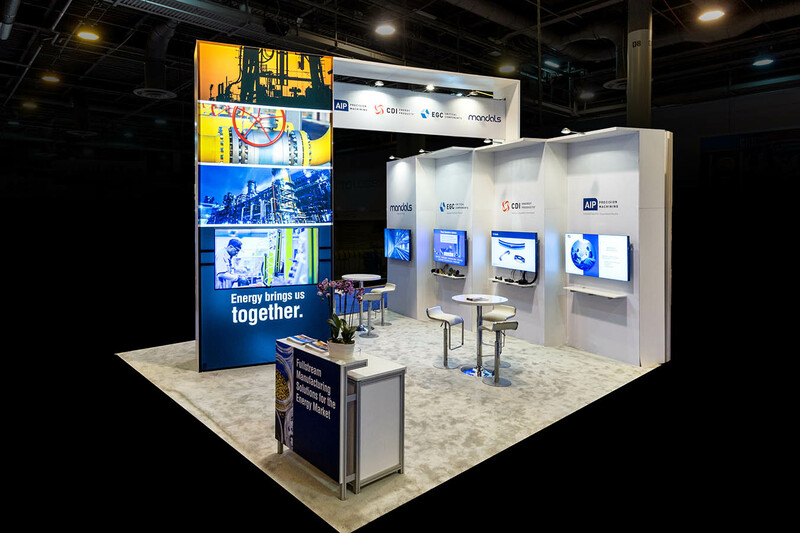 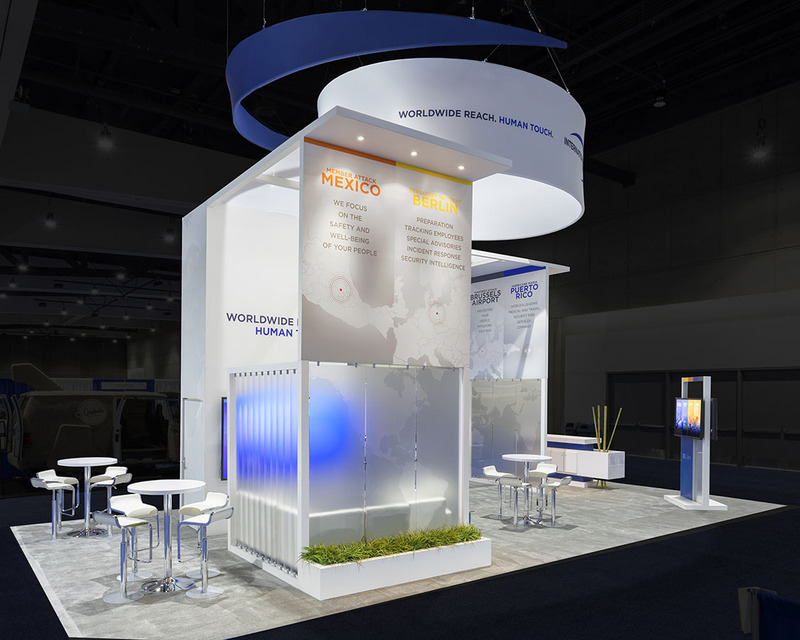 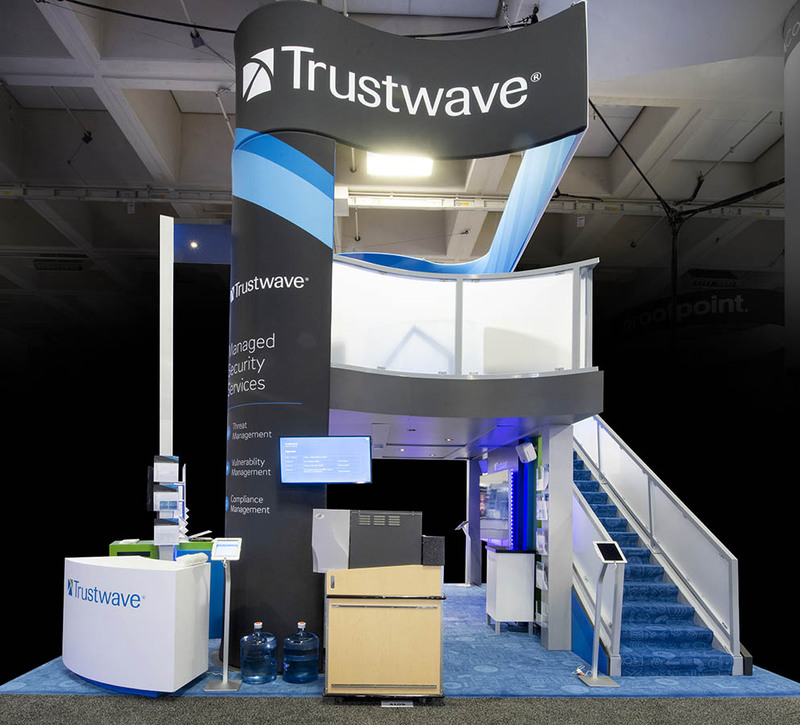 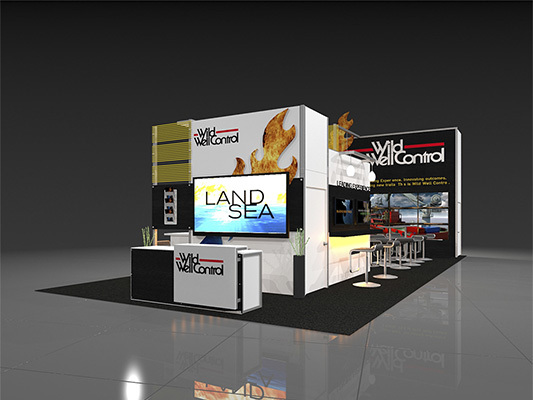 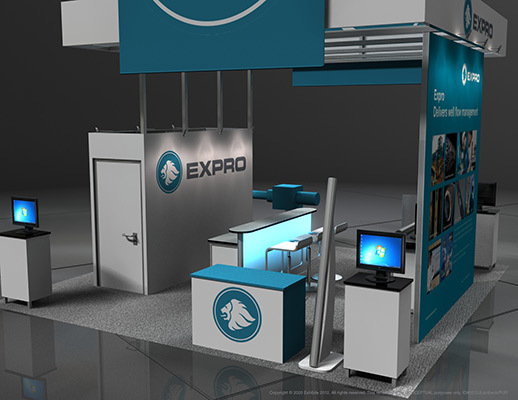 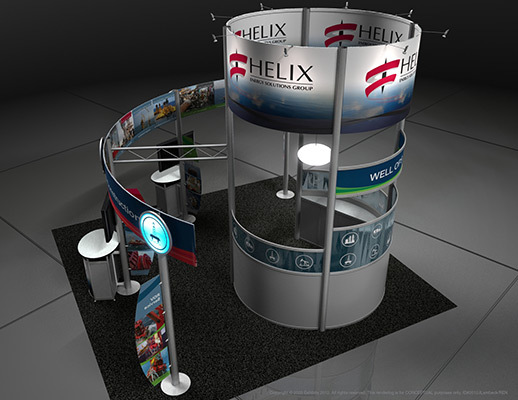 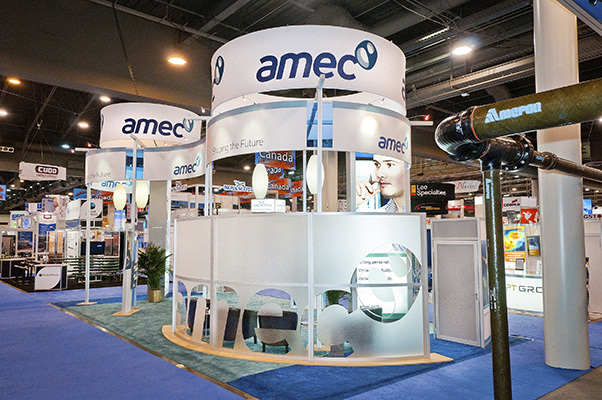 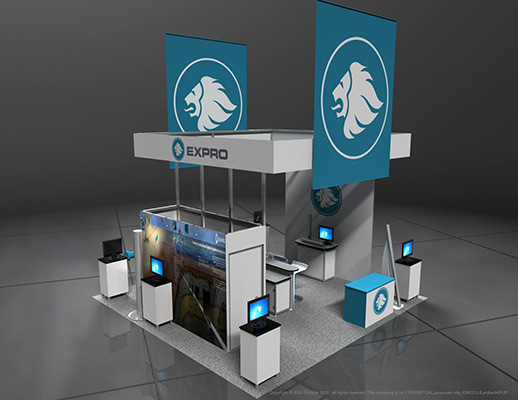 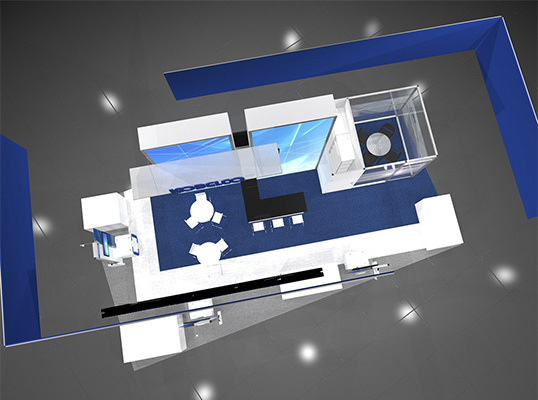 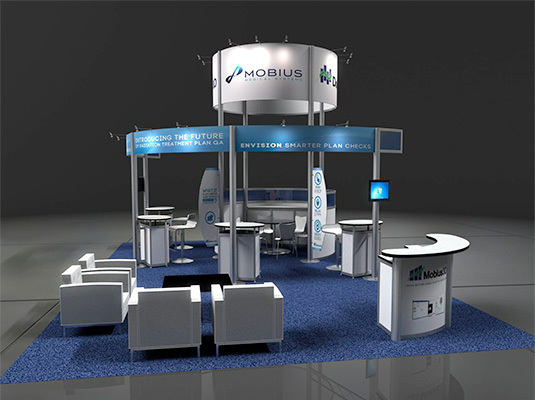 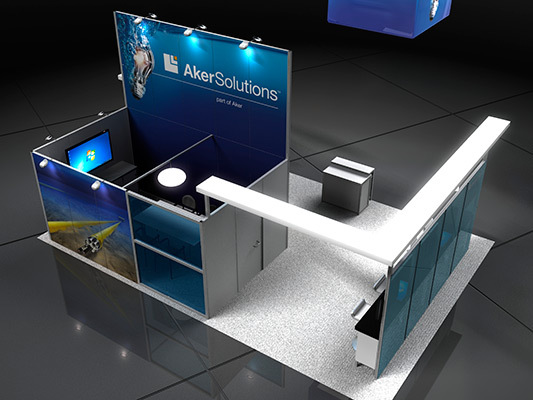 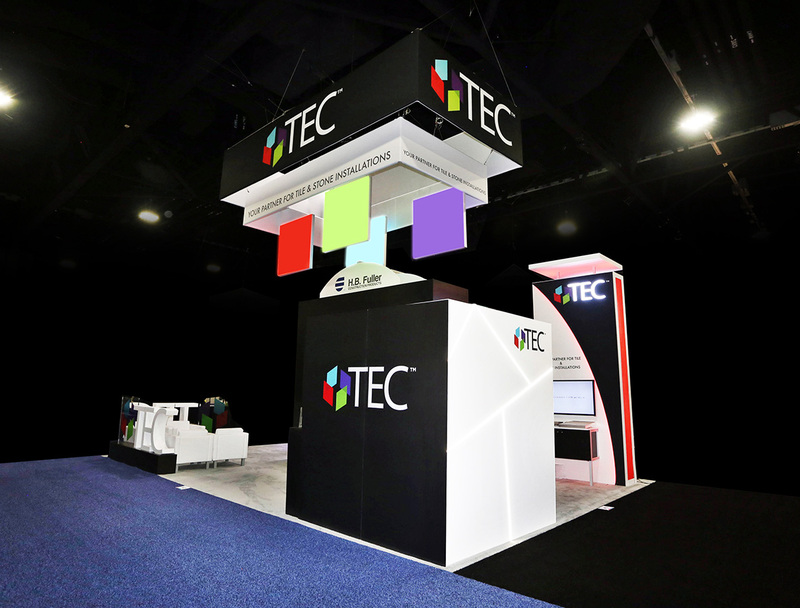 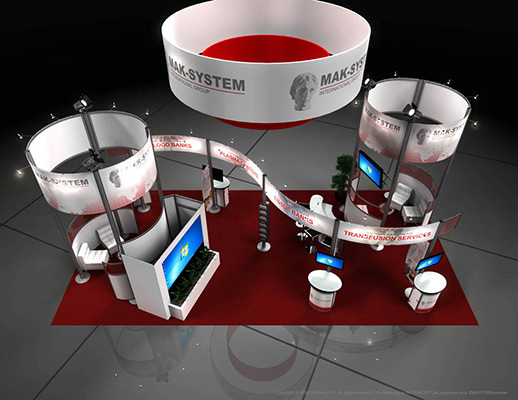 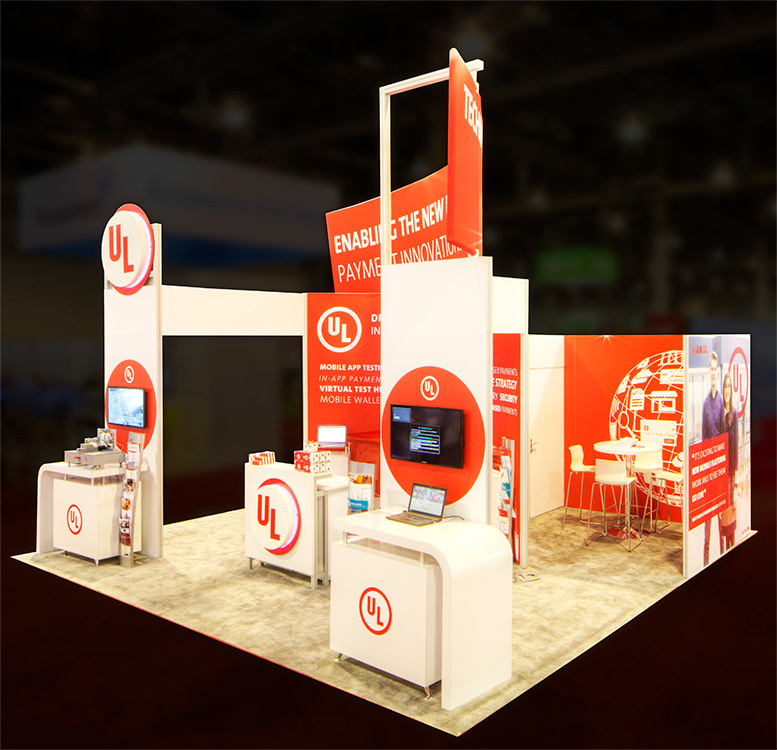 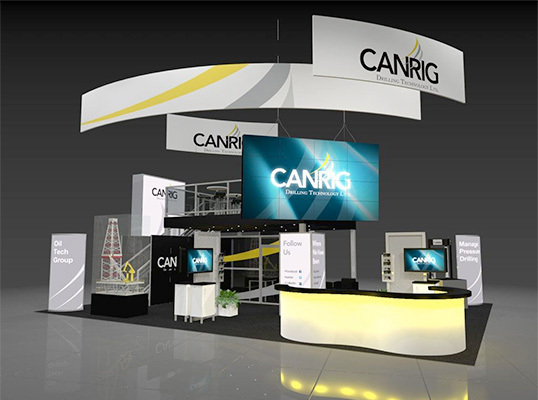 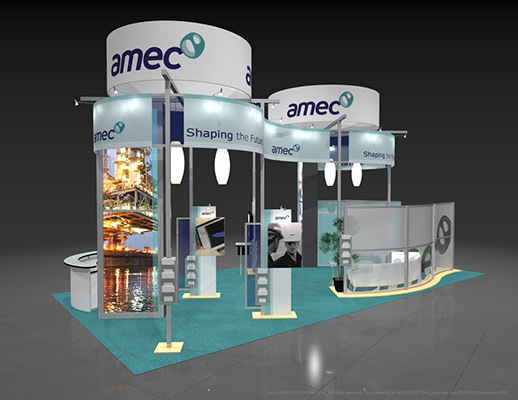 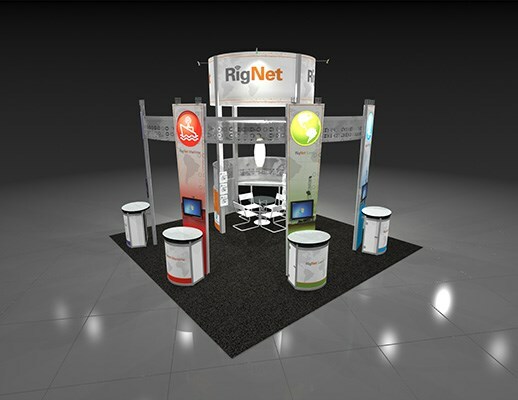 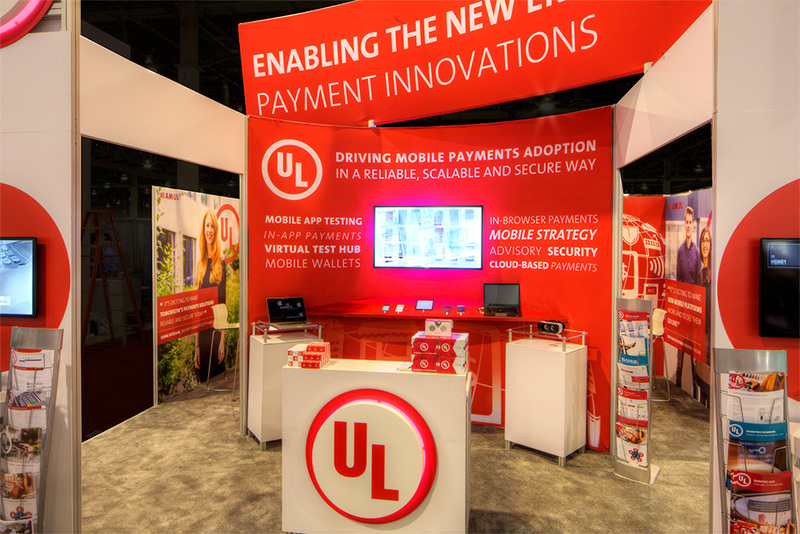 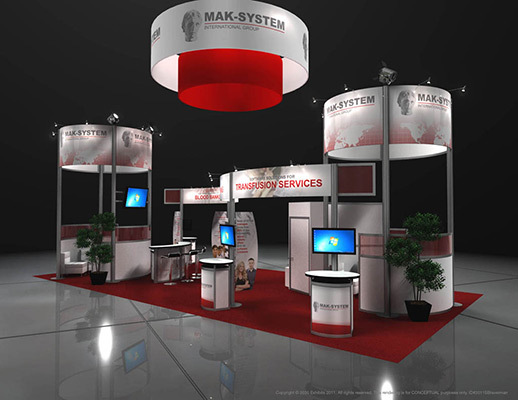 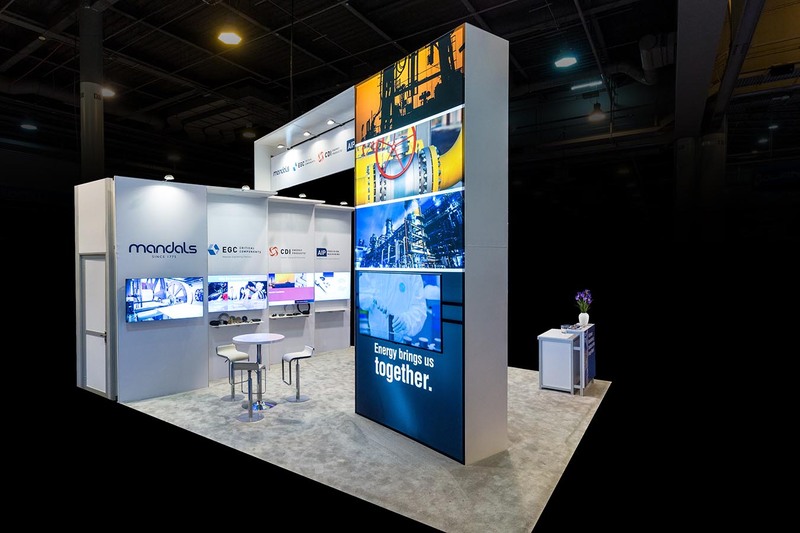 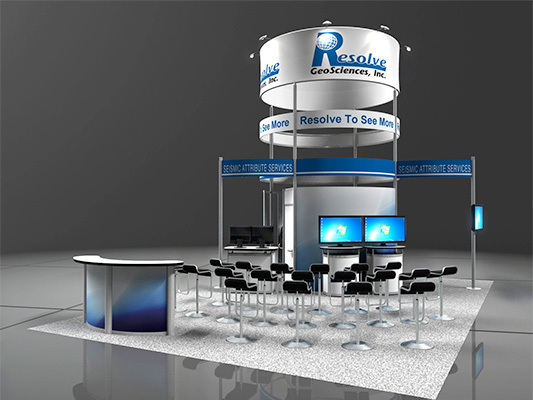 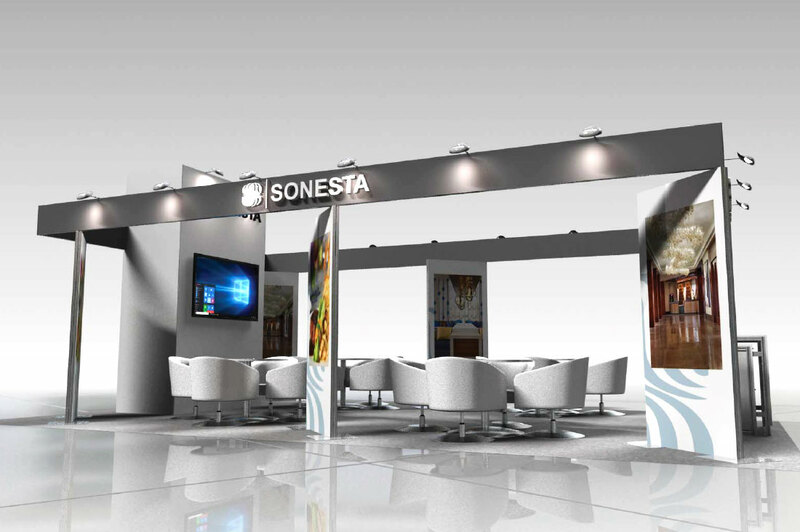 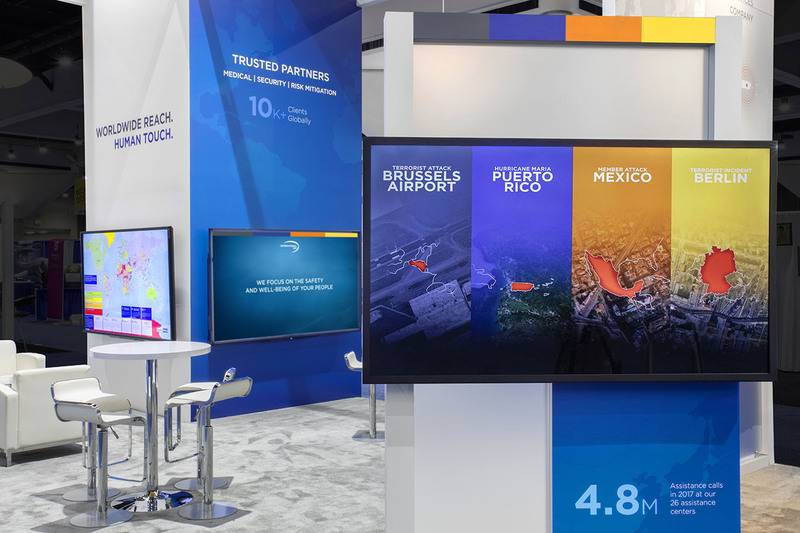 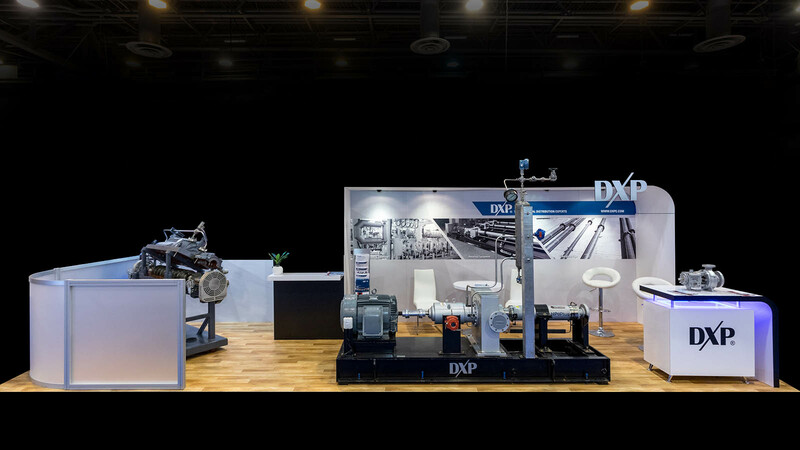 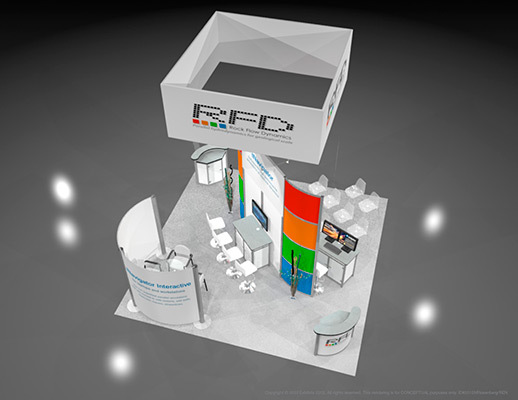 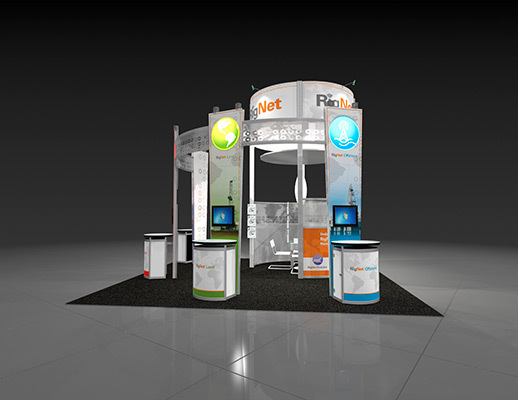 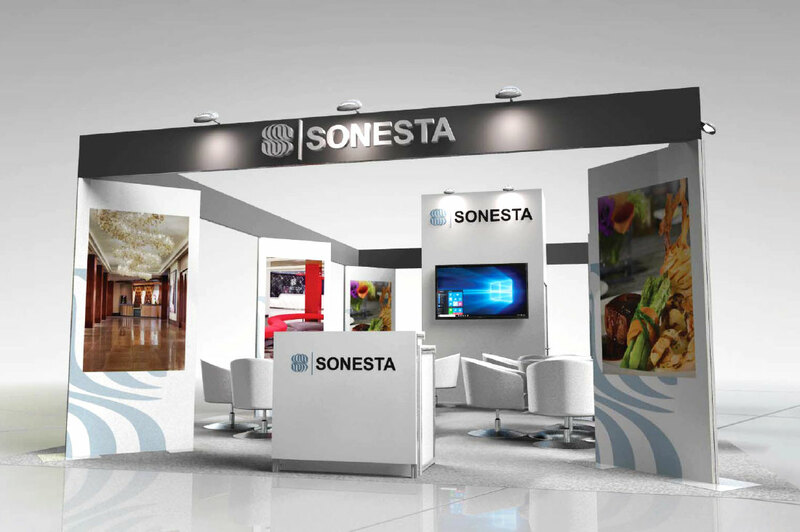 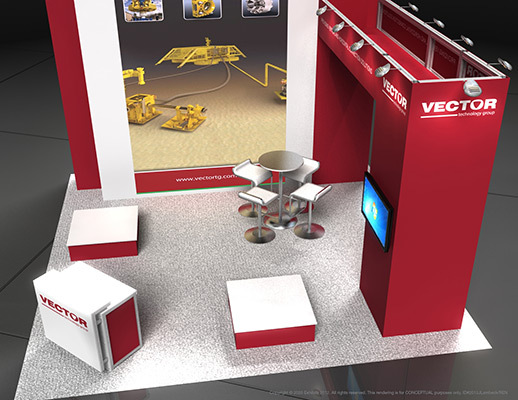 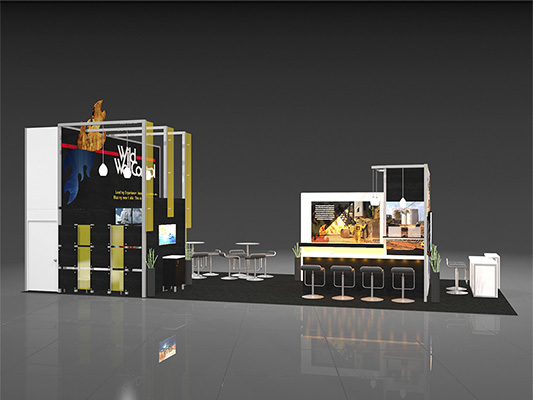 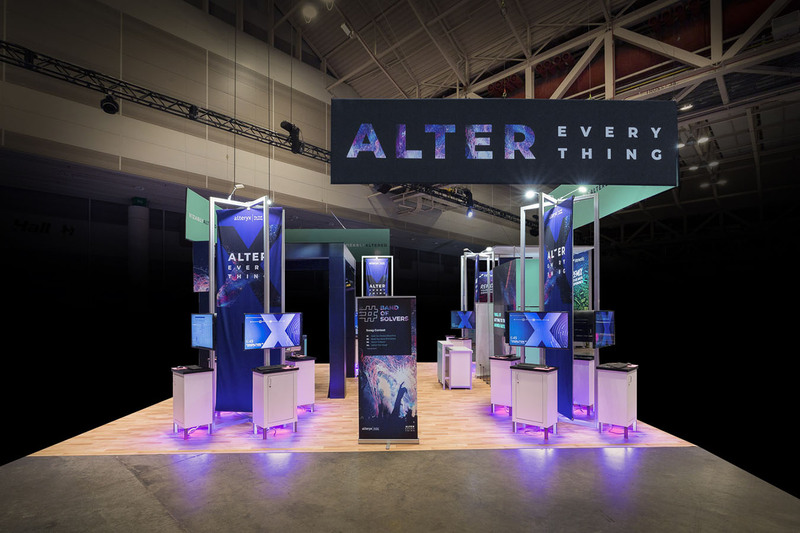 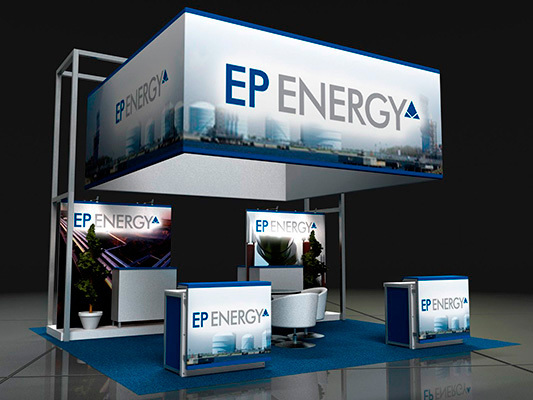 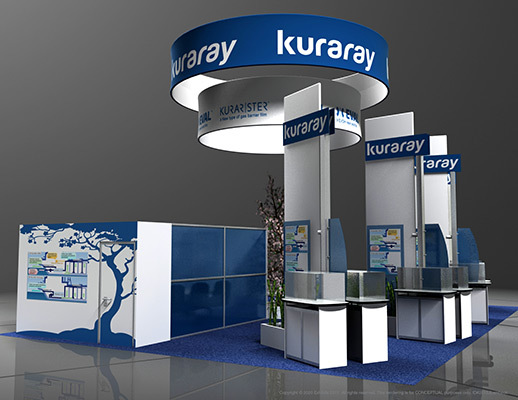 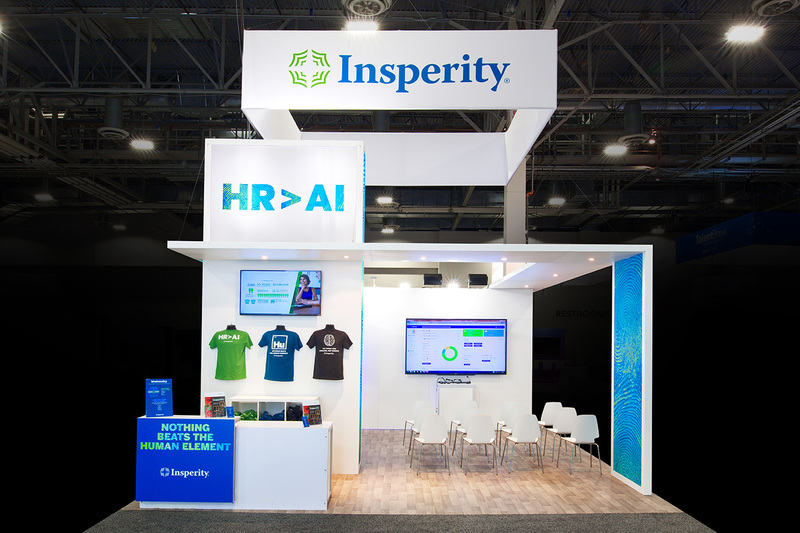 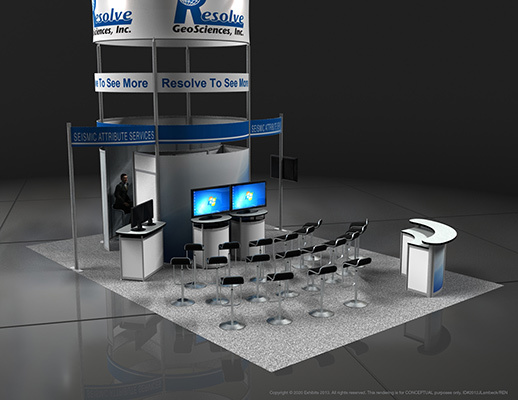 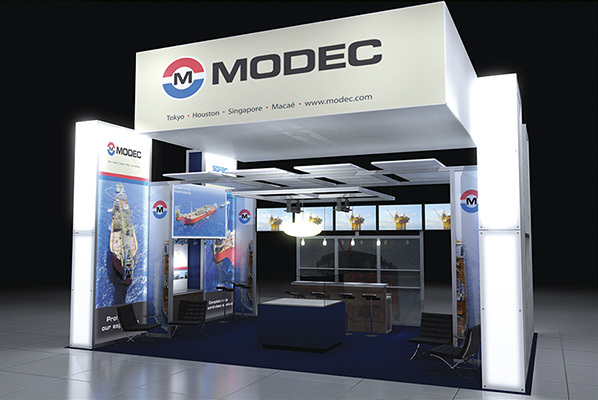 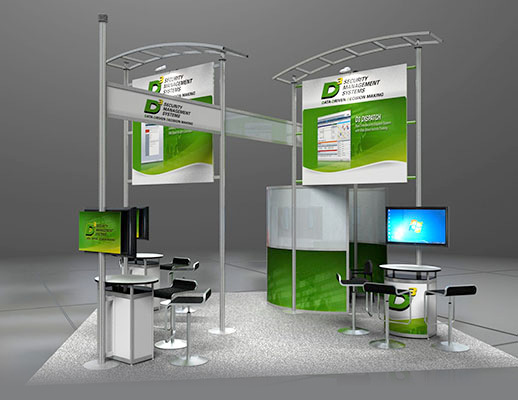 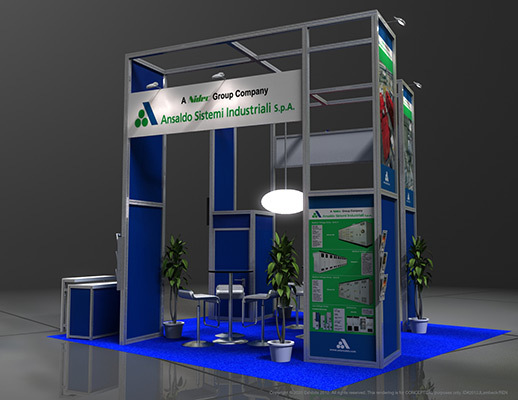 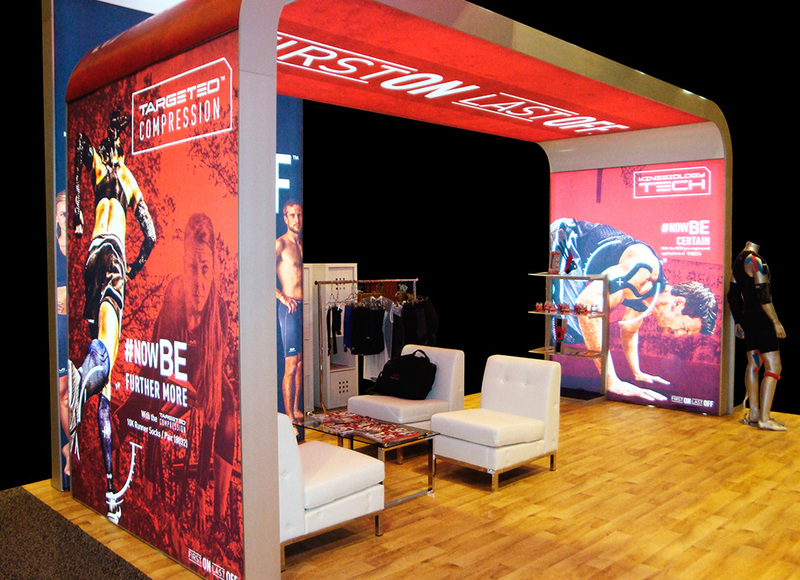 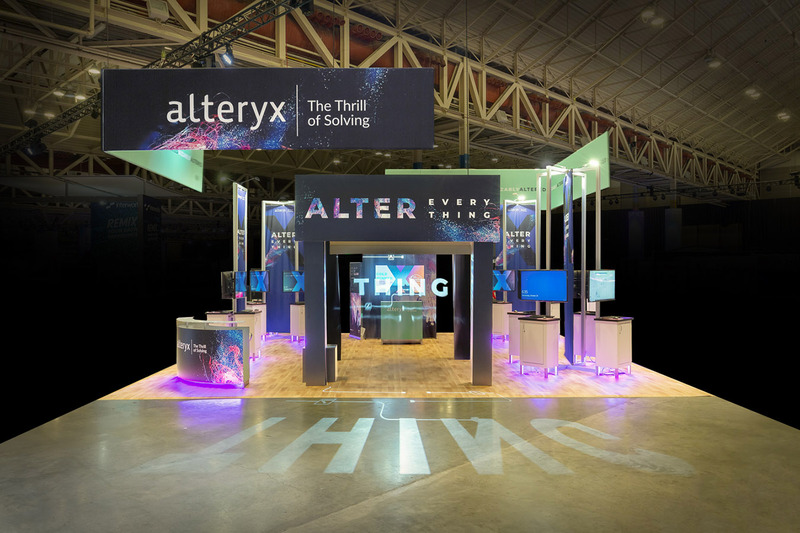 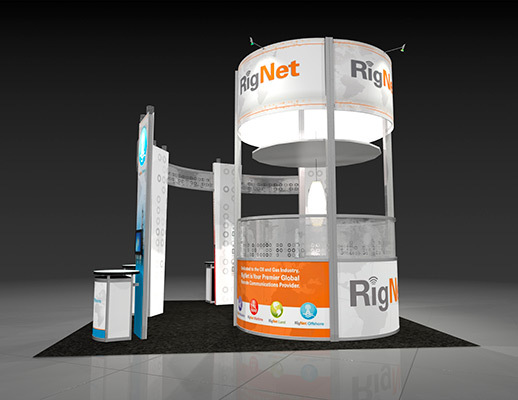 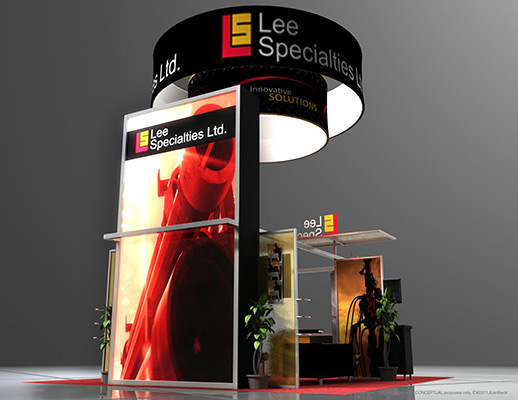 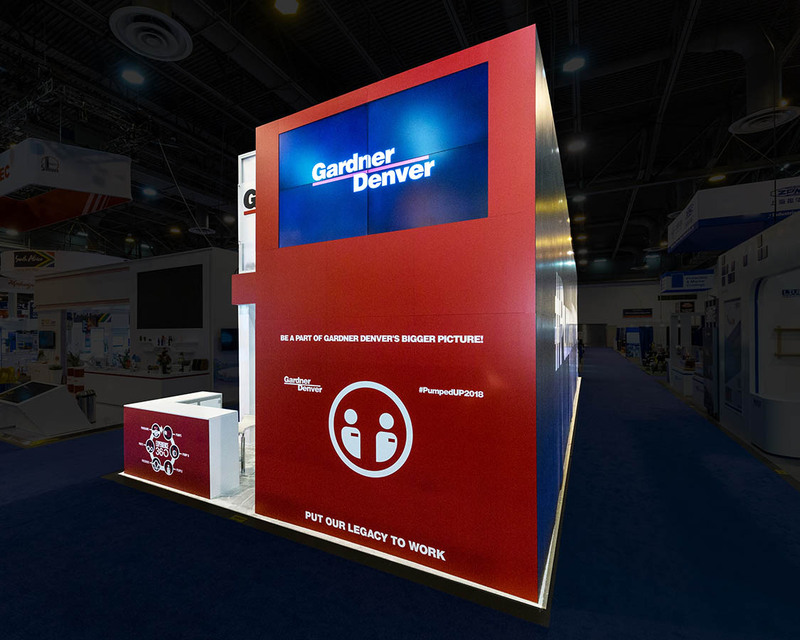 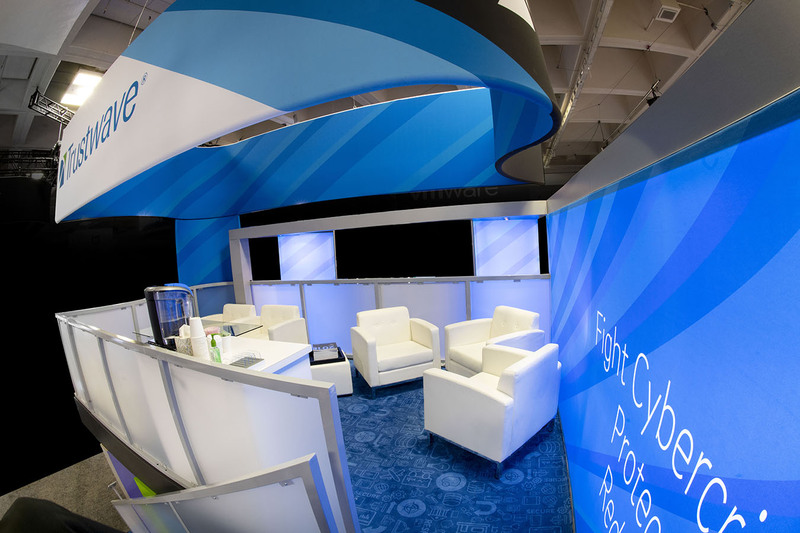 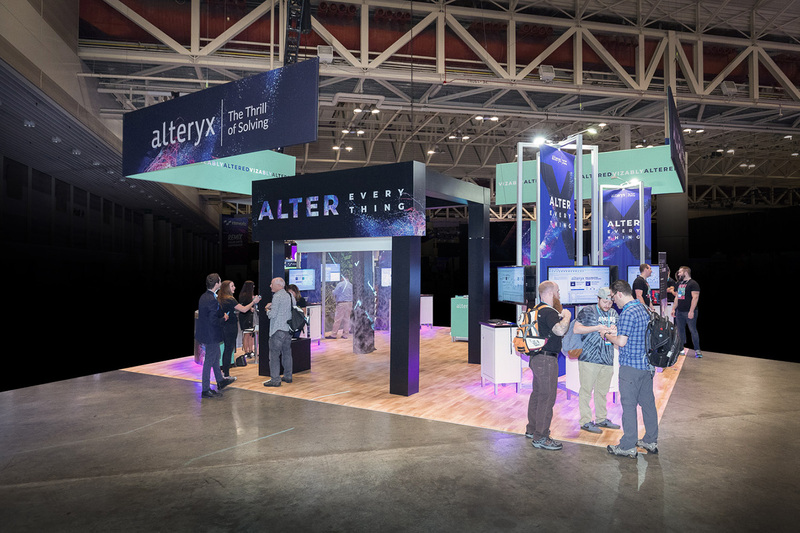 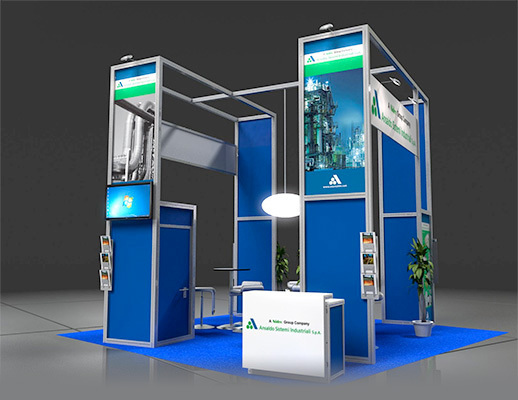 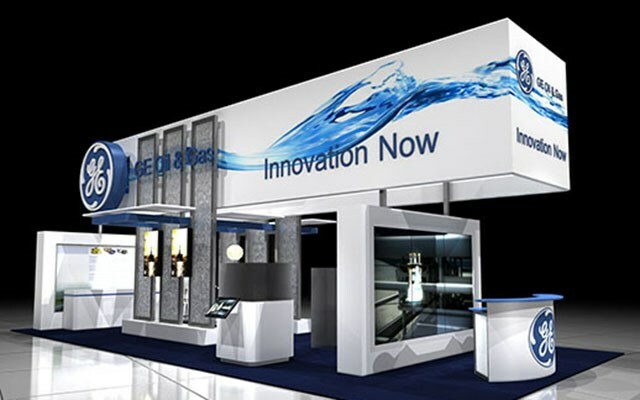 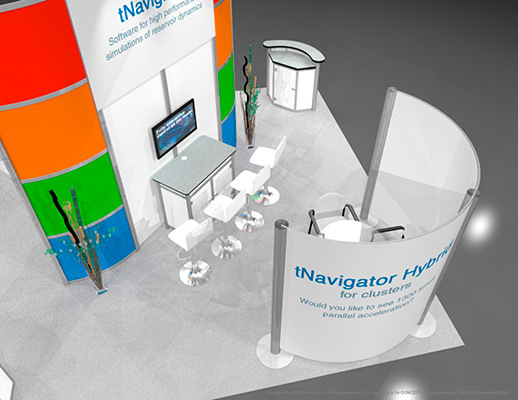 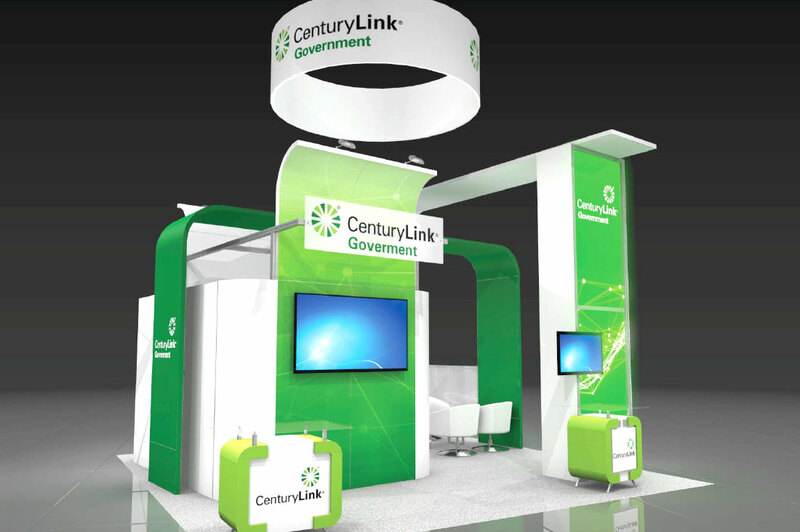 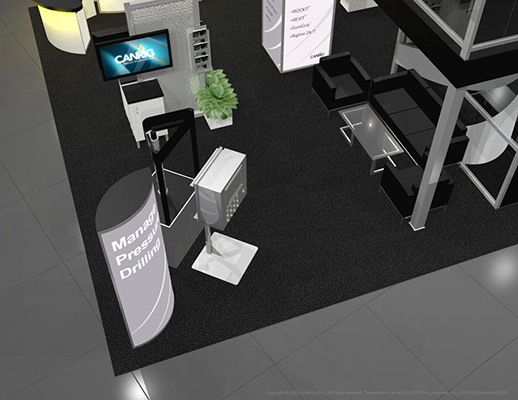 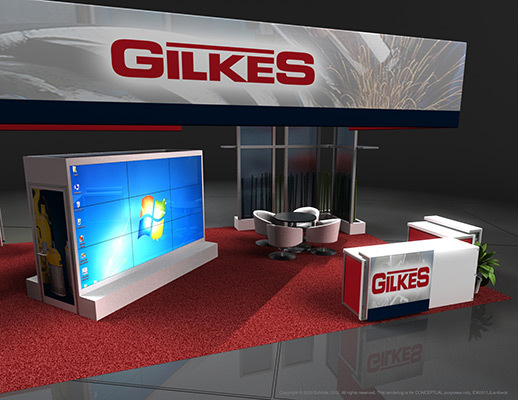 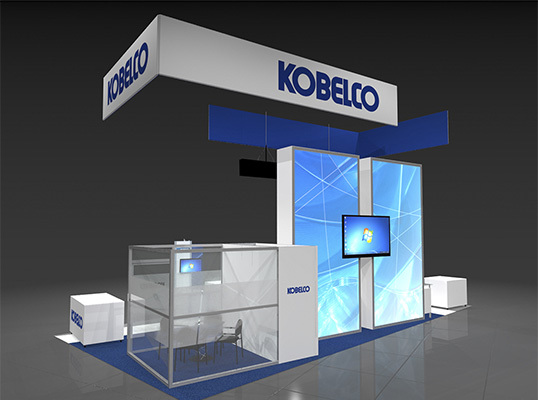 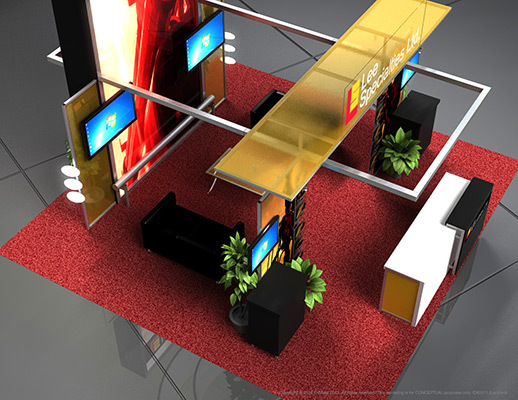 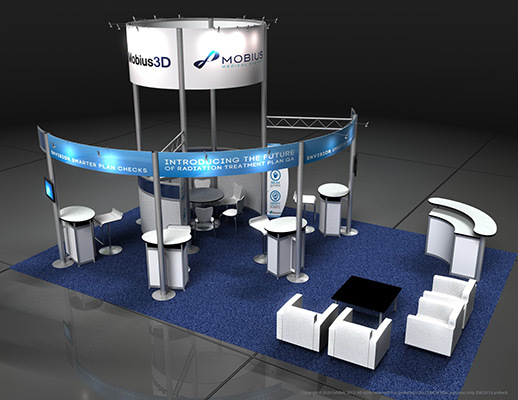 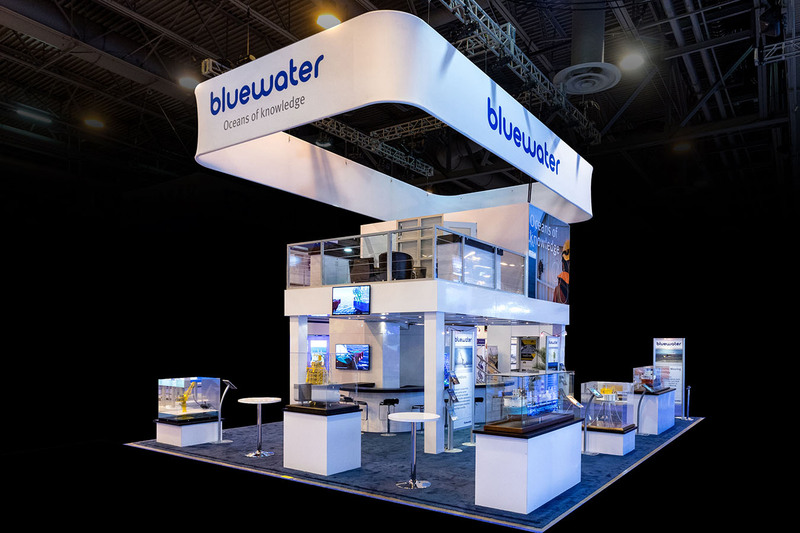 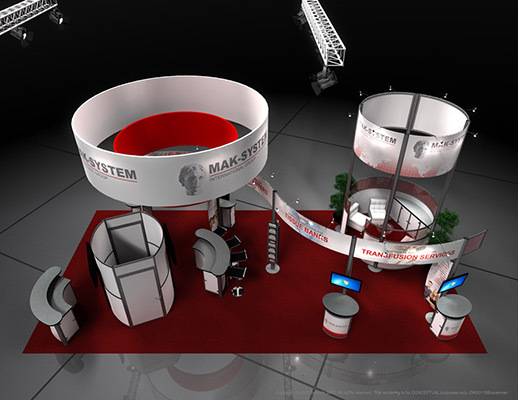 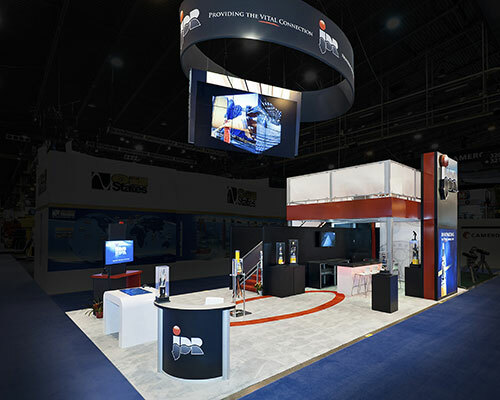 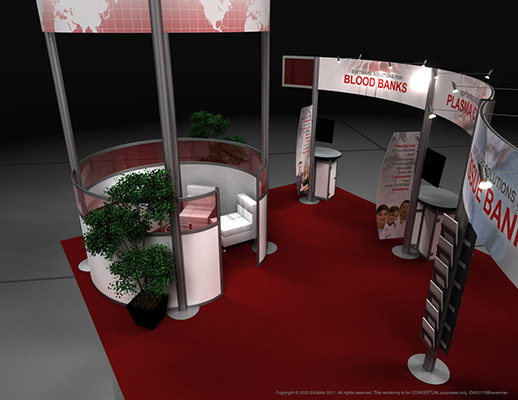 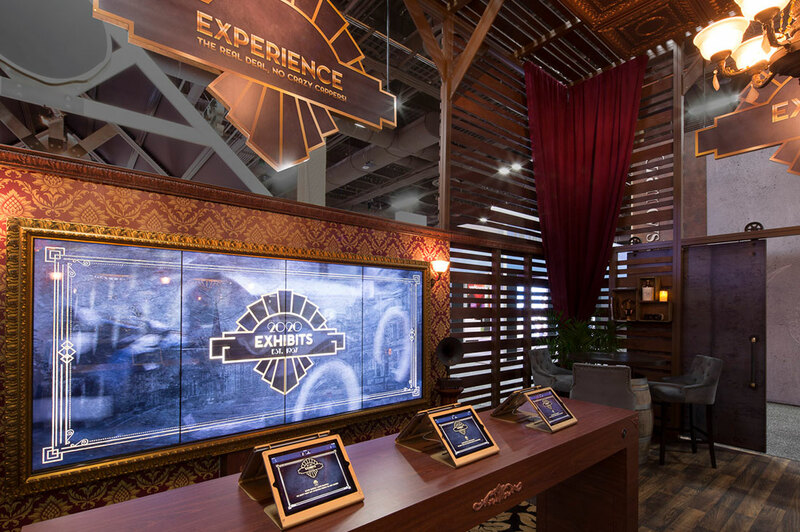 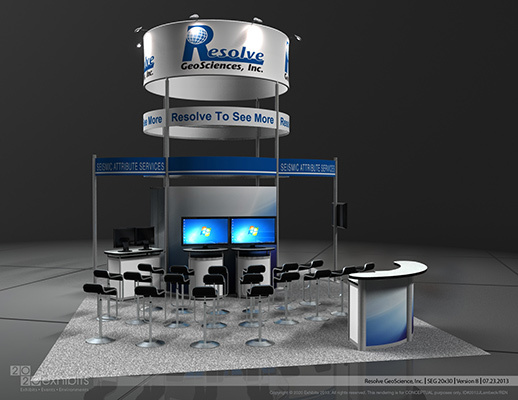 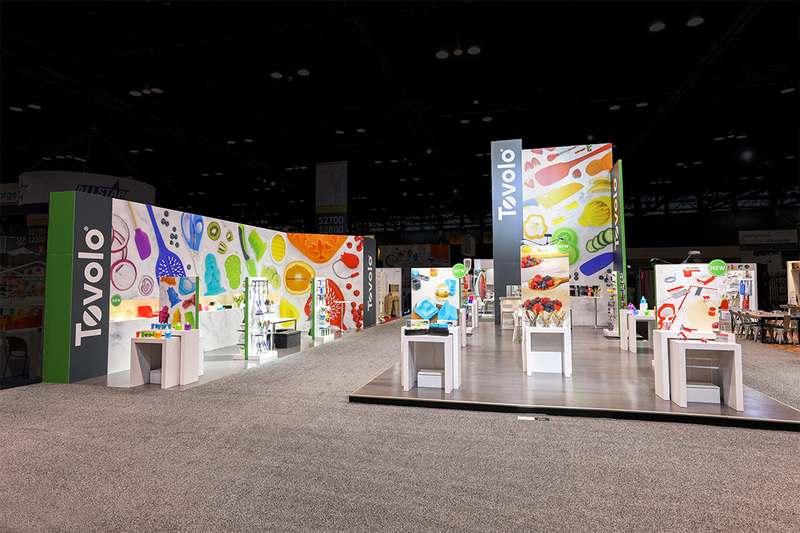 Four tall display cases line the edge of the booth space to showcase the company’s products from all sides. 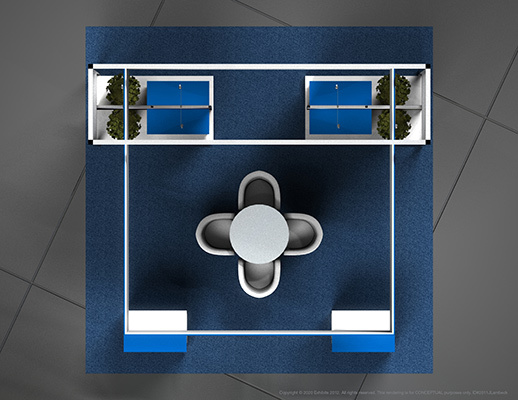 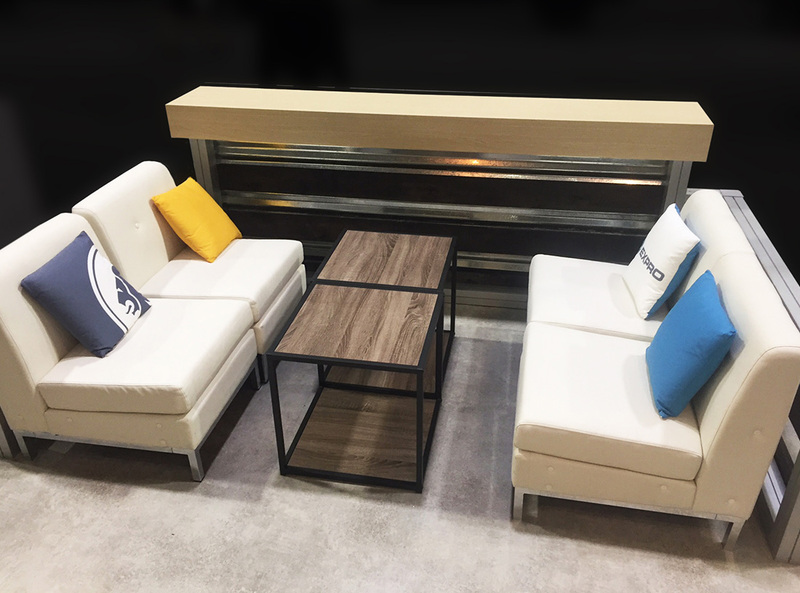 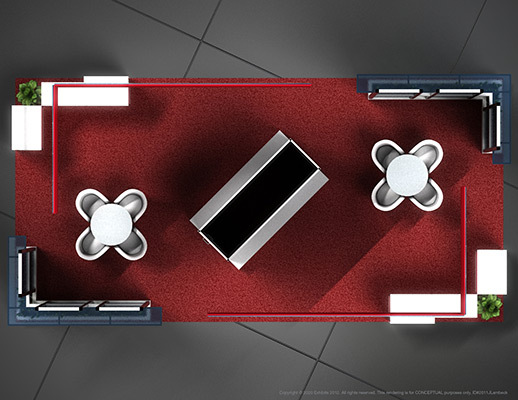 A reception table grounds the space and creates a welcoming entrance. 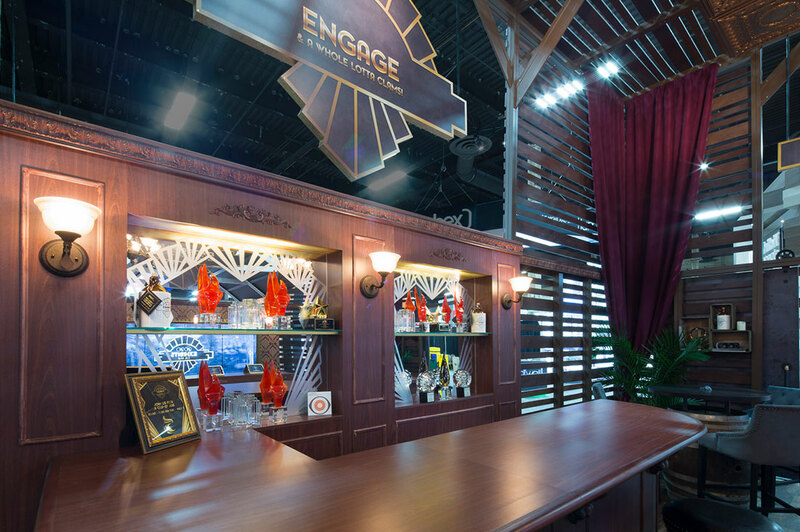 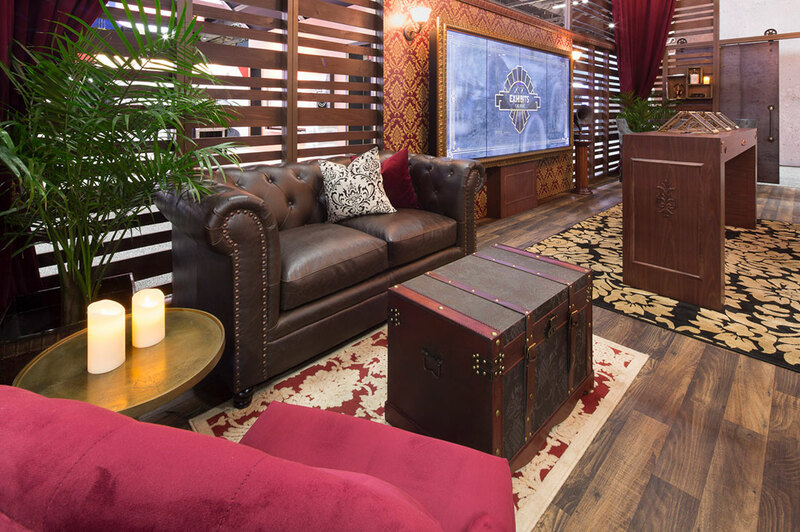 A Bar beneath the two story deck creates a comfortable and lounge-like experience for all users. 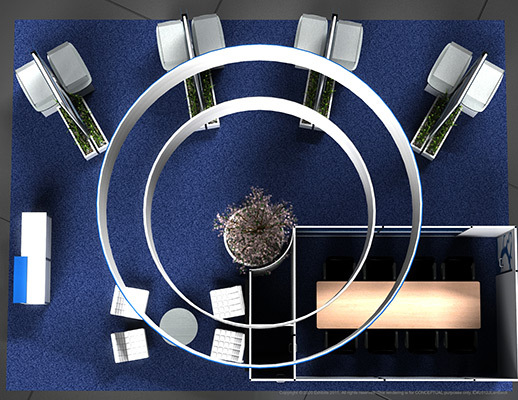 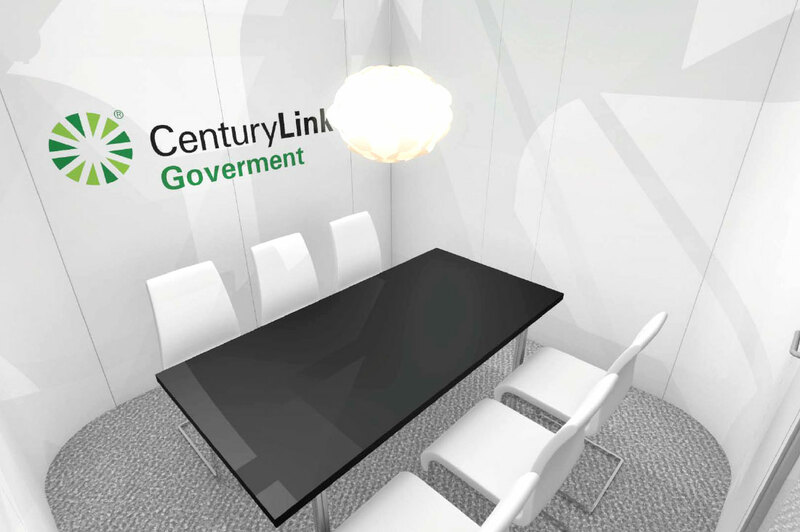 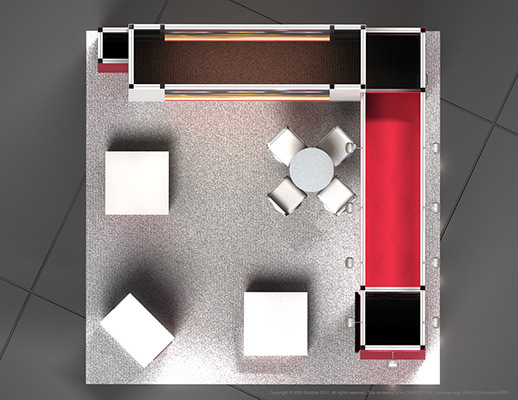 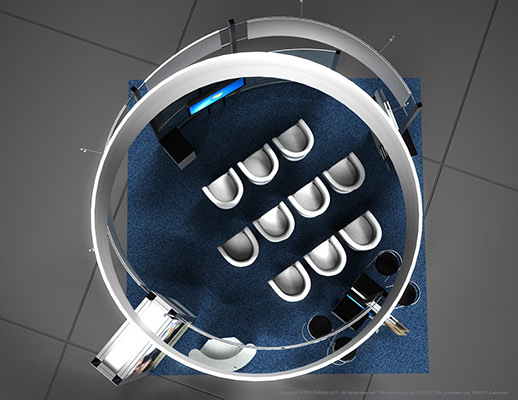 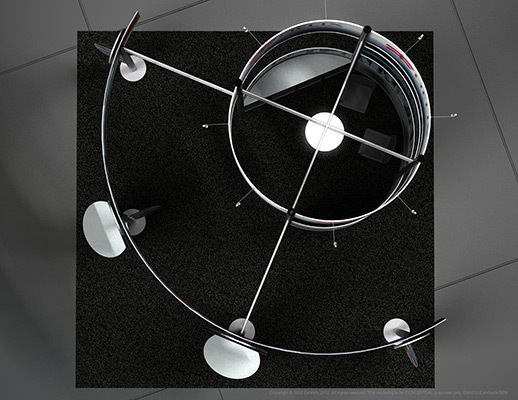 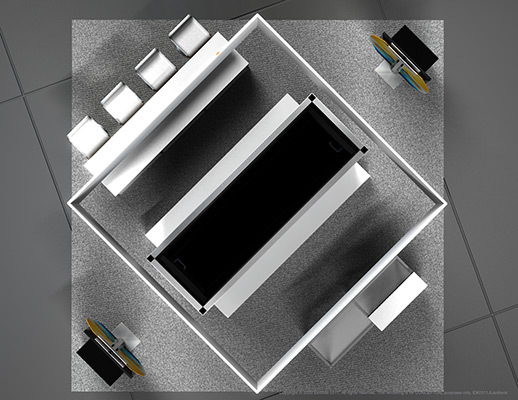 A separate space above is used for a conference area for more private work to be done. 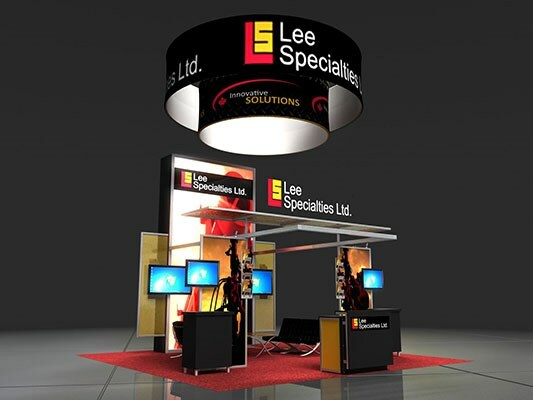 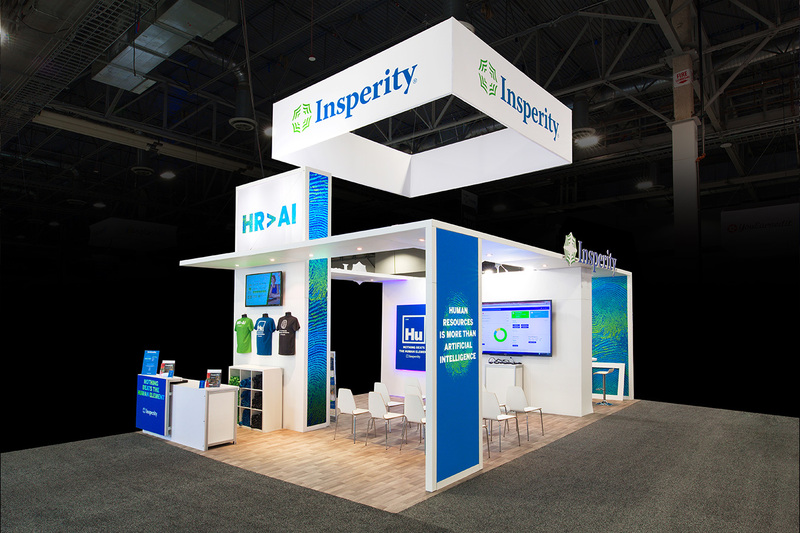 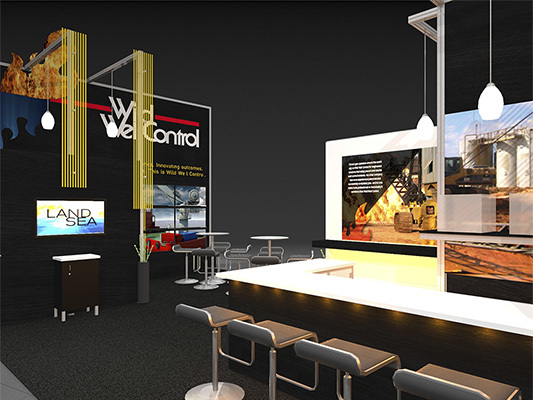 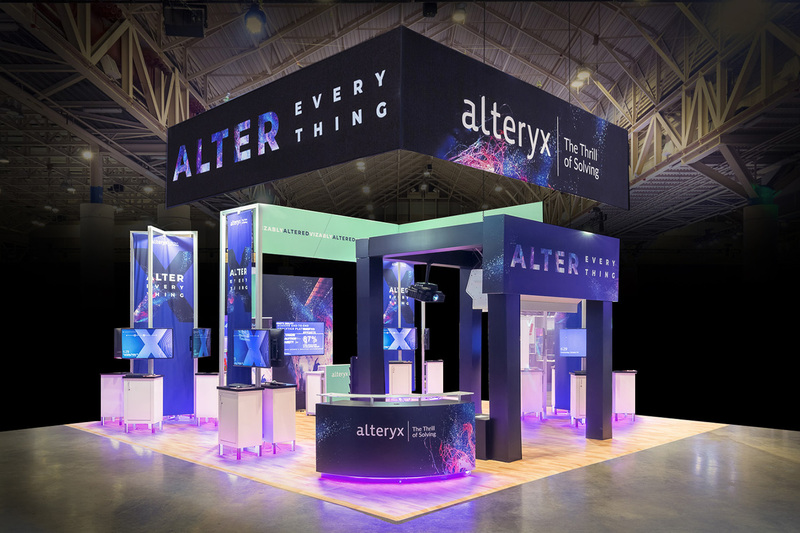 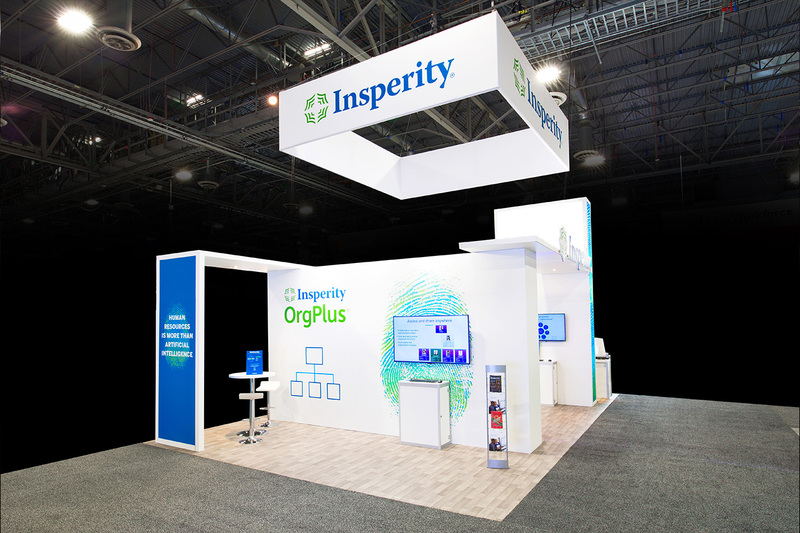 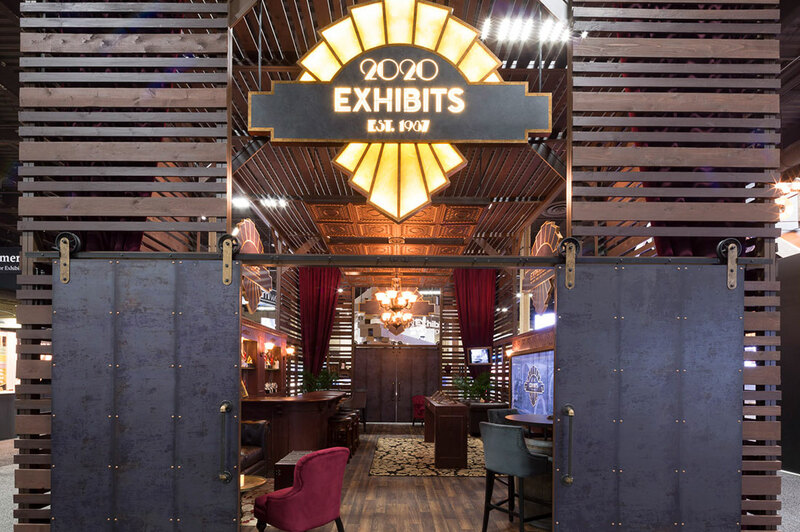 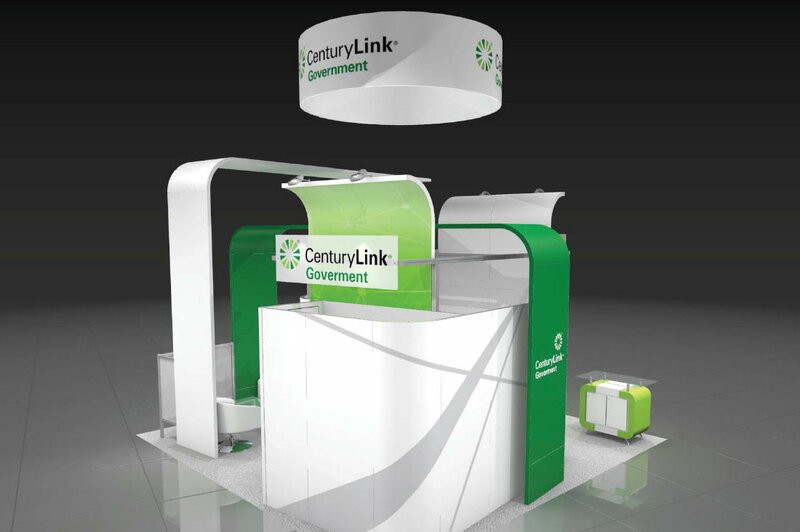 Features include: curved overhead signage, double deck, two story, semi-private conference area, bar, bar seating, glass display cases, reception desk, video monitor, overhead lighting, storage area and large central space.